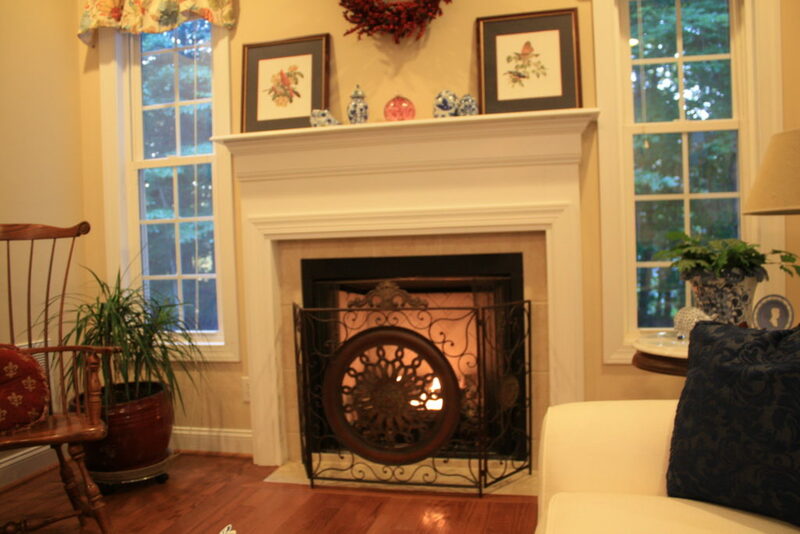 Karin Andrews Realtor. . .Experience, Diligence, Results. 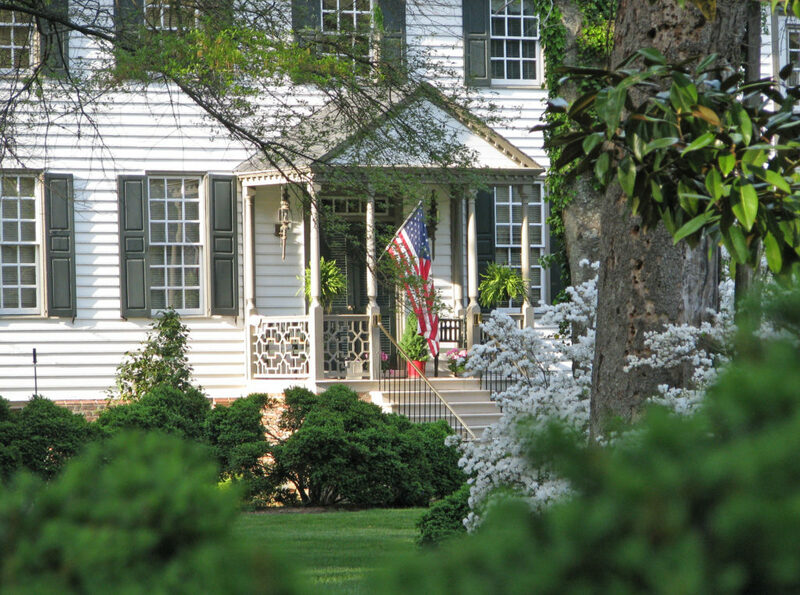 The Spring Buying Market actually started last fall and is showing no signs of slowing down, thank goodness. 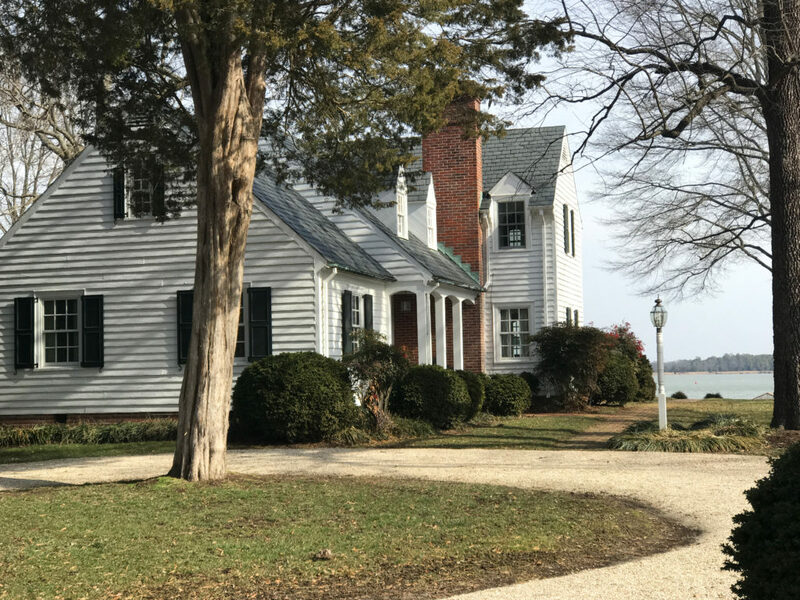 Prices are on the rise, particularly for unique and distinctive waterfront, equestrian and historic properties. 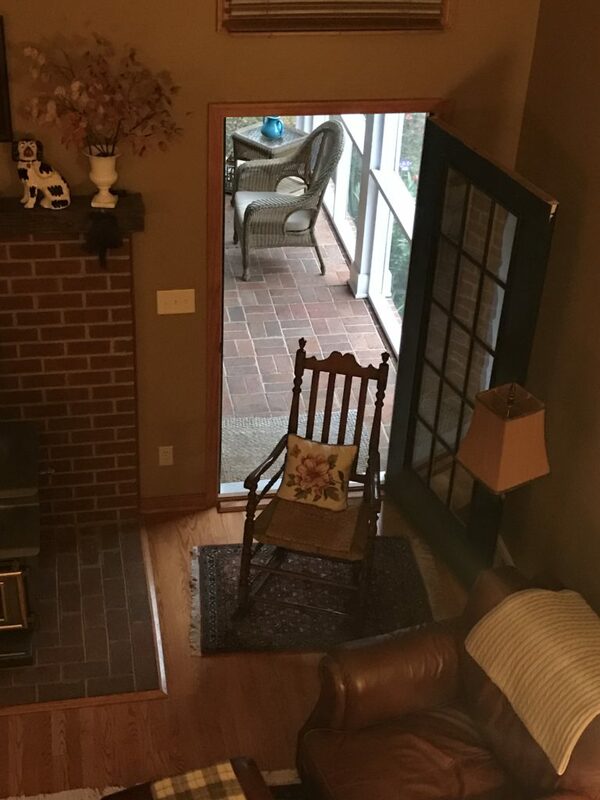 This week I have three significant closings. 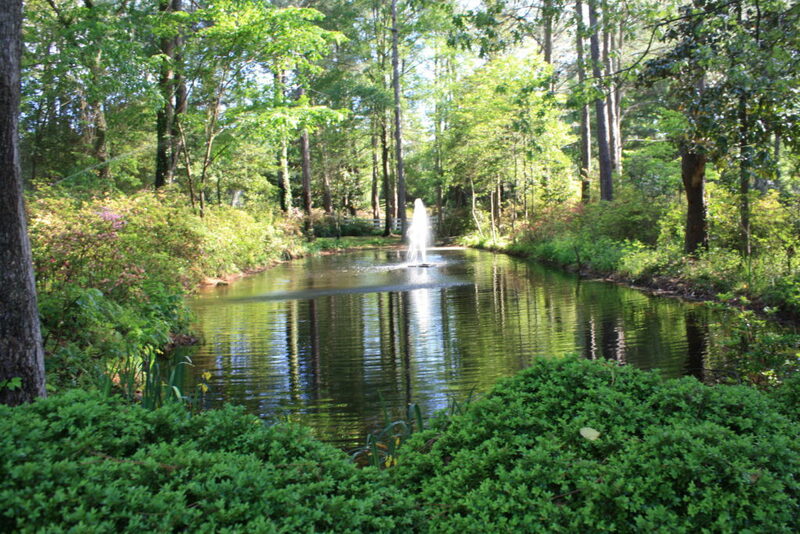 One is a 5 acre Waterfront (Pond-front property that closed at $755,000 usd. 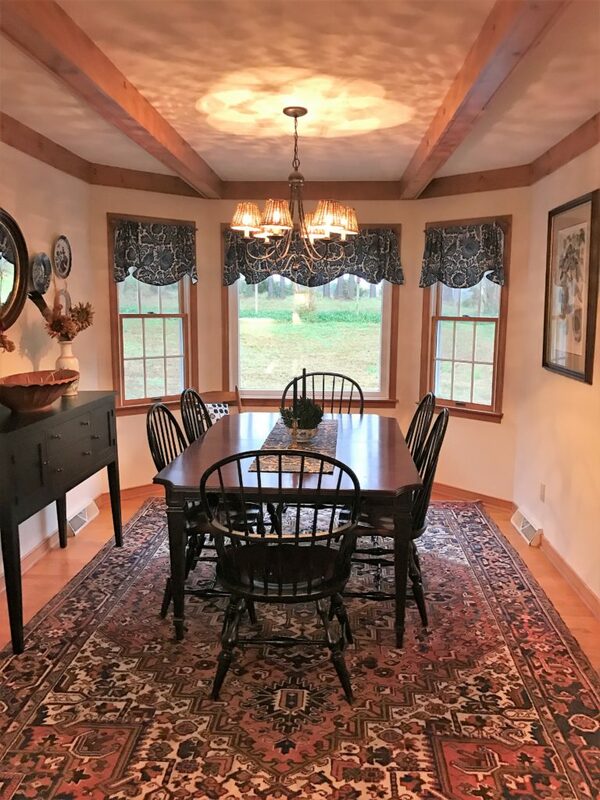 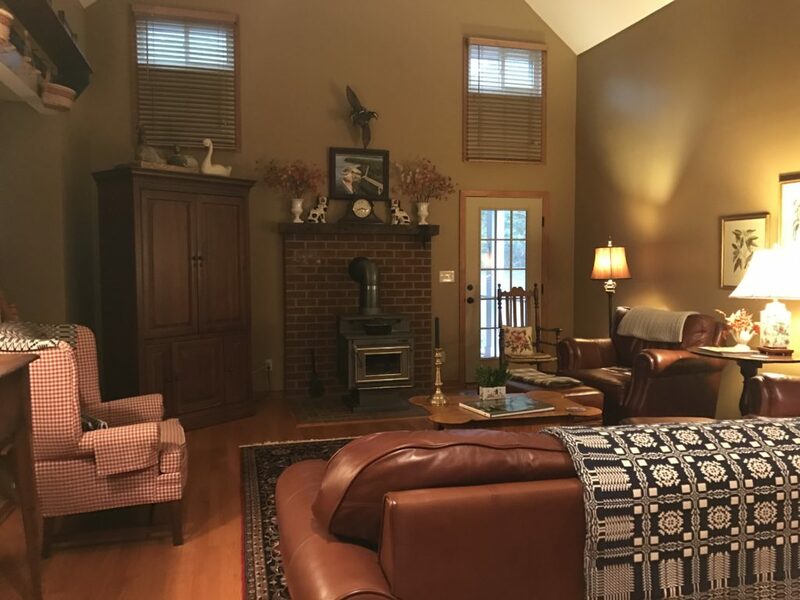 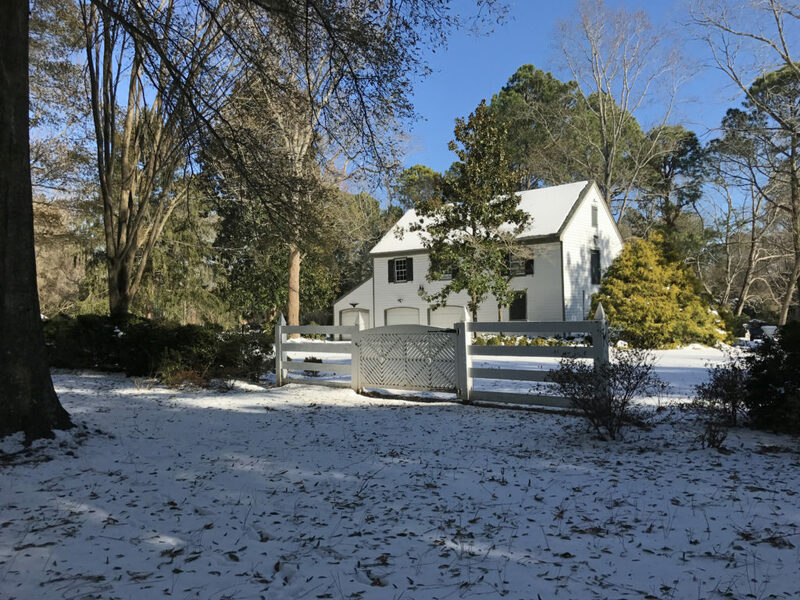 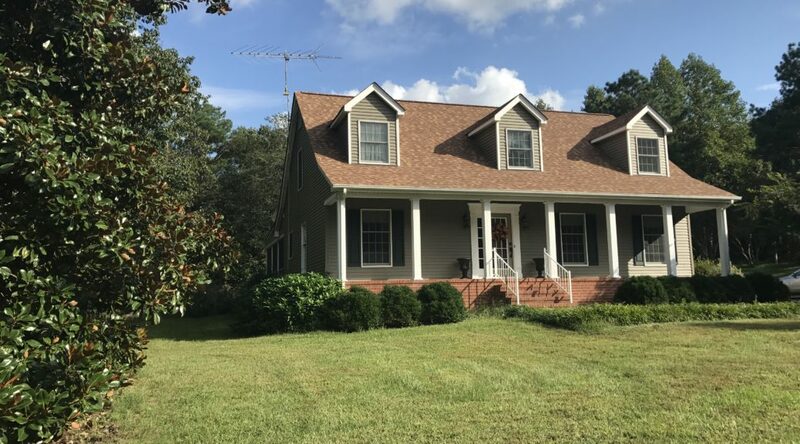 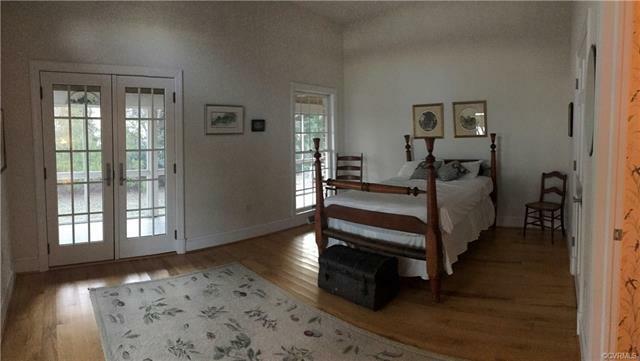 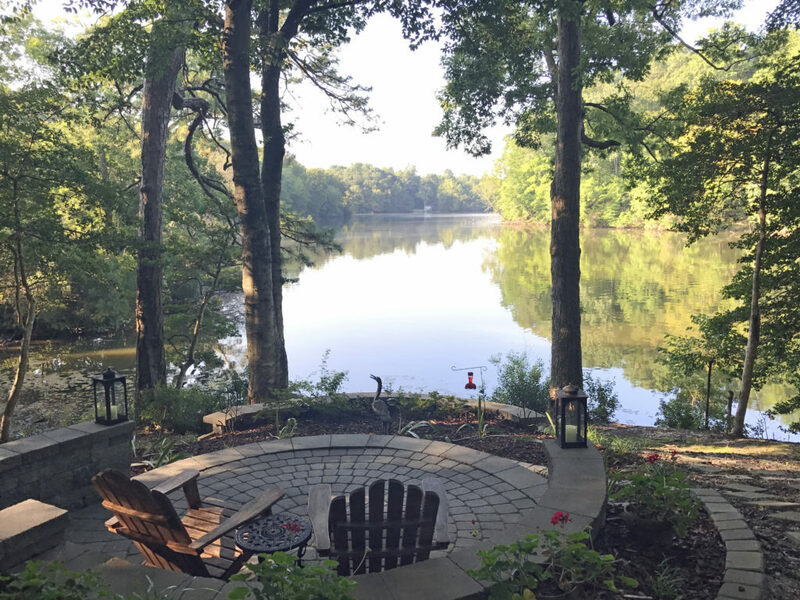 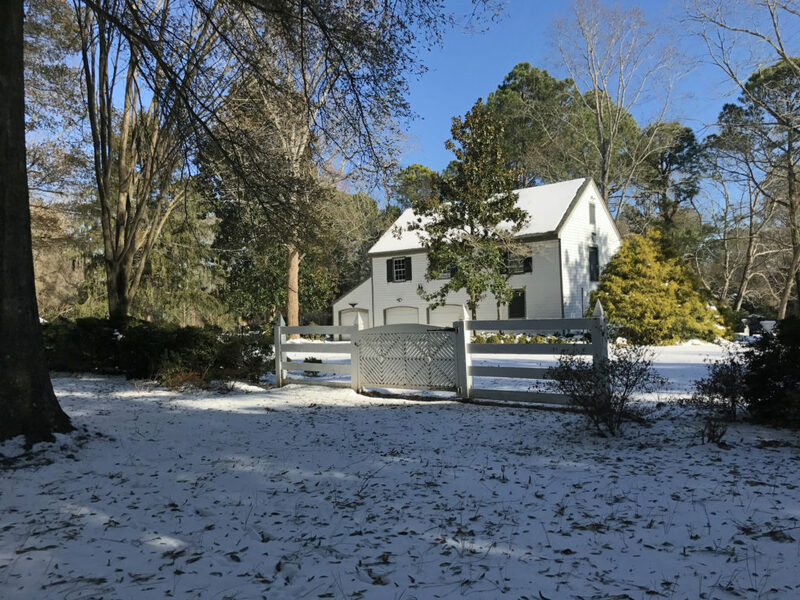 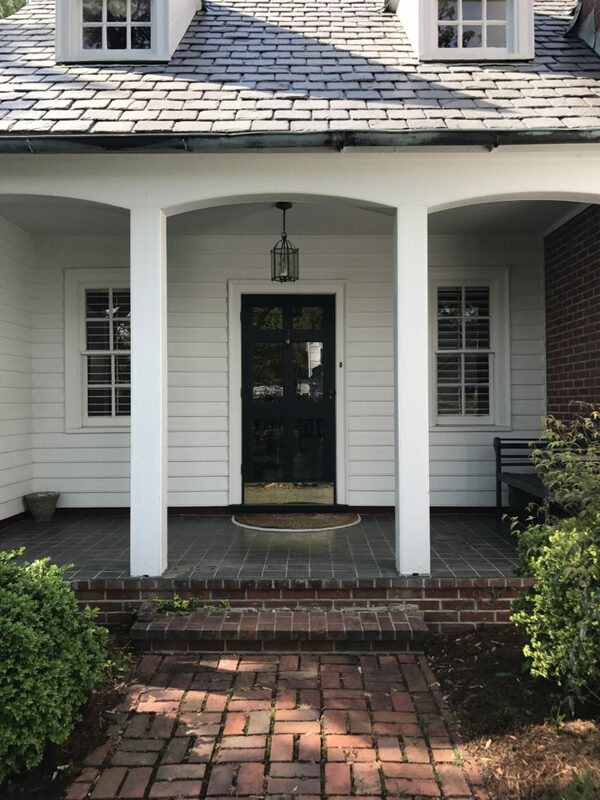 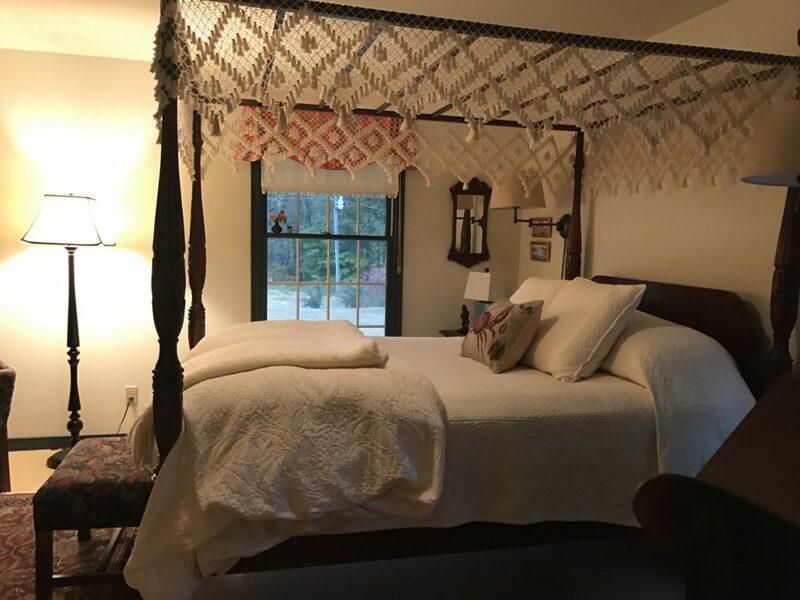 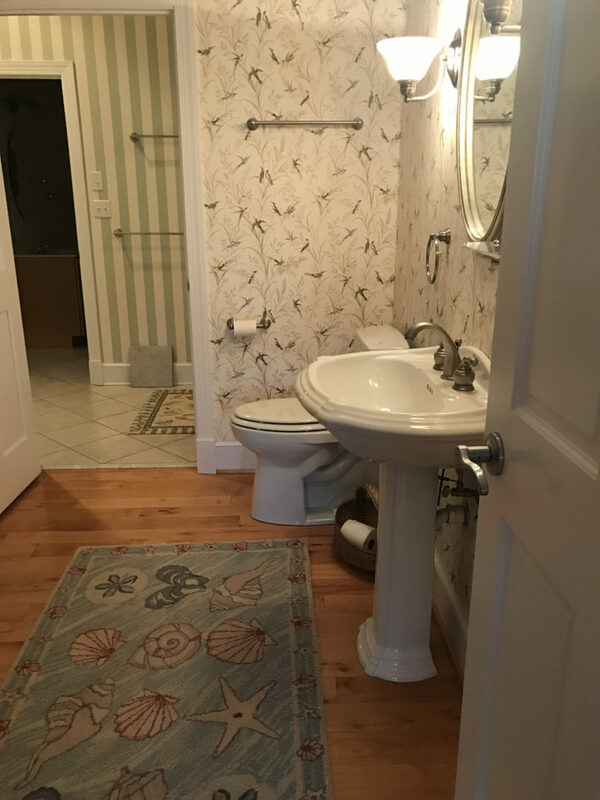 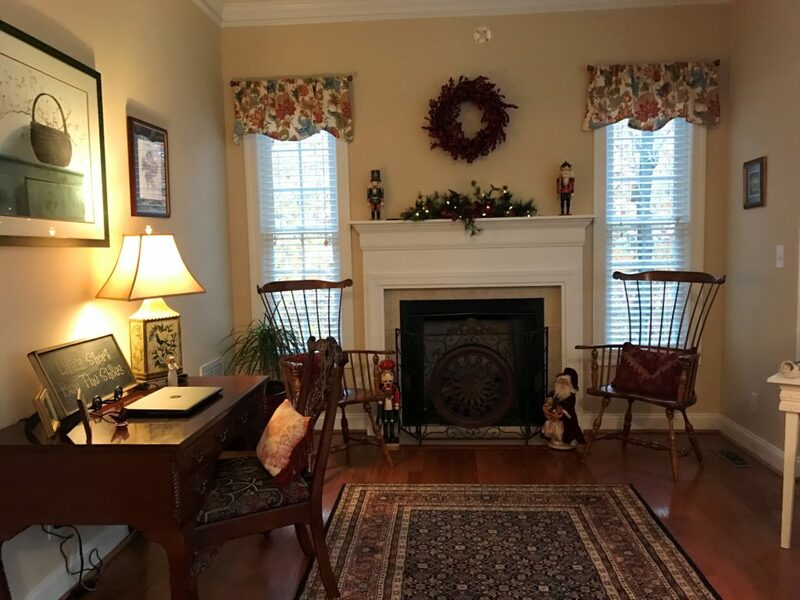 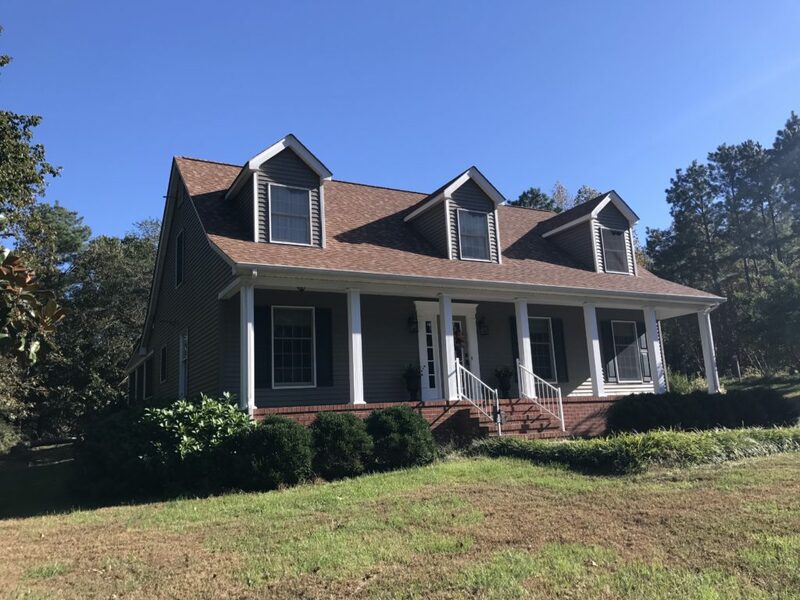 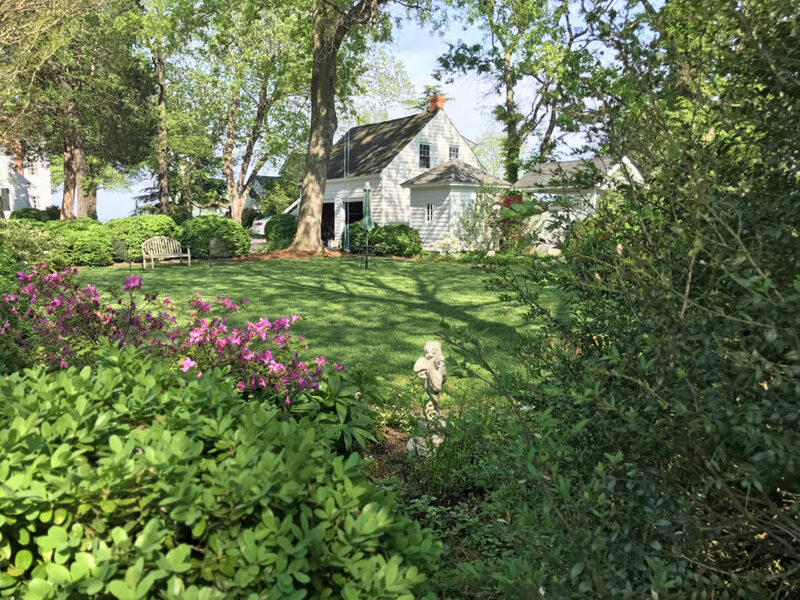 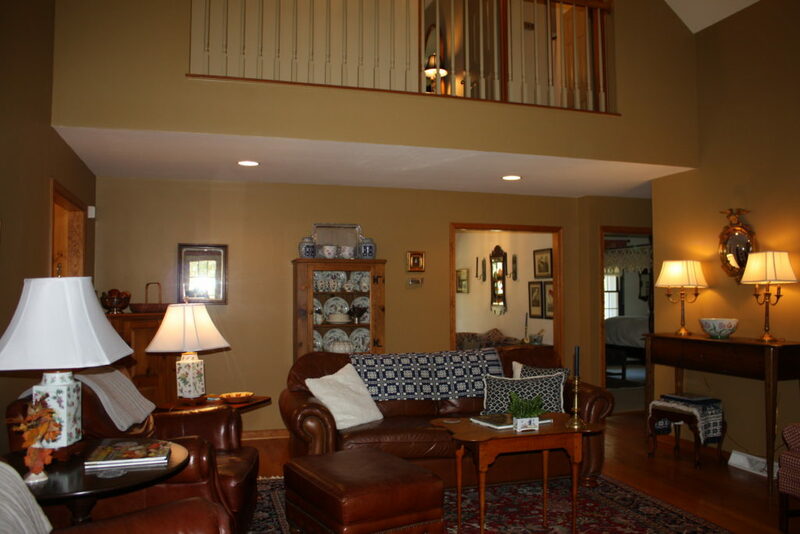 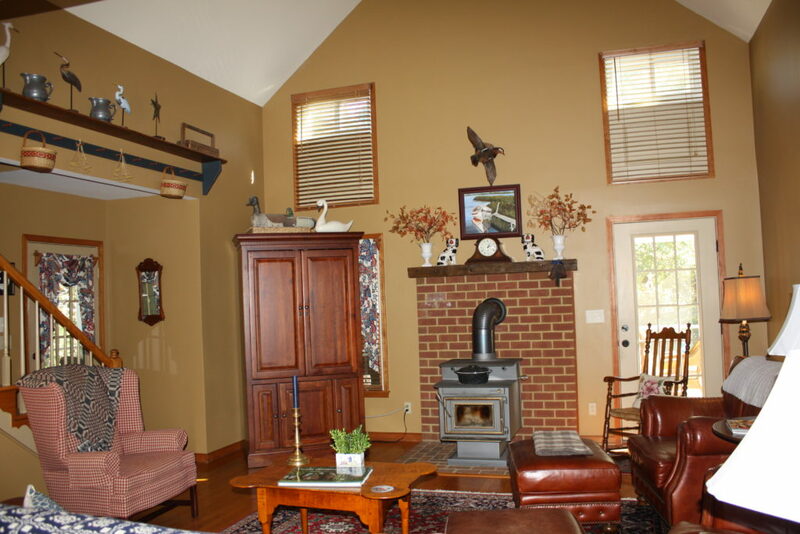 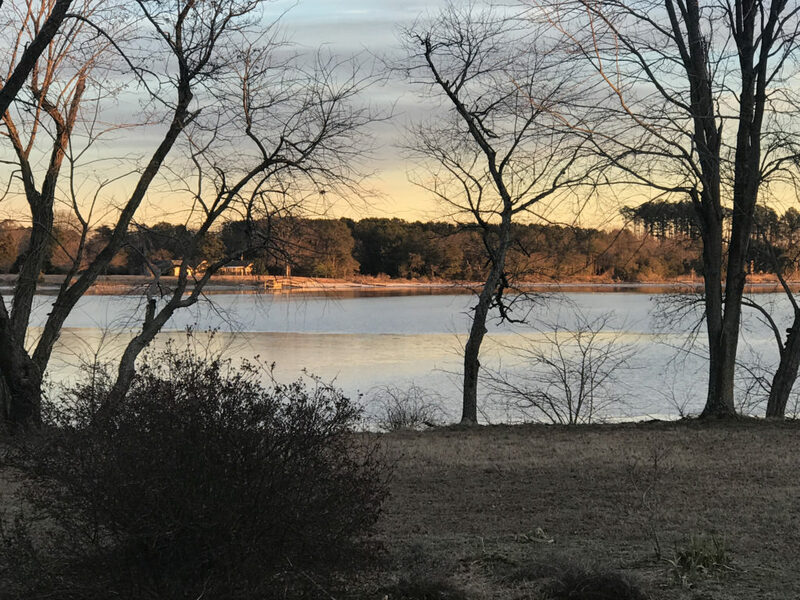 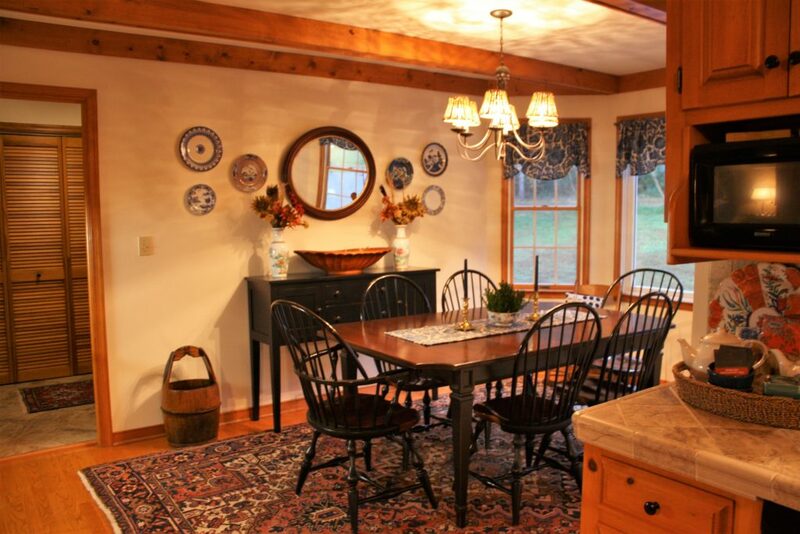 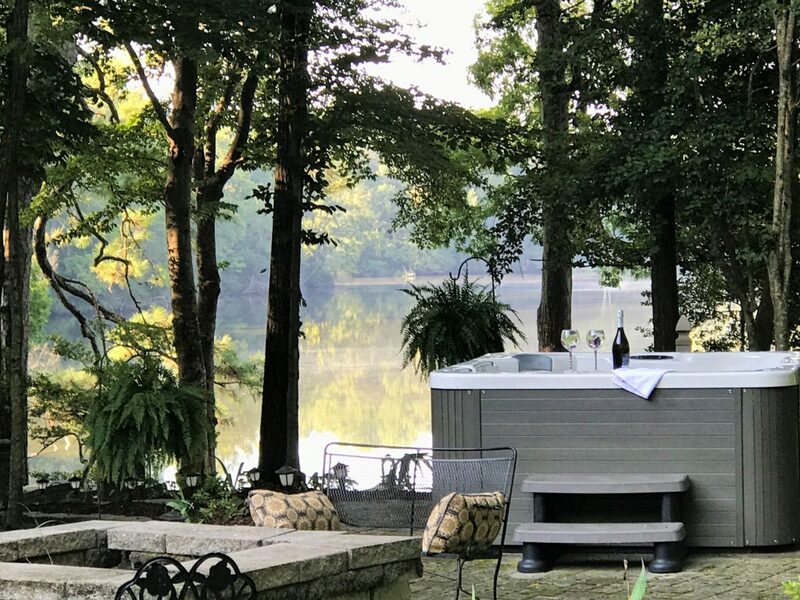 The Second Closing is a Country Property / Farm on 70+ acres with a 3 1/2 acre pond, three out buildings and a lovely Cape Cod styled home which had a lux screened porch that you never want to leave. 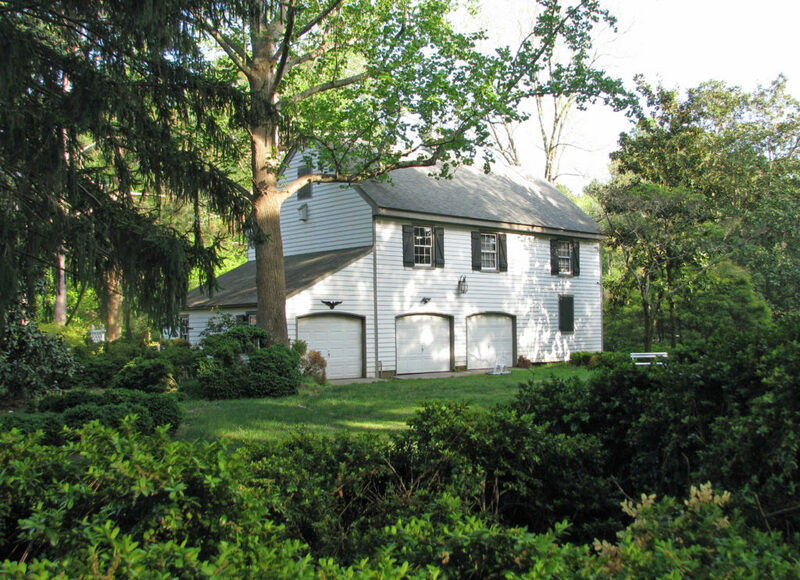 Property sold at FULL PRICE – @ $548,000. 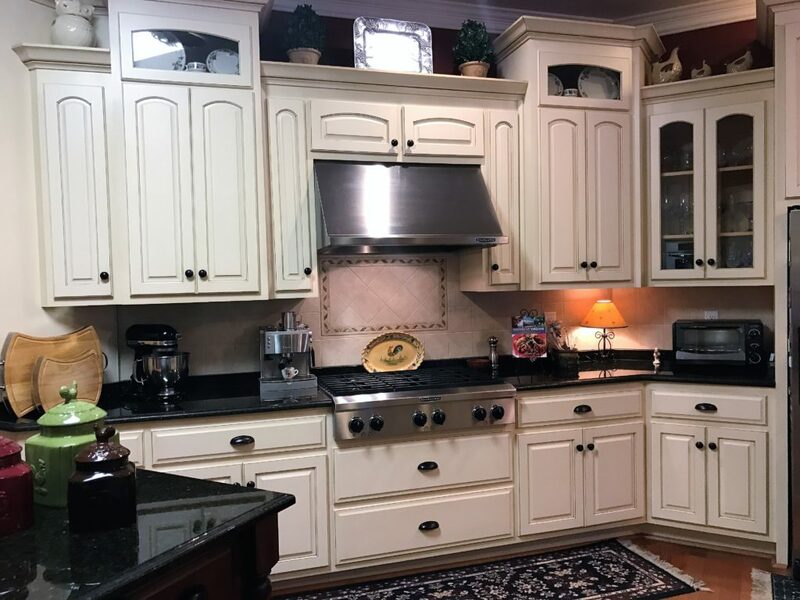 The last one is closing on Wednesday, March 13, 2019 and is a cash sale with NO contingencies! 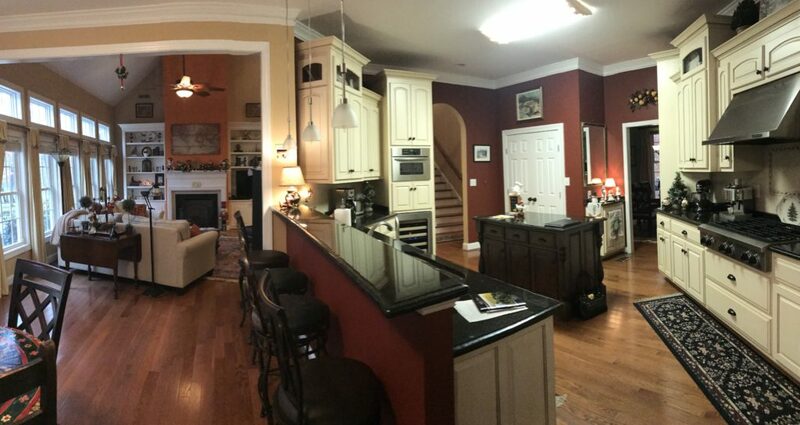 World Class Marketing, Networking and Diligence has produced these results. 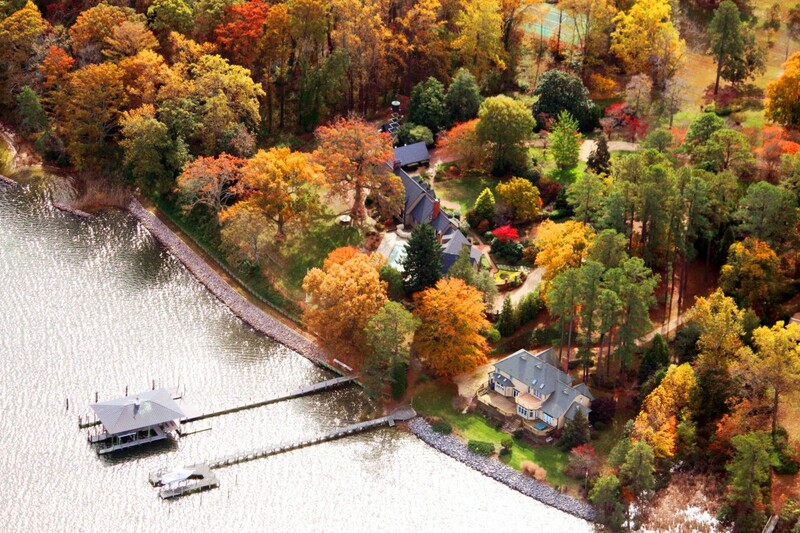 The Agent you Choose makes all the difference. 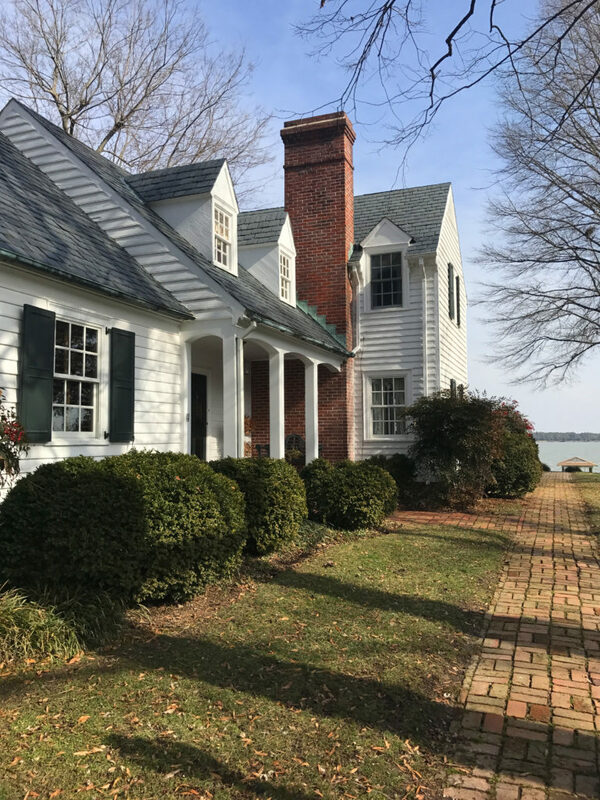 Pricing your property where it should be priced is essential as is having your property in the best possible condition that will result in ratified contracts that close. 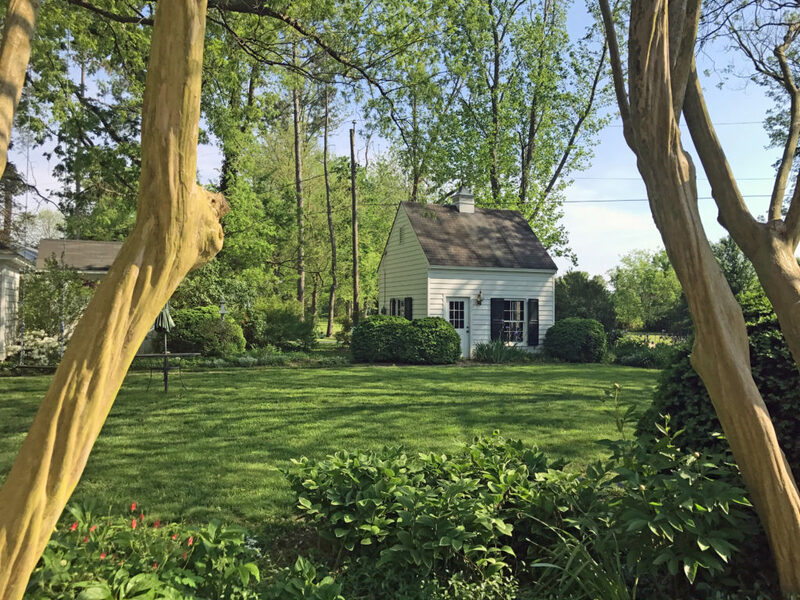 Contact me, Karin Andrews, at 804-445-5500 or by email at Karin.Andrews@BHHSTowne.com if I can help make your buying or selling dreams come true! 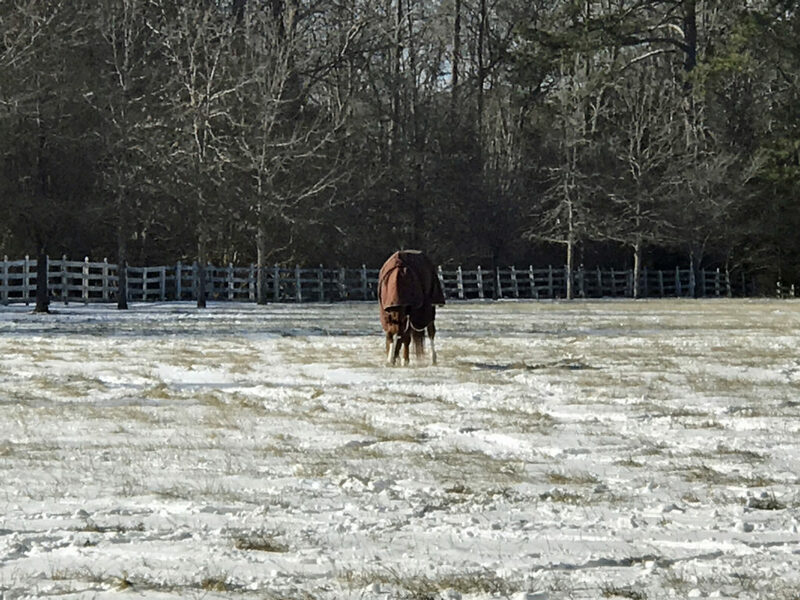 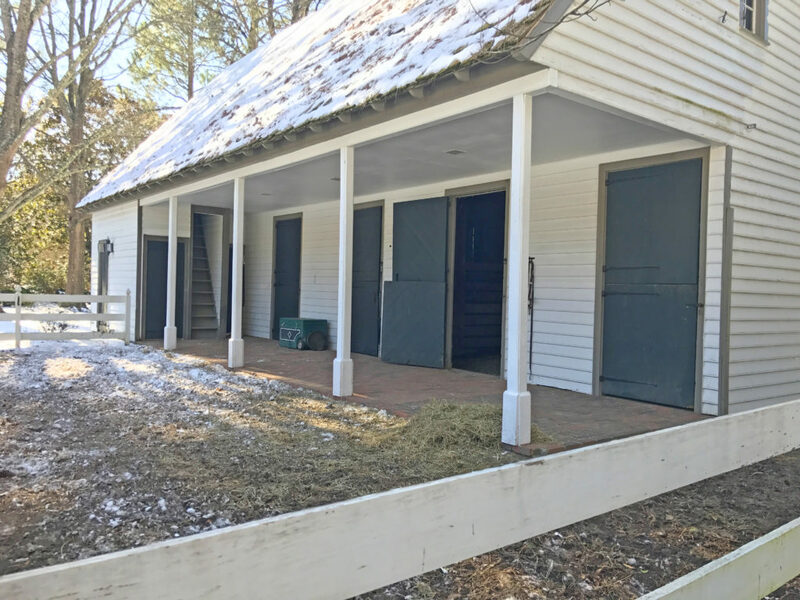 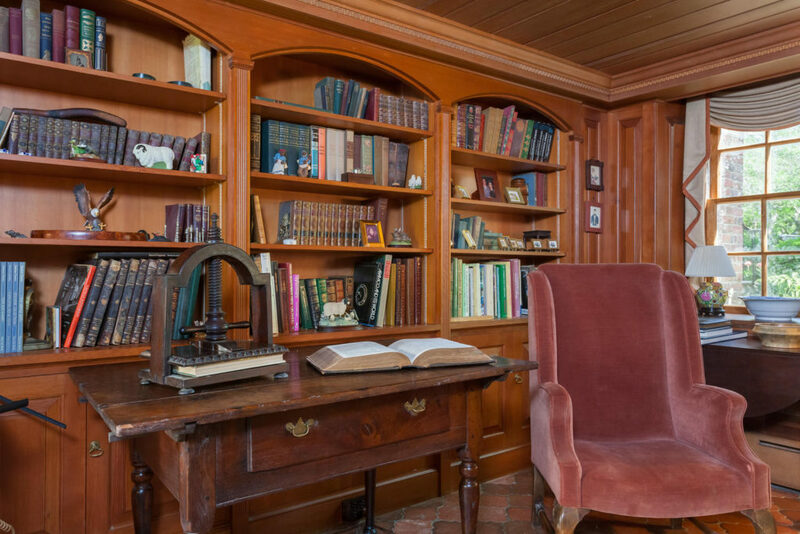 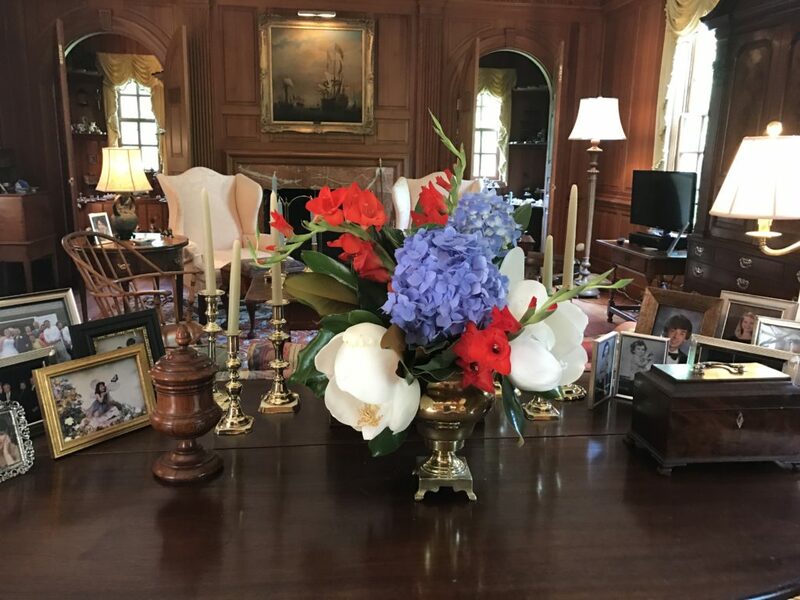 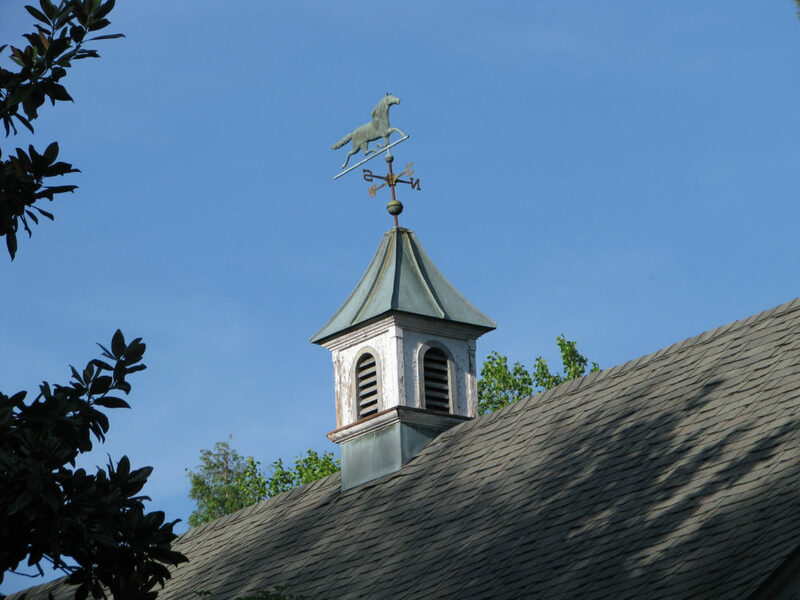 If you need a plan to ready your Historic, Waterfront or Equestrian property for Market, I would be delighted to meet with you and assist you toward those ends while we discuss a market strategy, market price and terms. 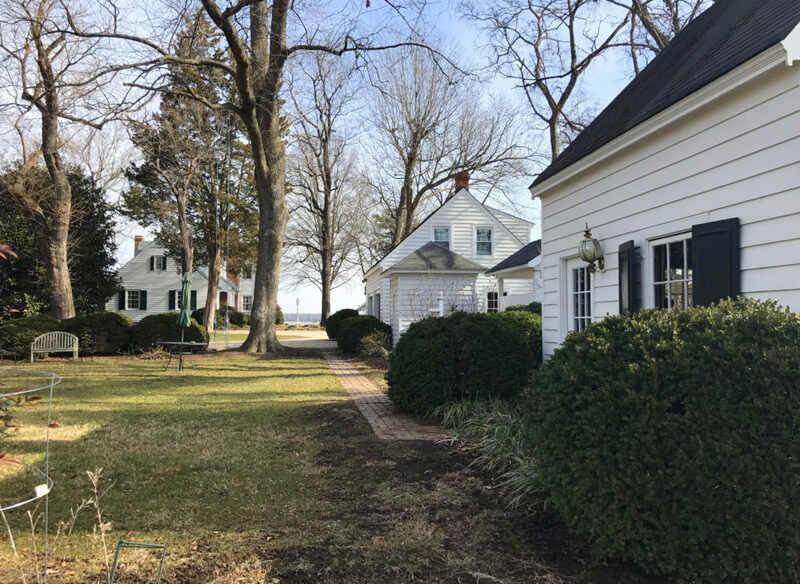 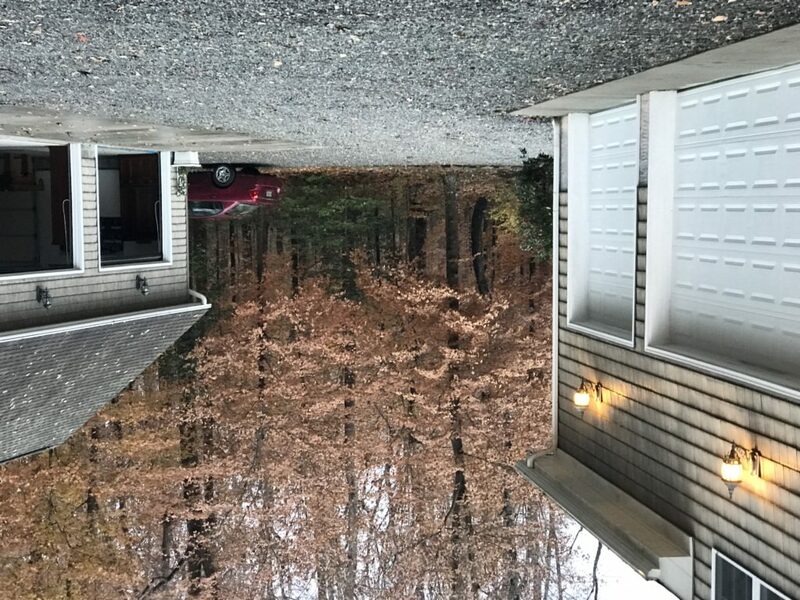 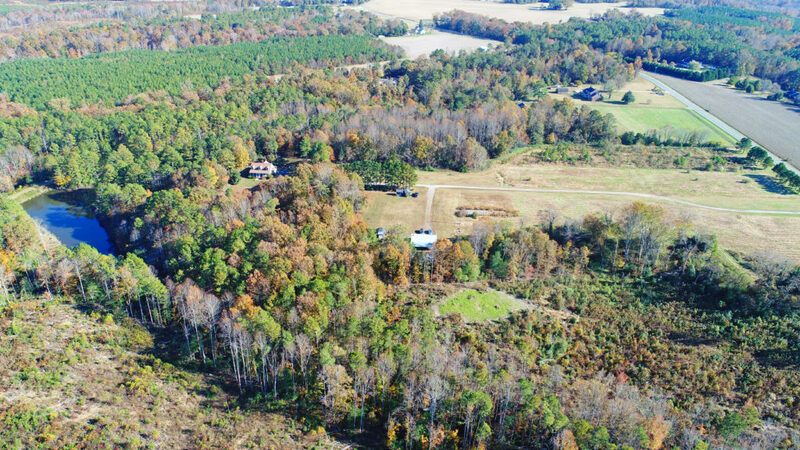 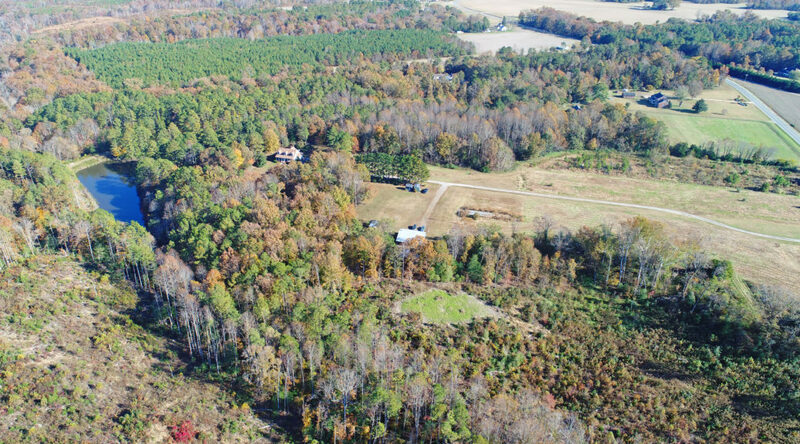 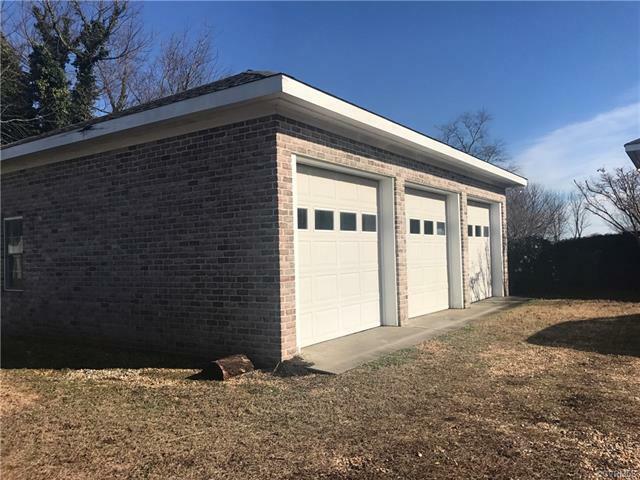 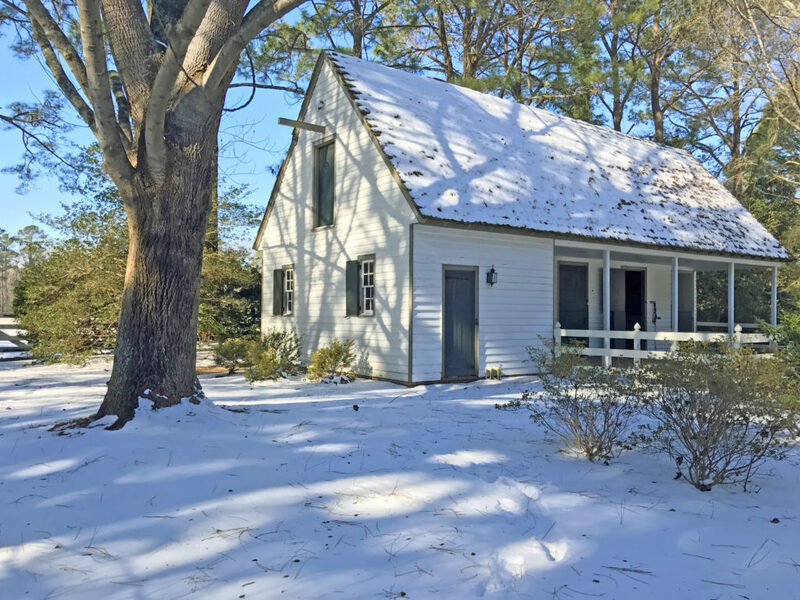 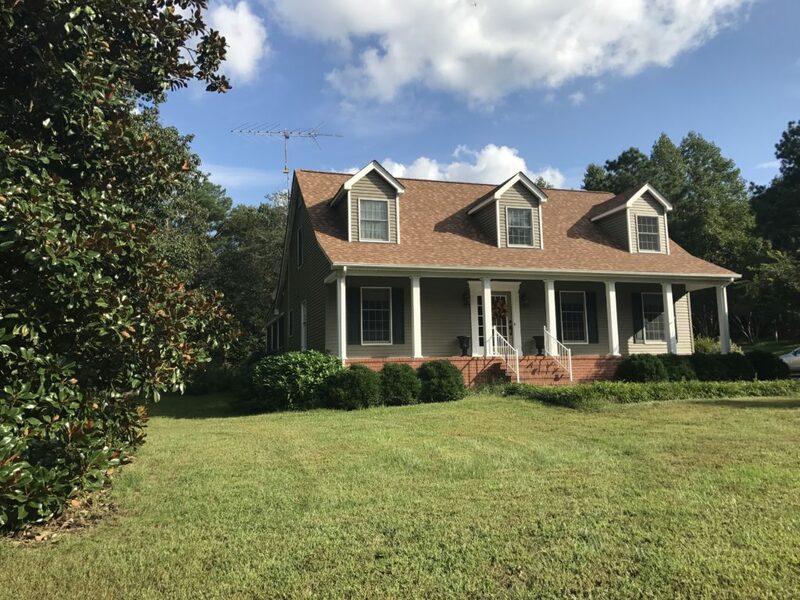 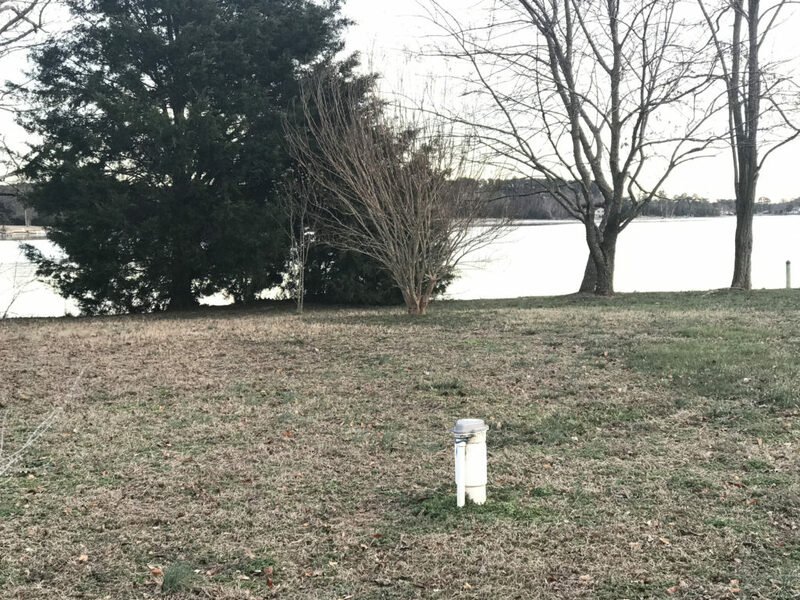 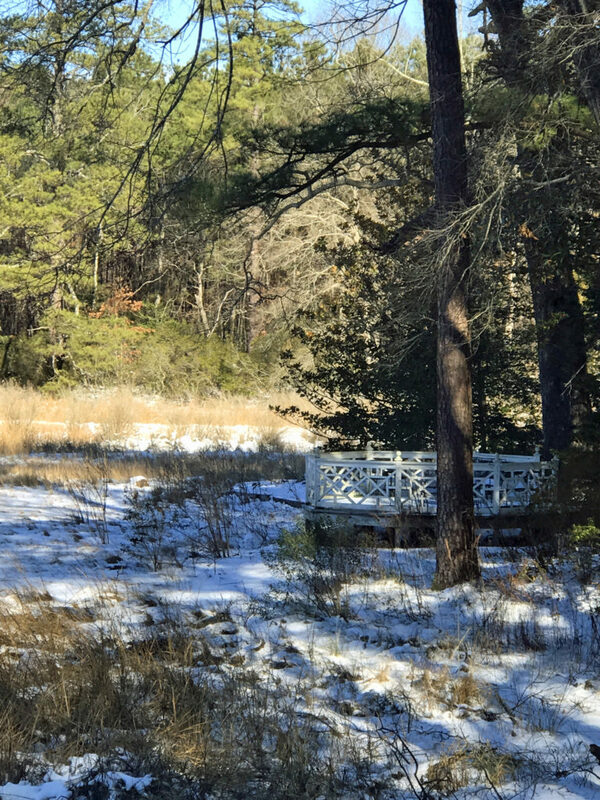 Congratulations to my clients, who trusted me with the listing and sale of their country property in Essex County, Virginia at 1340 Kino Road. 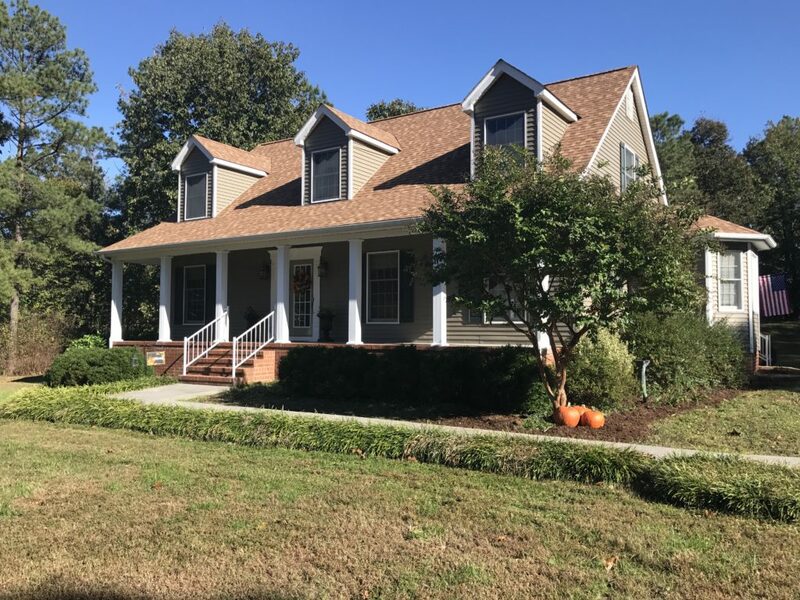 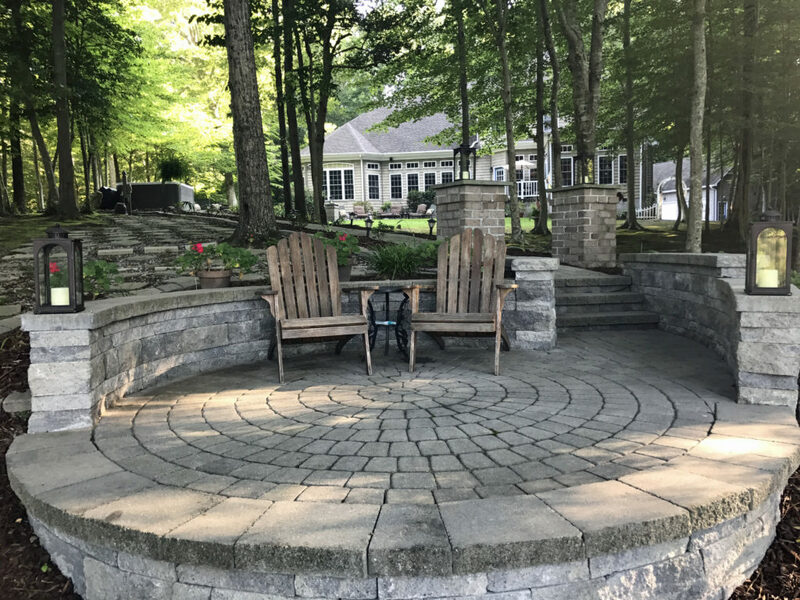 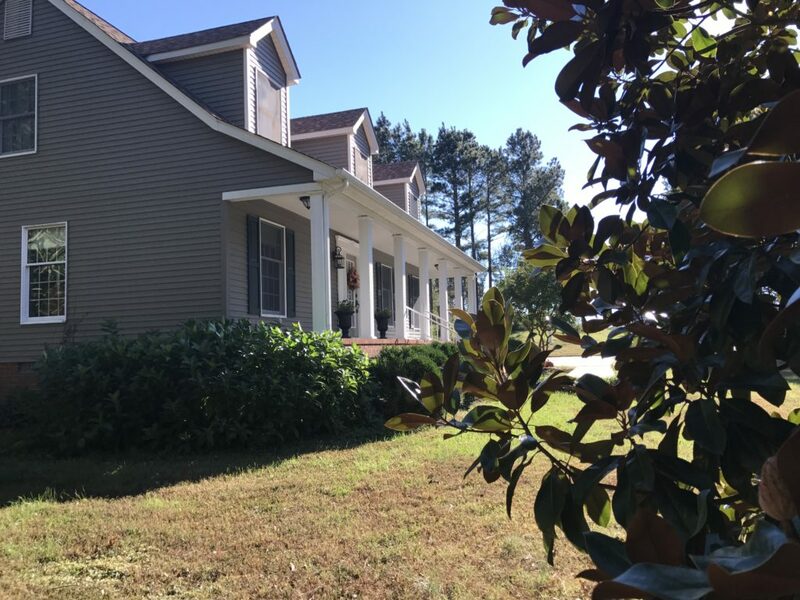 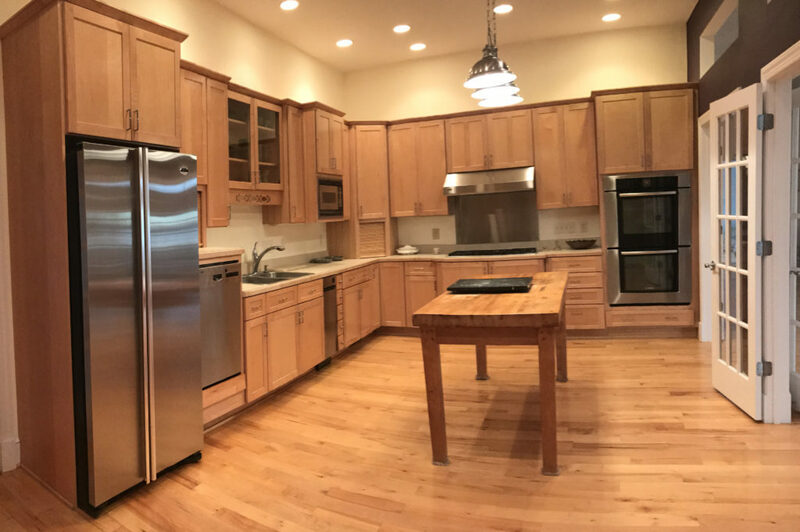 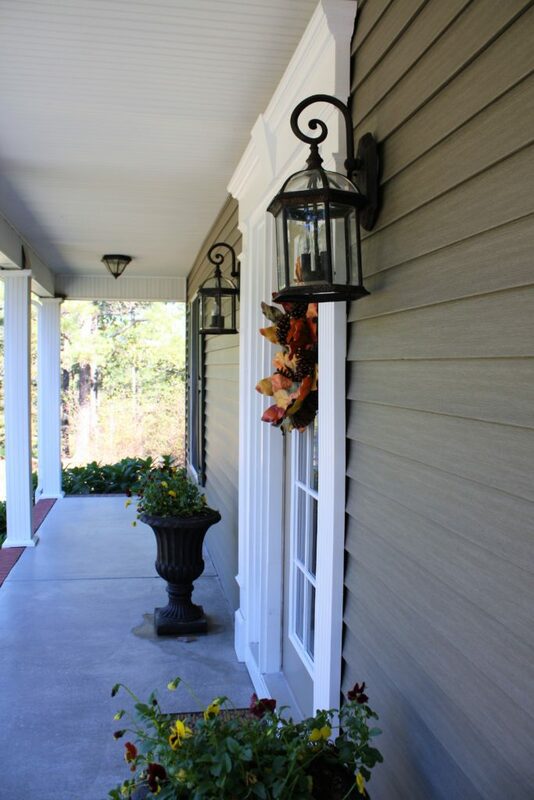 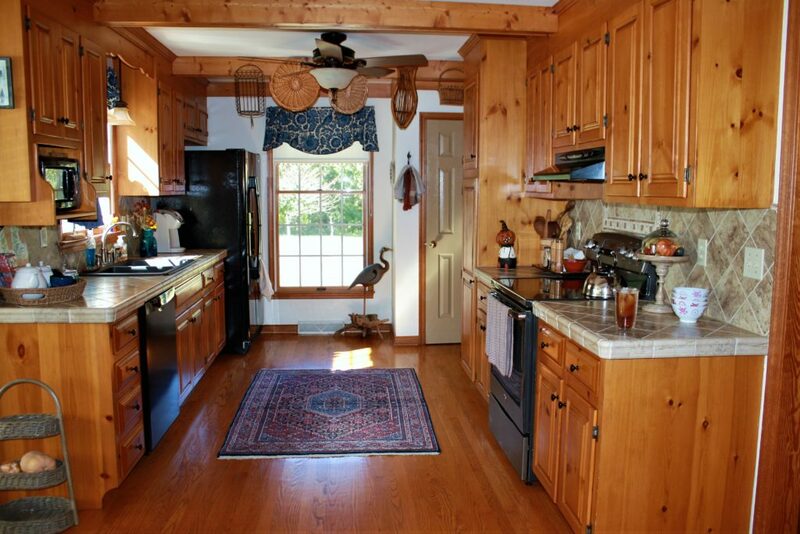 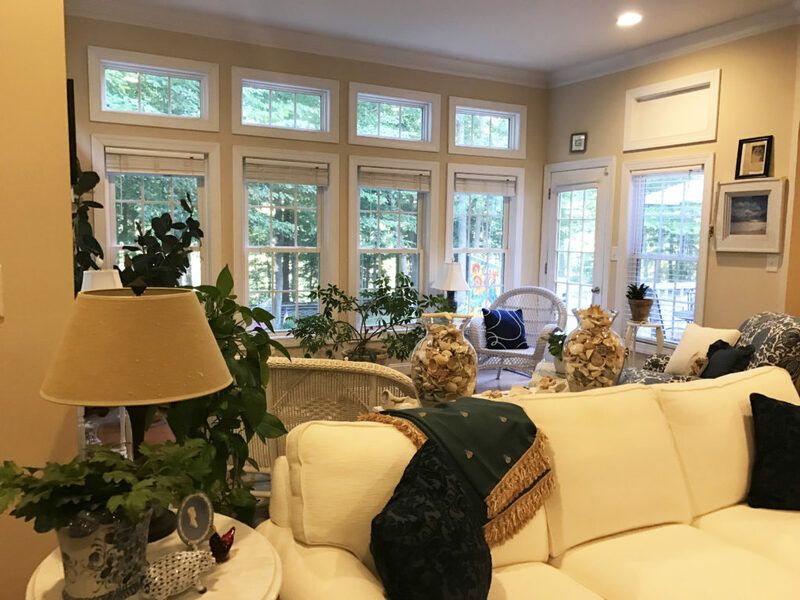 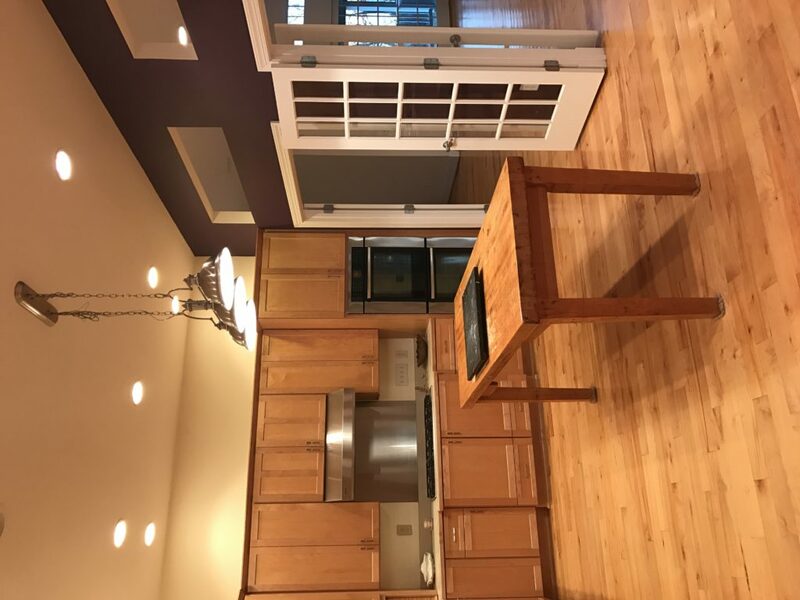 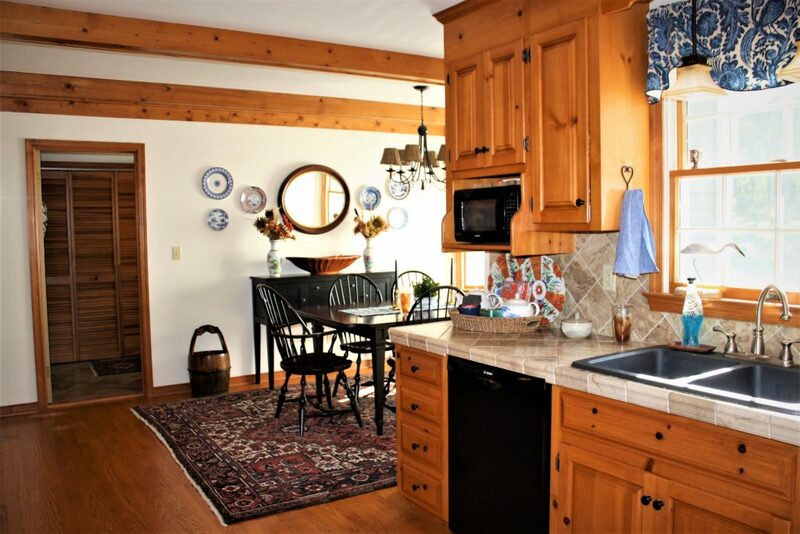 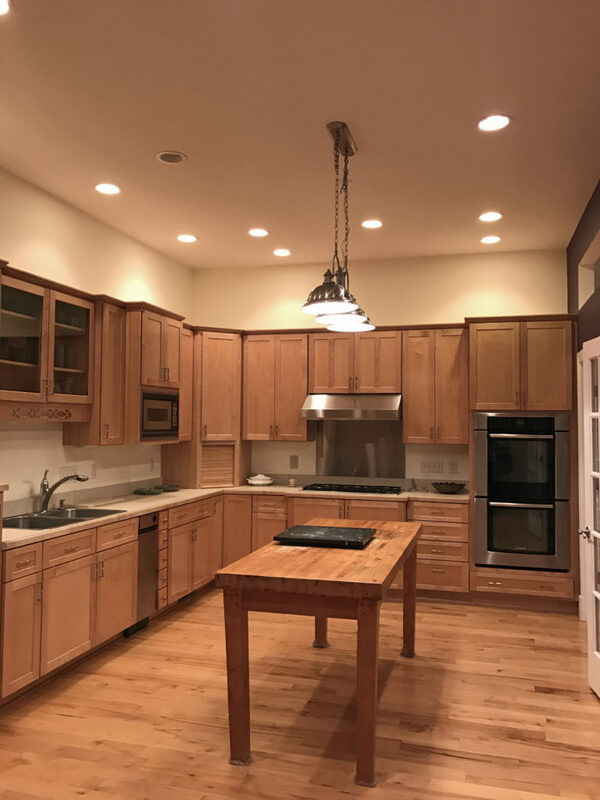 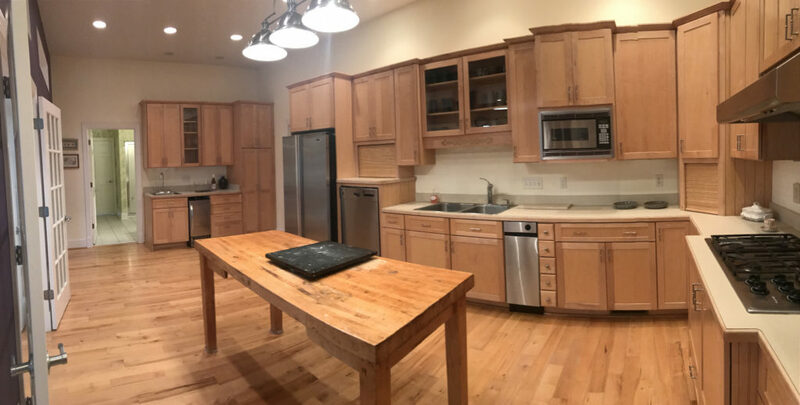 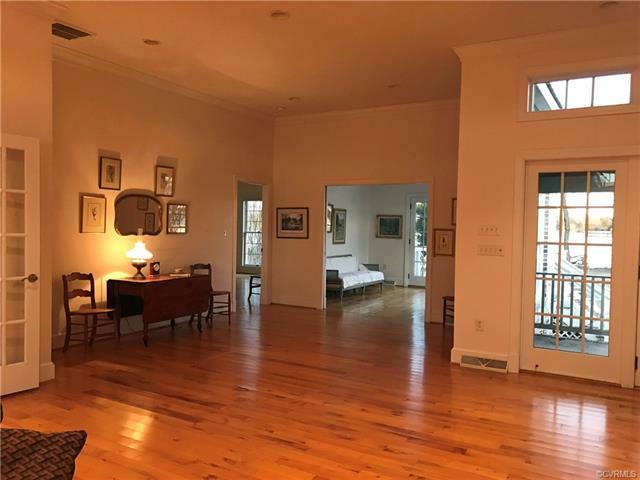 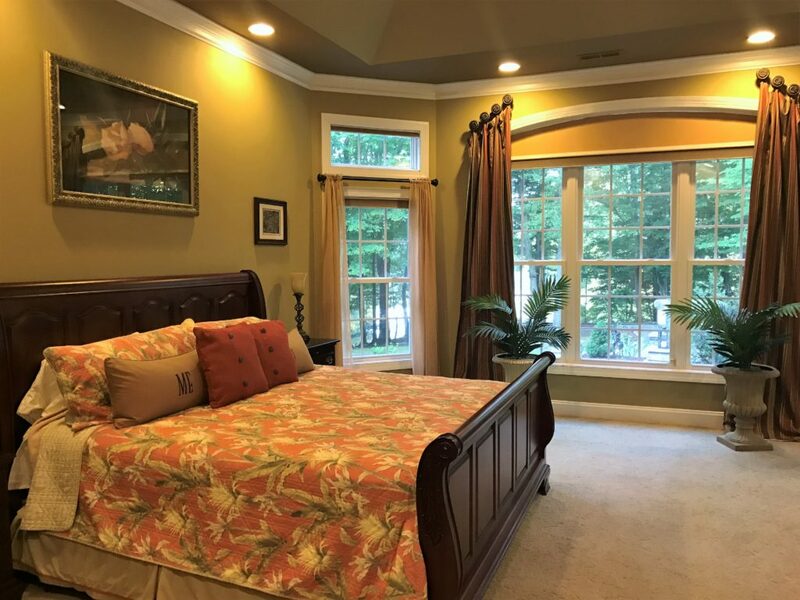 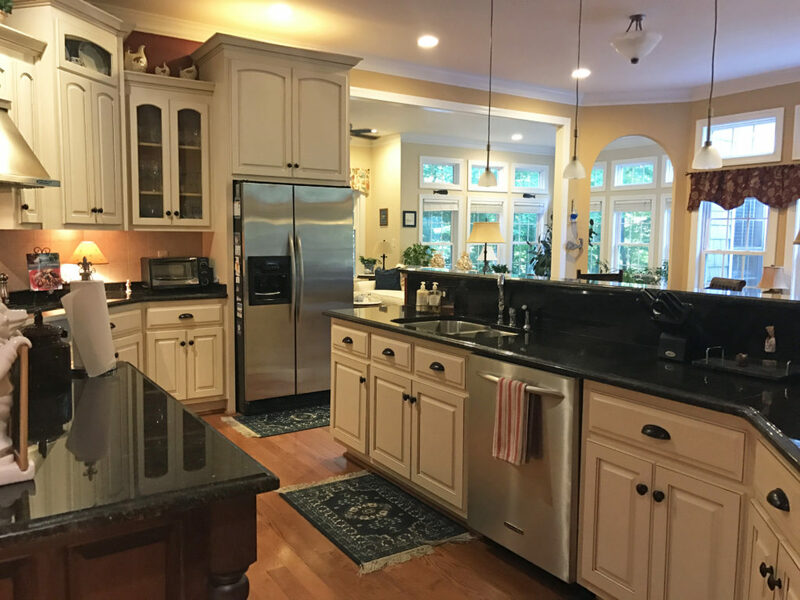 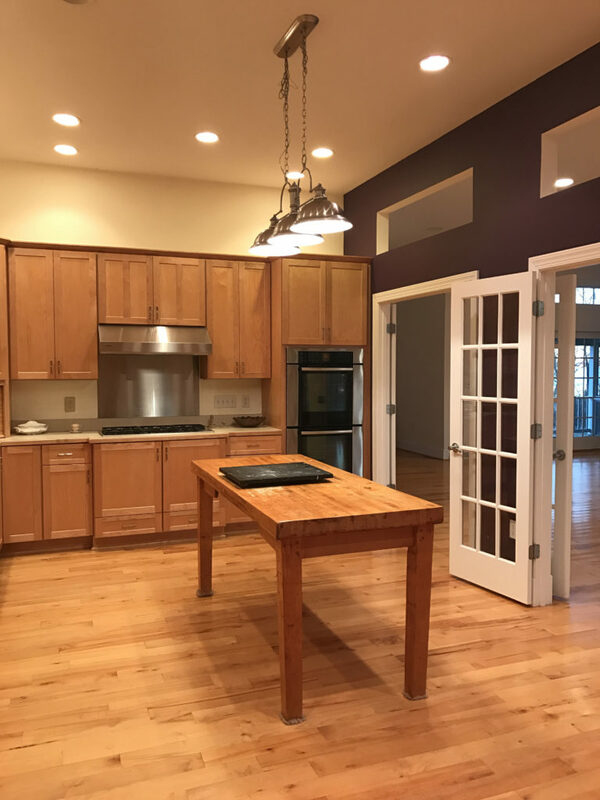 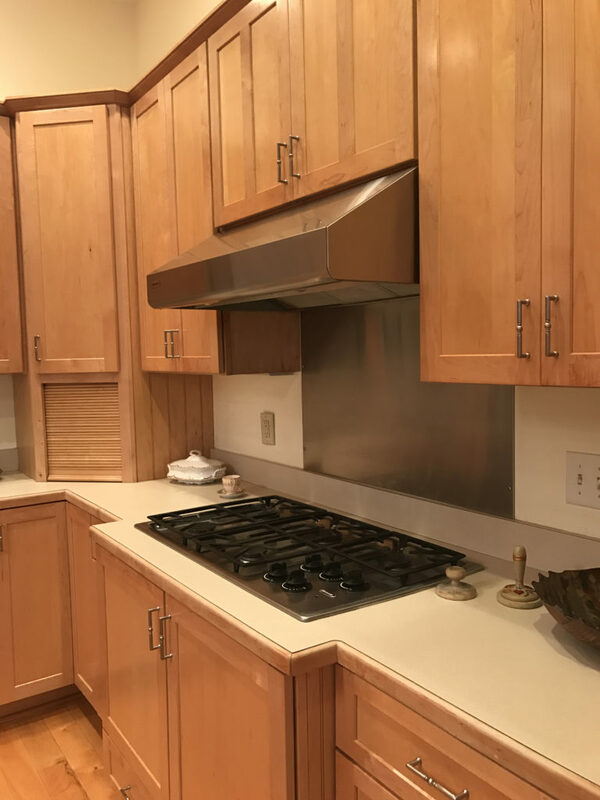 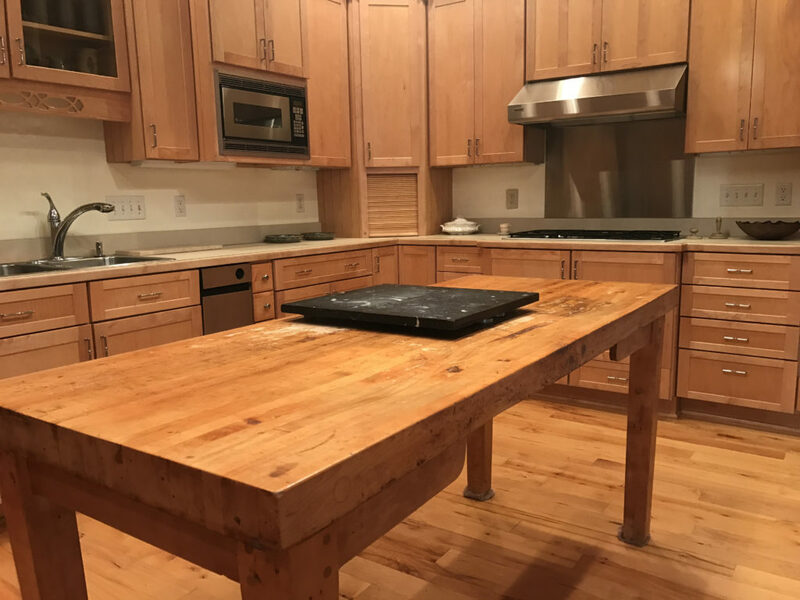 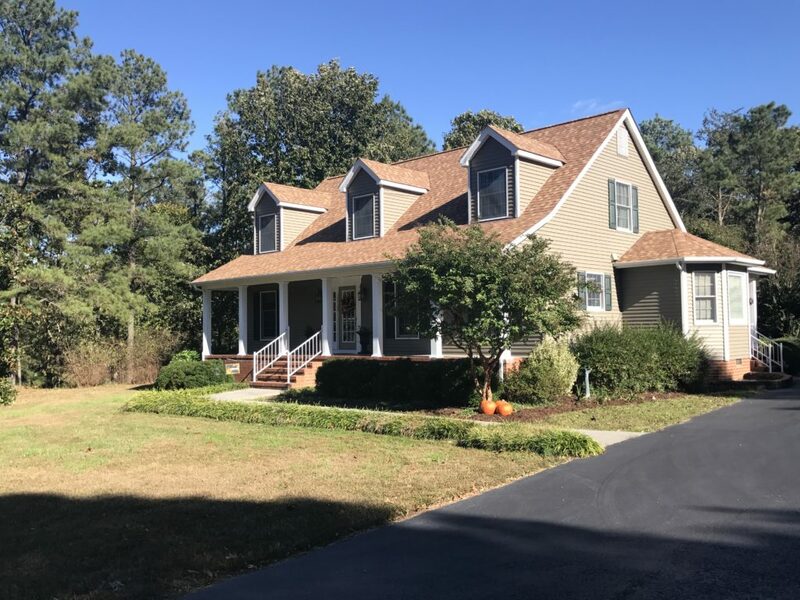 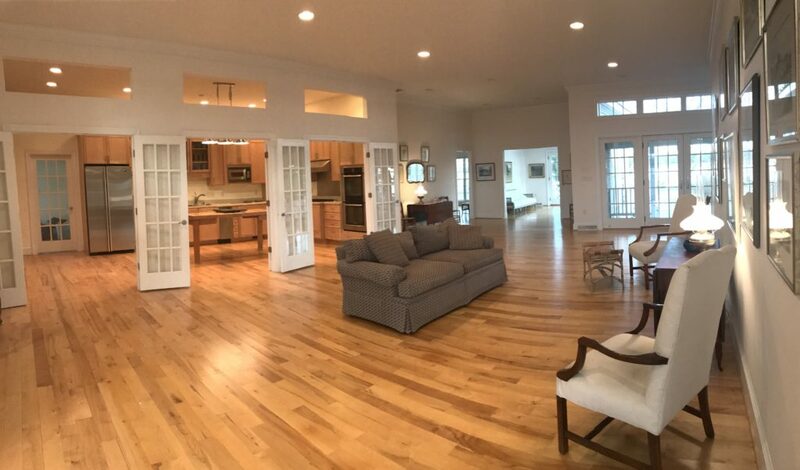 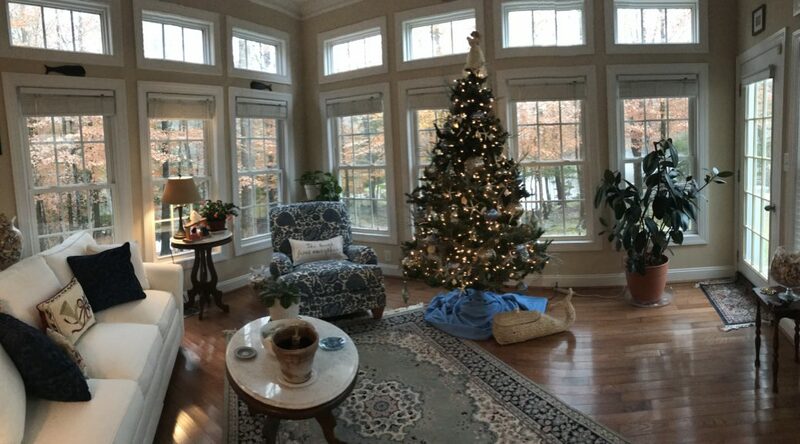 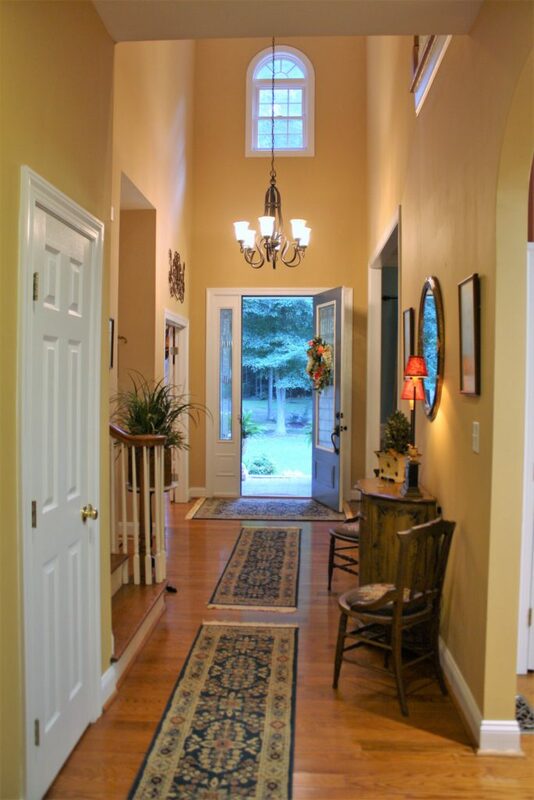 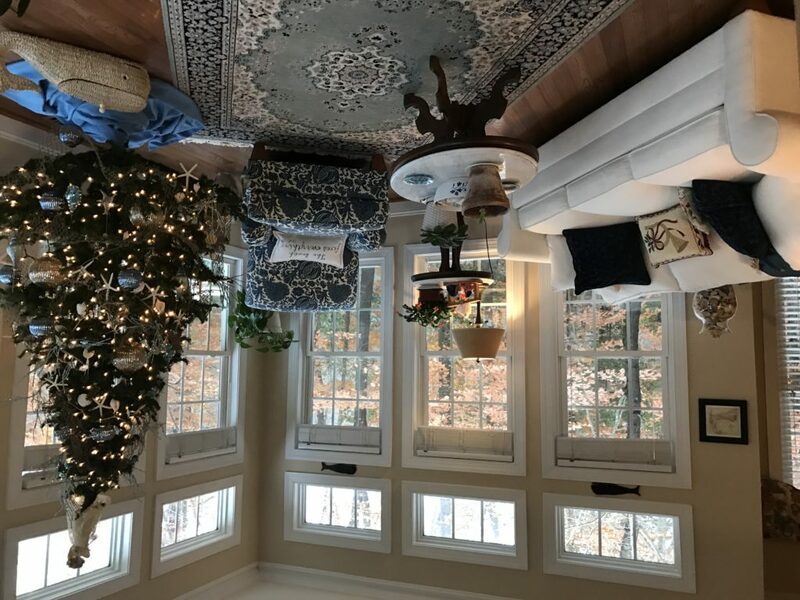 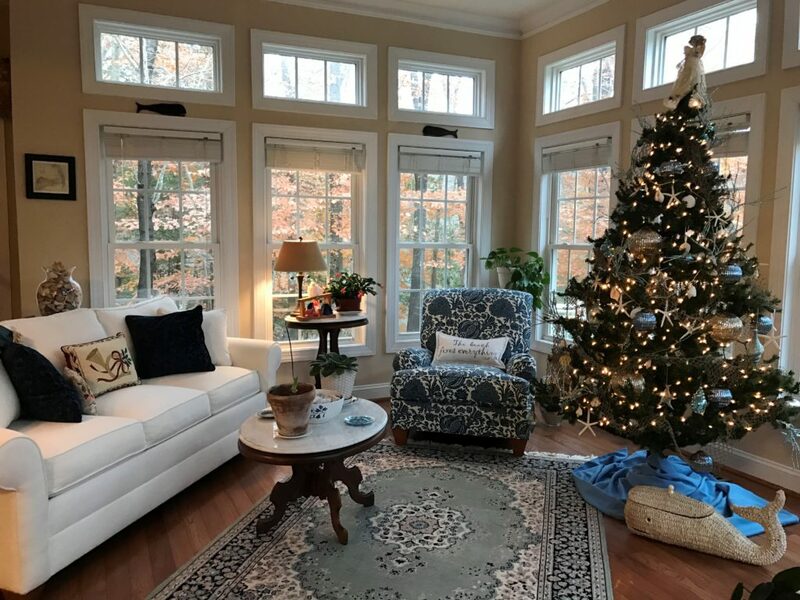 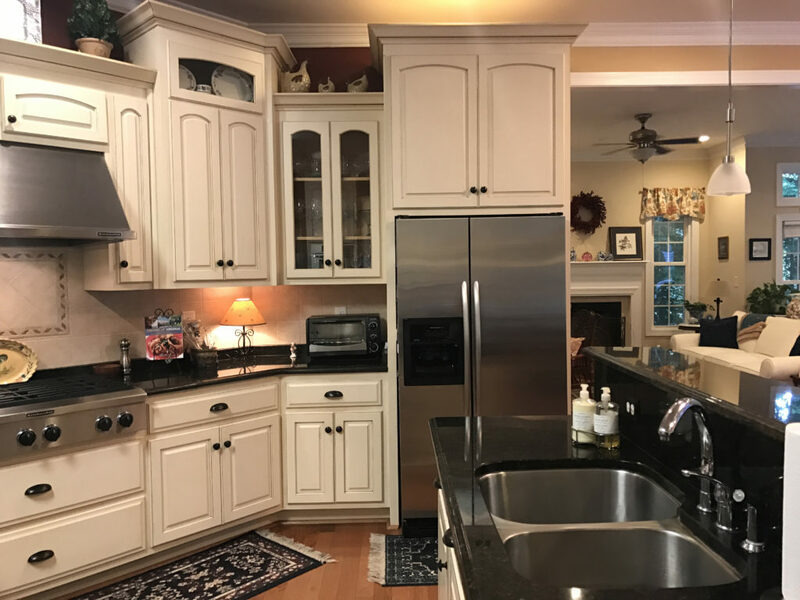 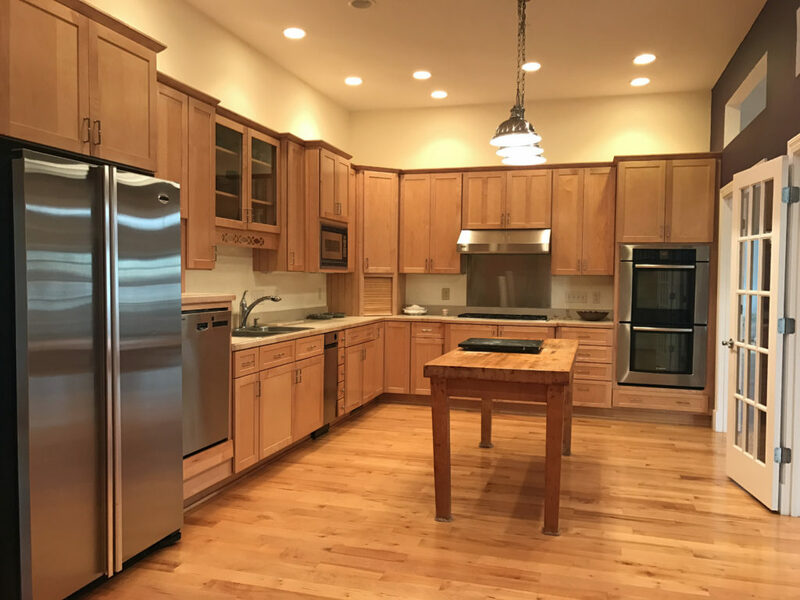 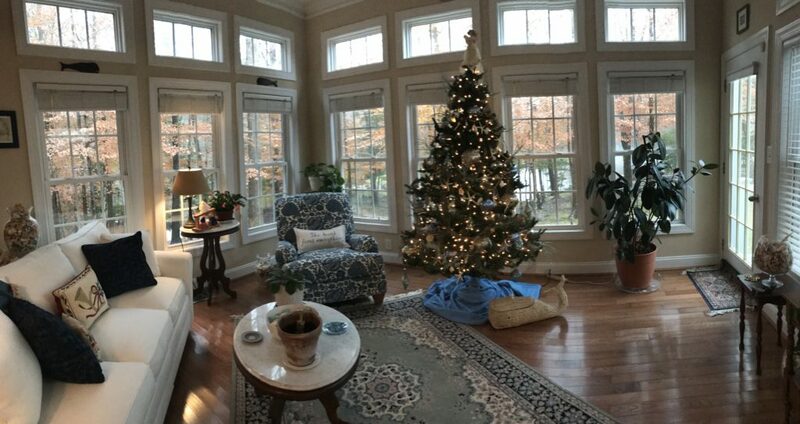 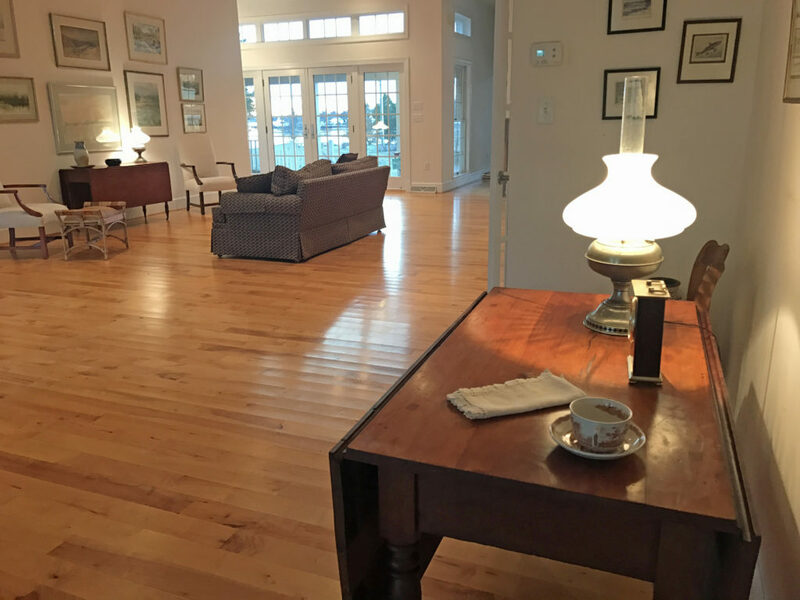 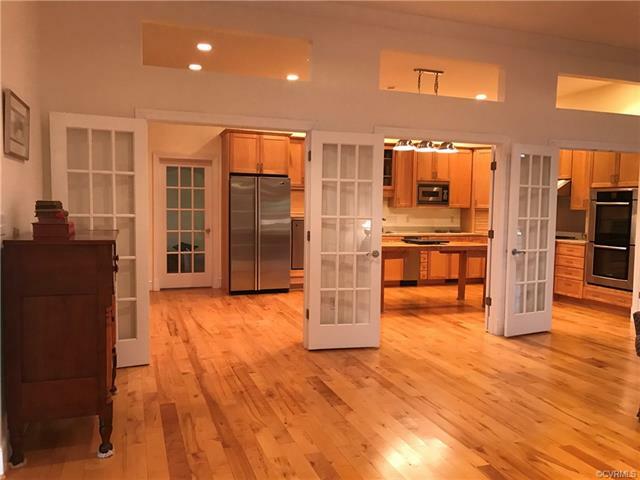 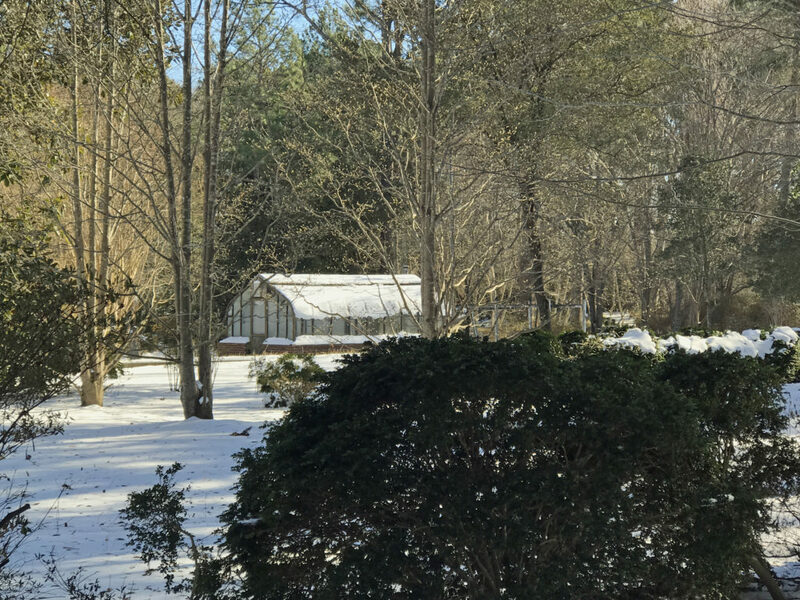 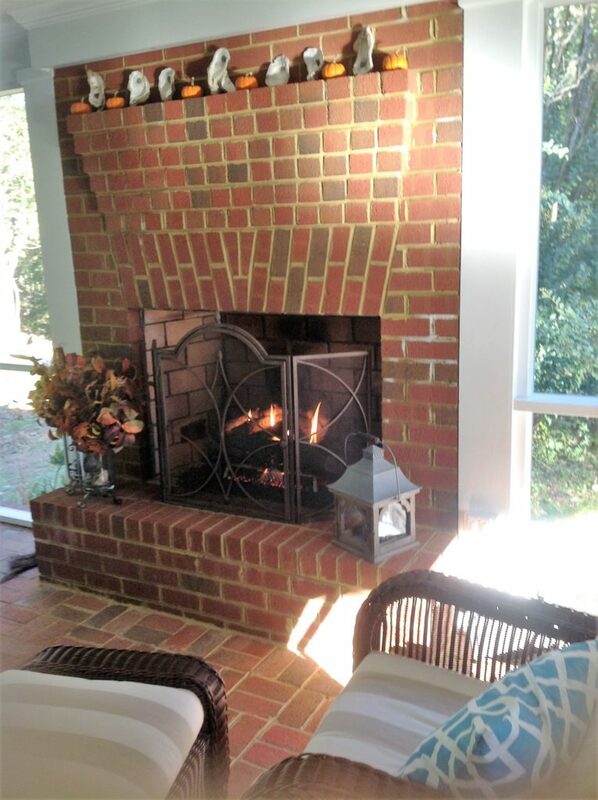 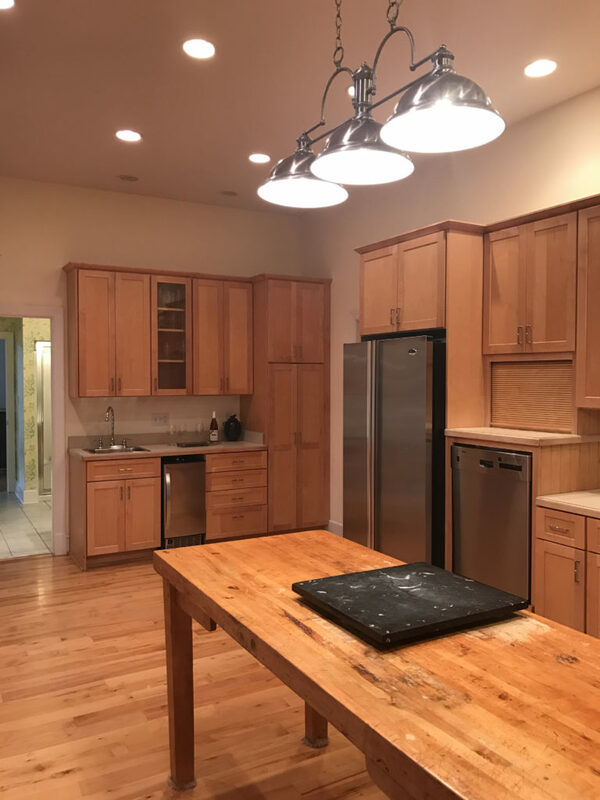 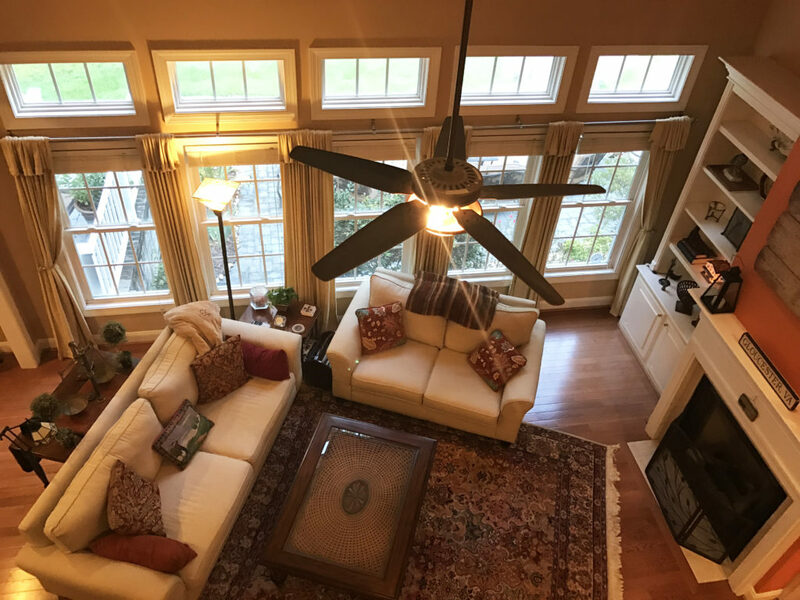 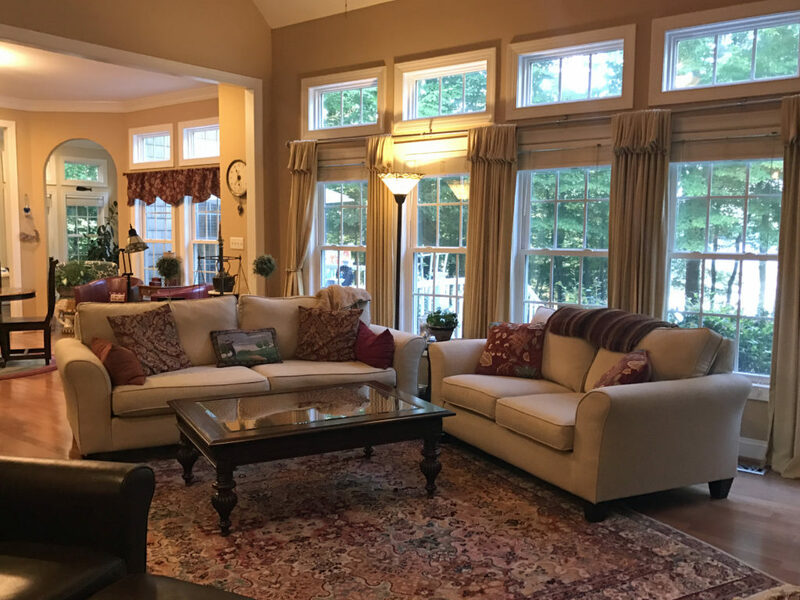 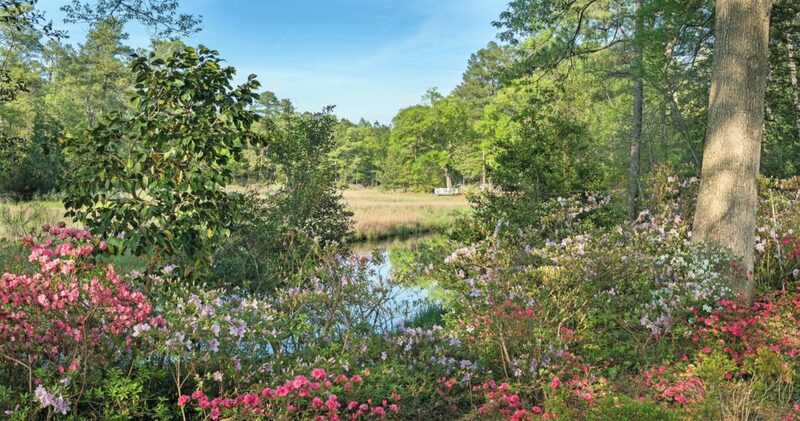 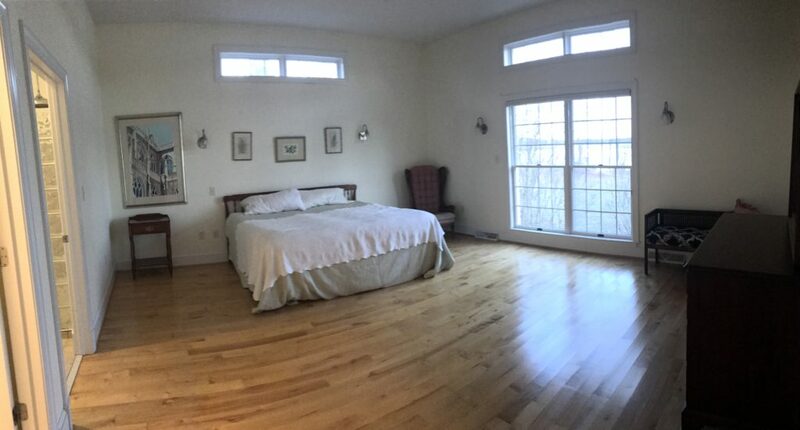 This 70+ acre property consisted of a Cape Cod style 3 bedroom, 2 full and (1) half bath home, with a fabulous screened porch, partially open concept floor plan, 3 1/2 acre pond and miscellaneous out buildings. 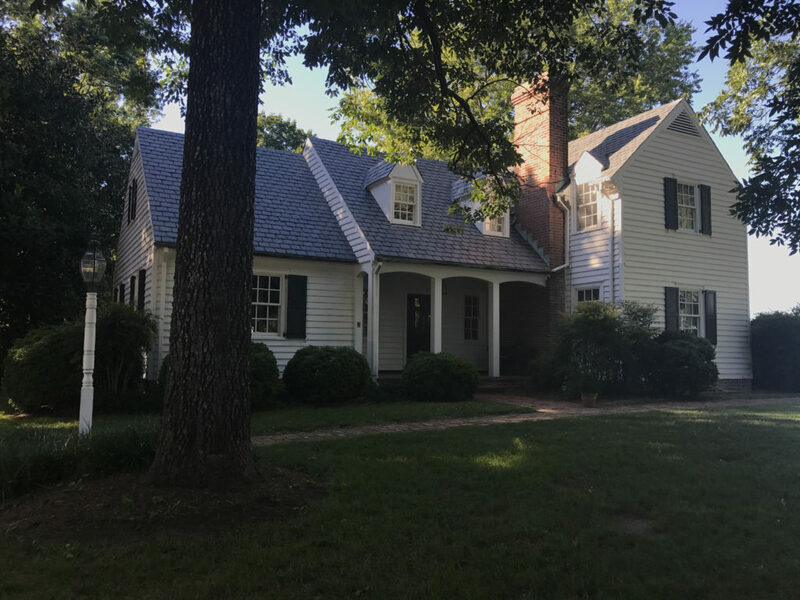 Only on the market for a few months, the asking price was $548,000. 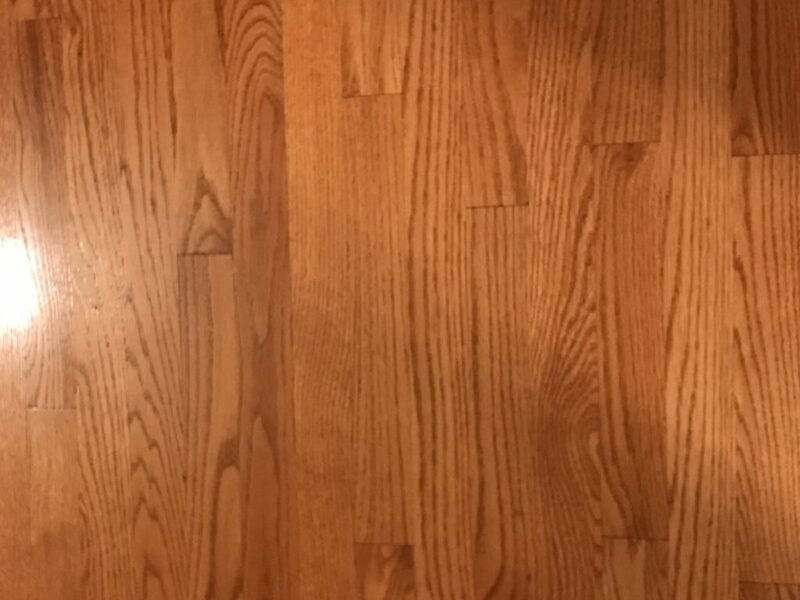 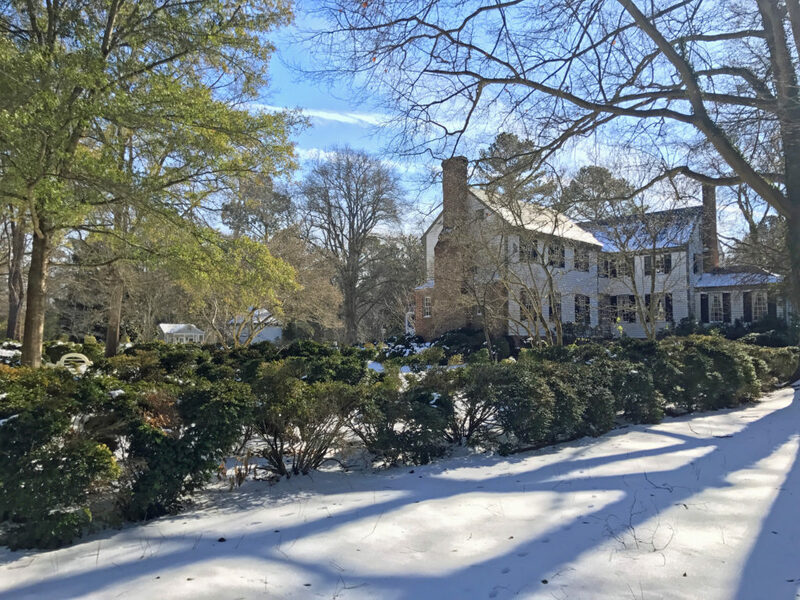 We received a full price offer which closed on March 6, 2019. 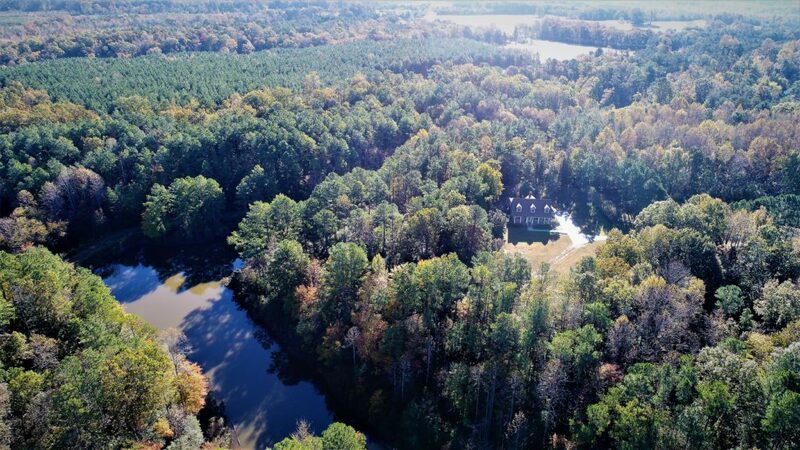 The agent you choose makes all the difference in obtaining the best sale price for your property by outstanding marketing, networking, exposing this property to buyers in areas most likely to be in search of a rural country property and diligence in getting the job done. 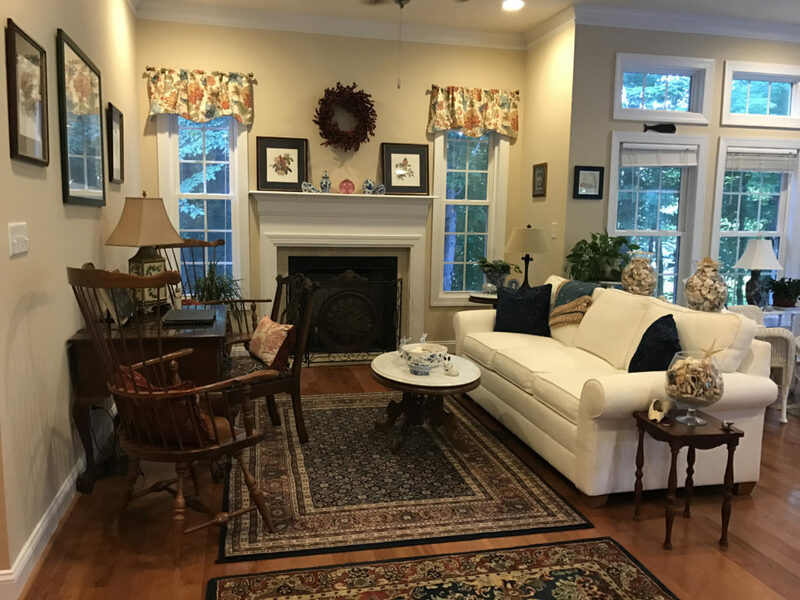 If I can help you achieve your buying and selling goals, please contact me at 804-445-5500 or by email at Karin.Andrews@BHHSTowne.com. 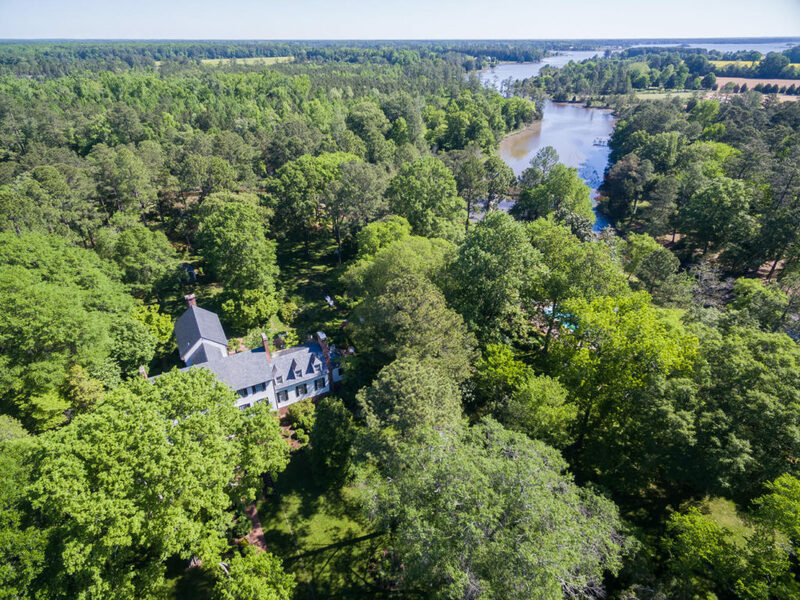 One of the most notable crown jewel Historic, Waterfront and Equestrian properties, encompassing over 70+ acres has been reduced from an asking price of $2,100,000 to $1,840,000. 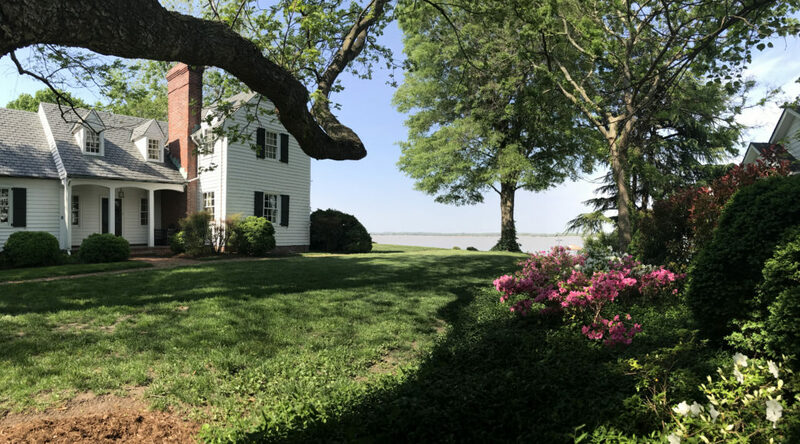 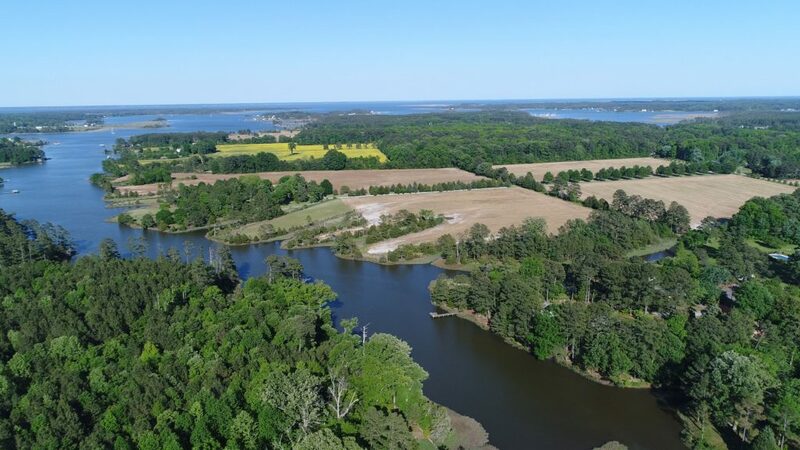 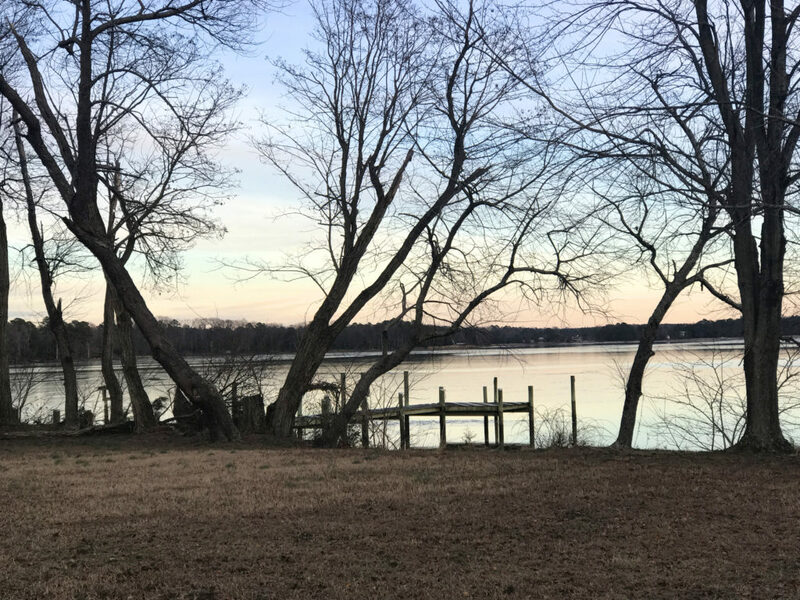 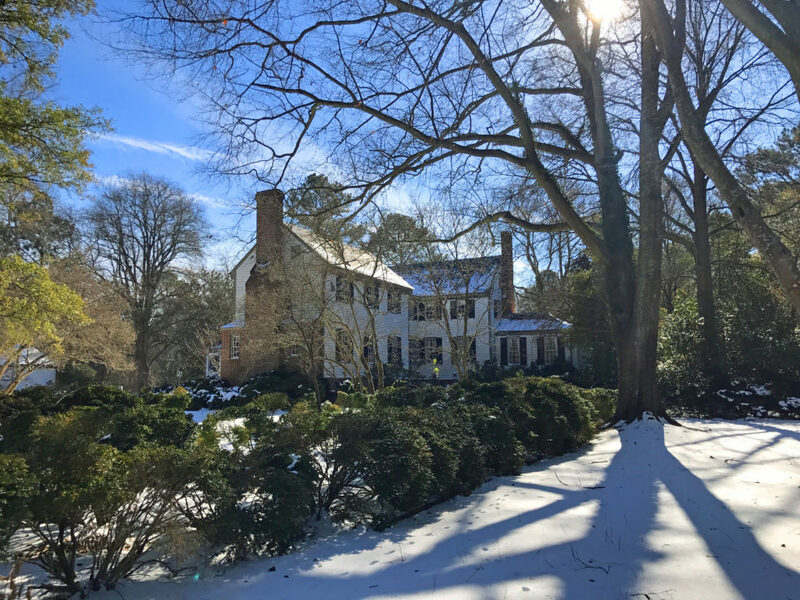 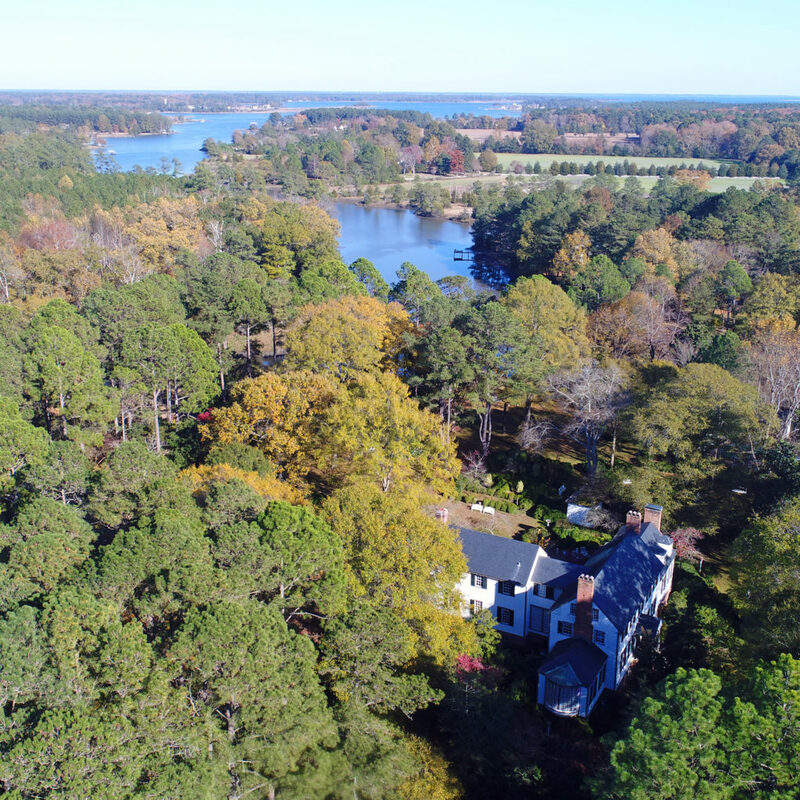 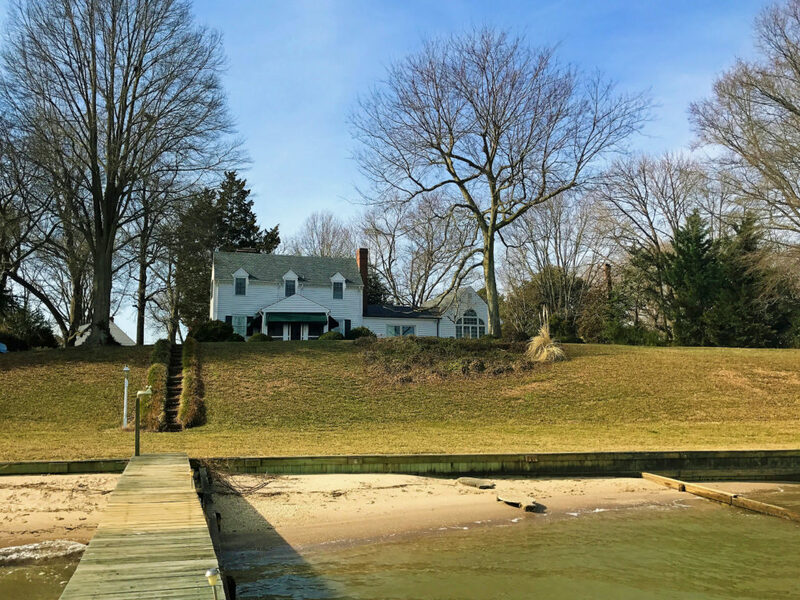 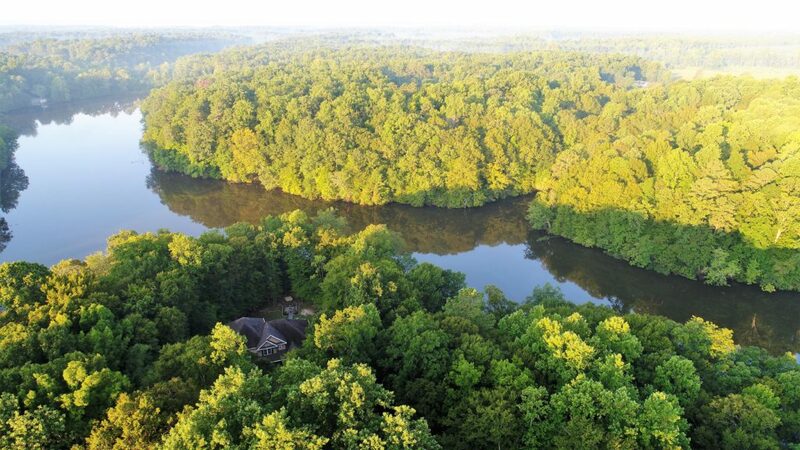 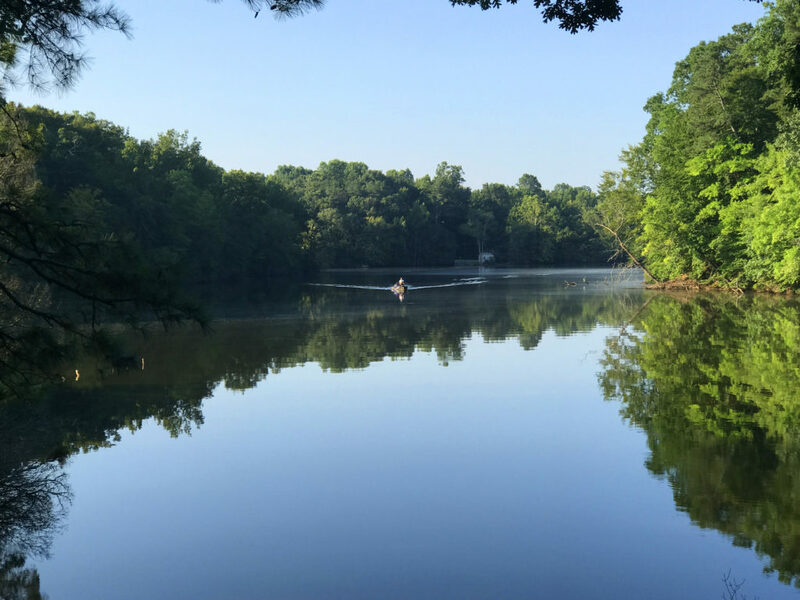 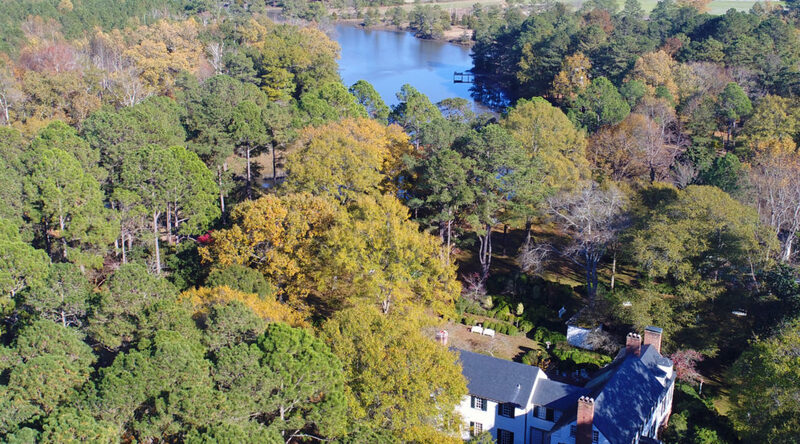 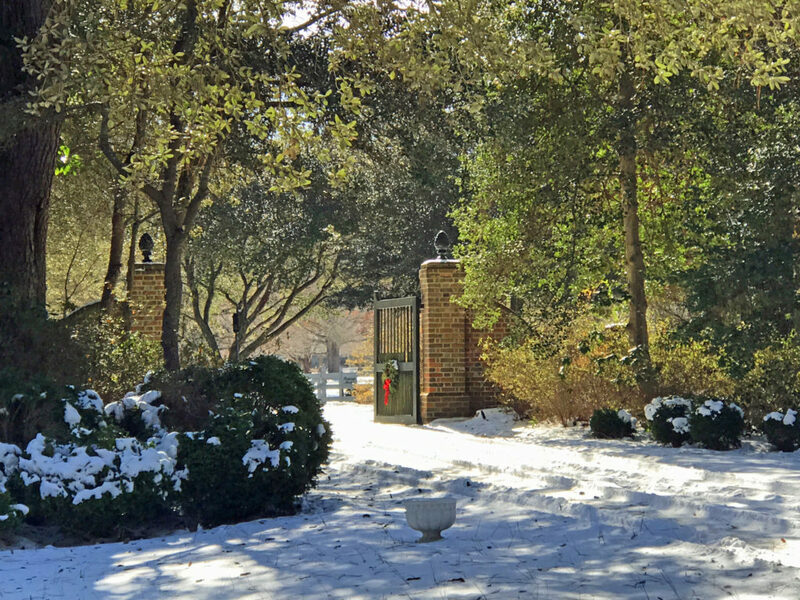 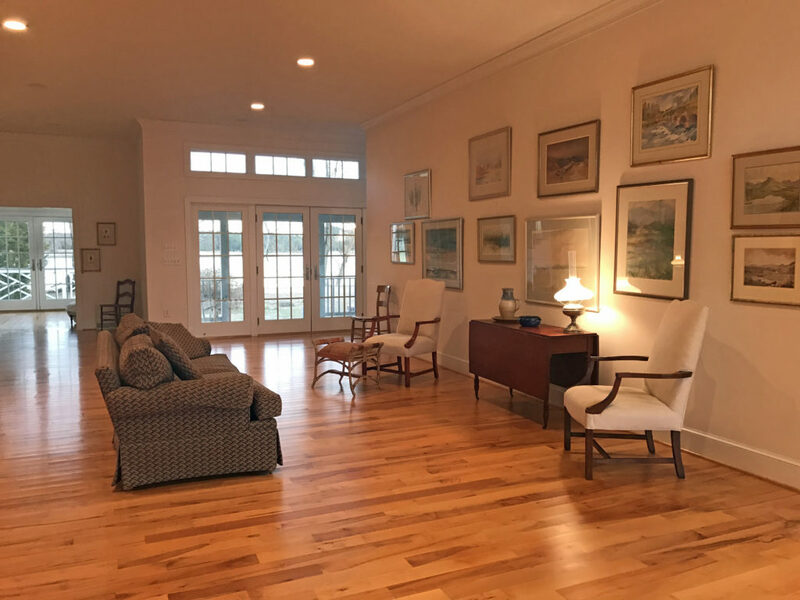 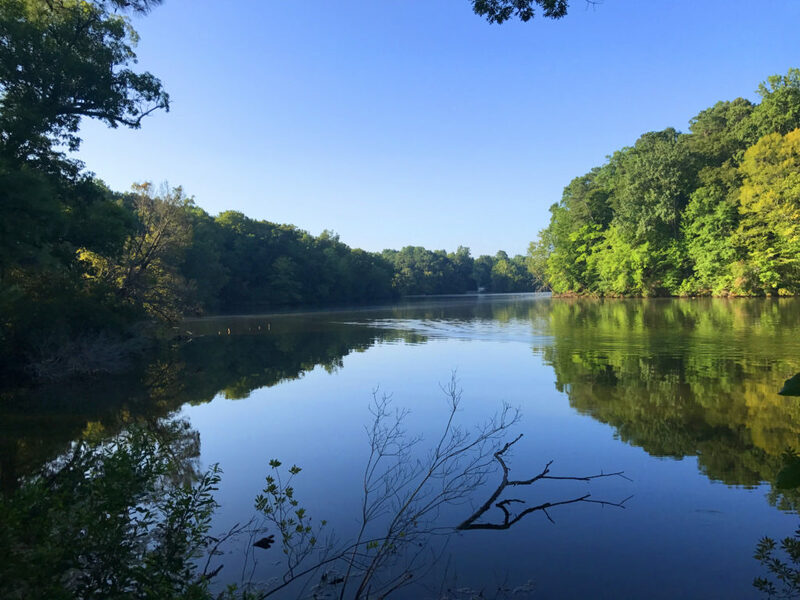 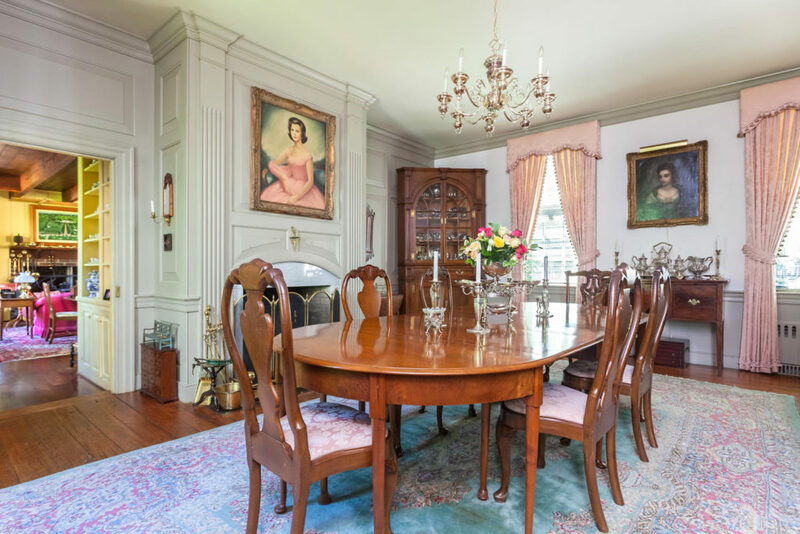 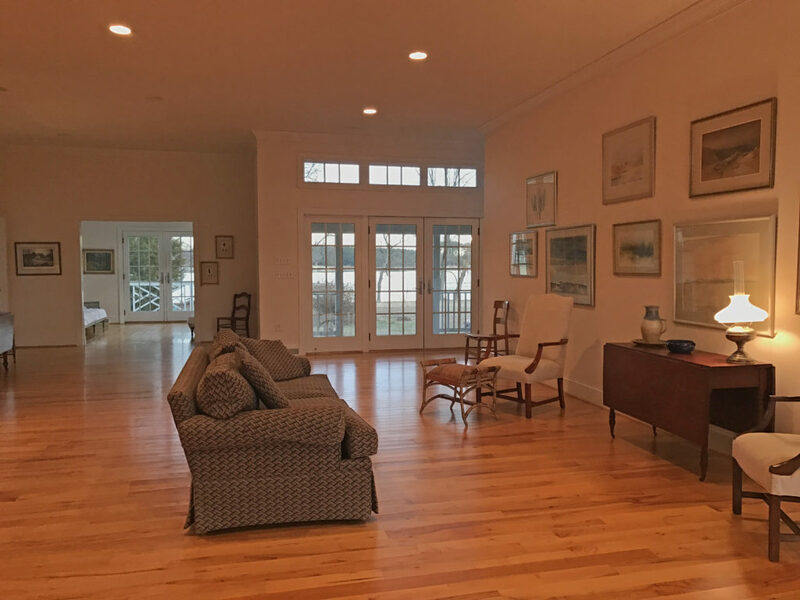 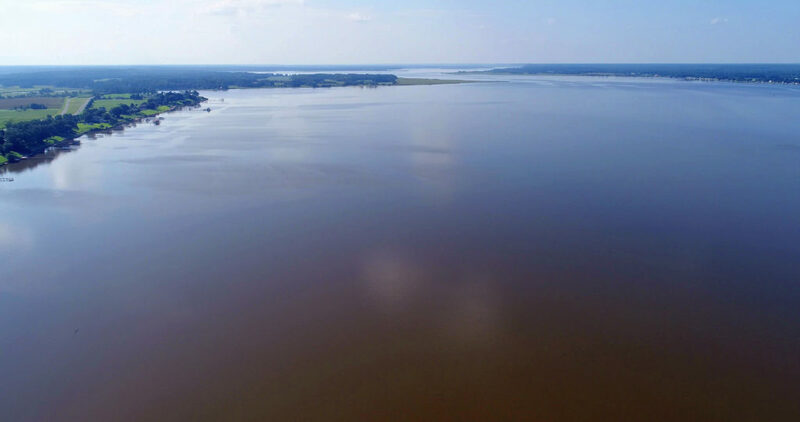 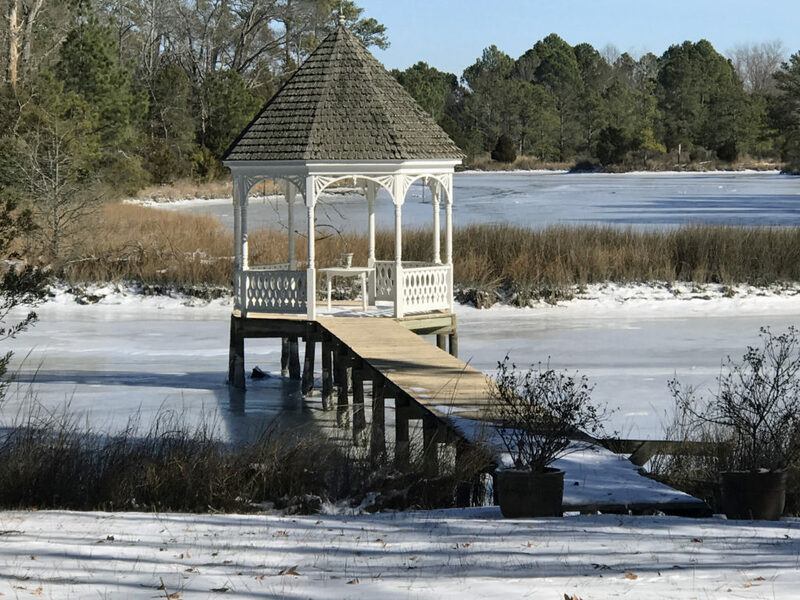 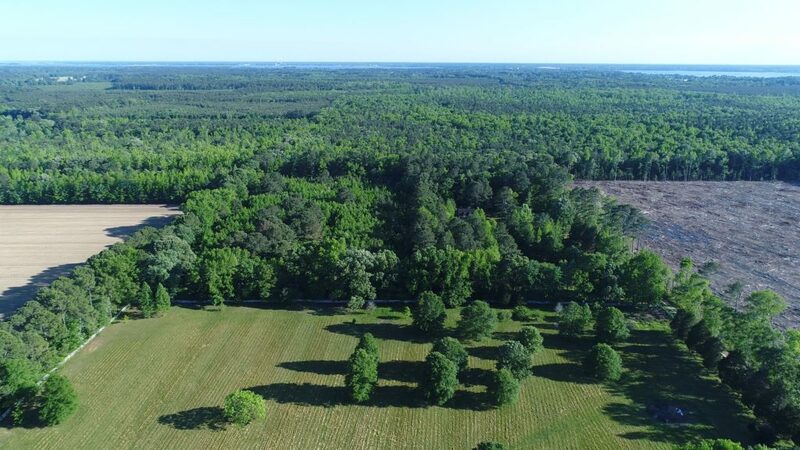 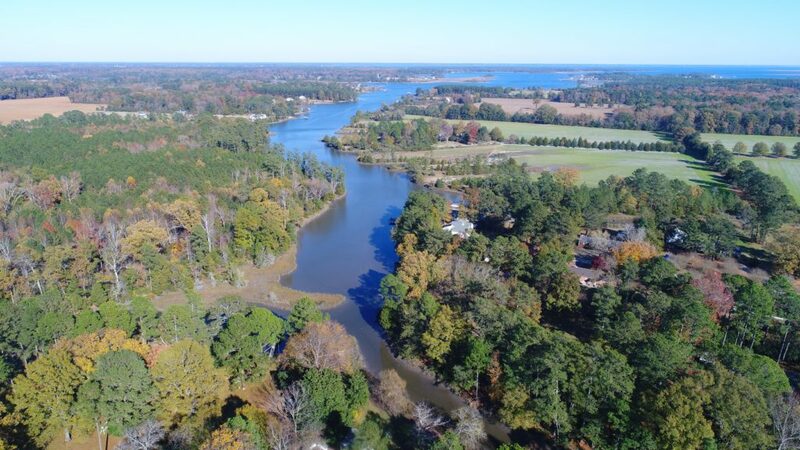 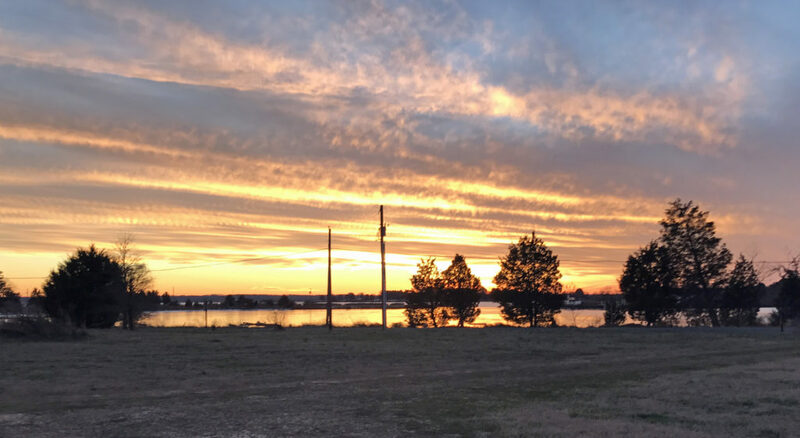 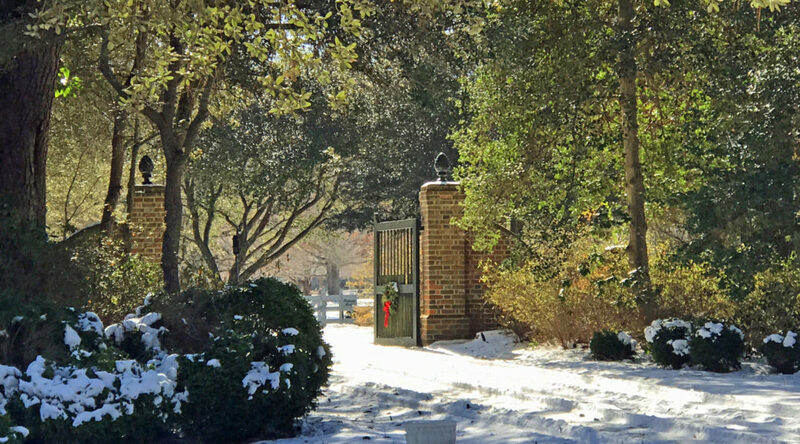 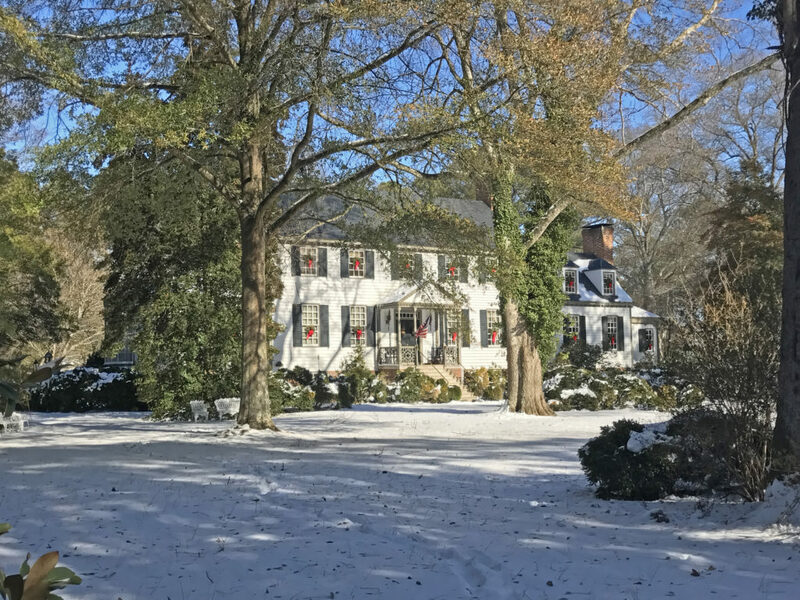 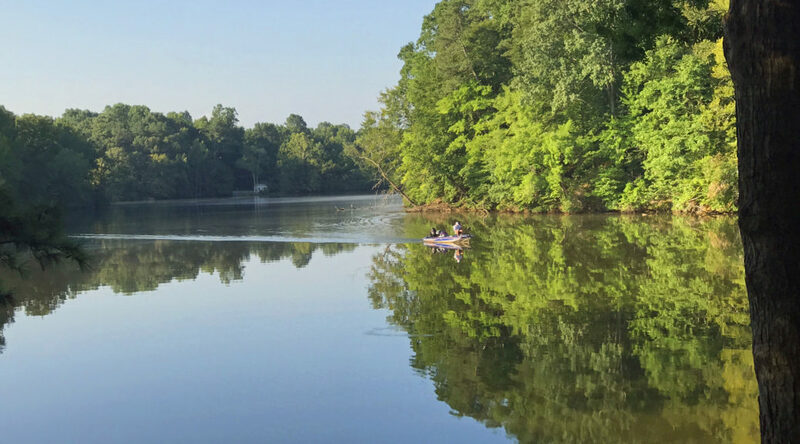 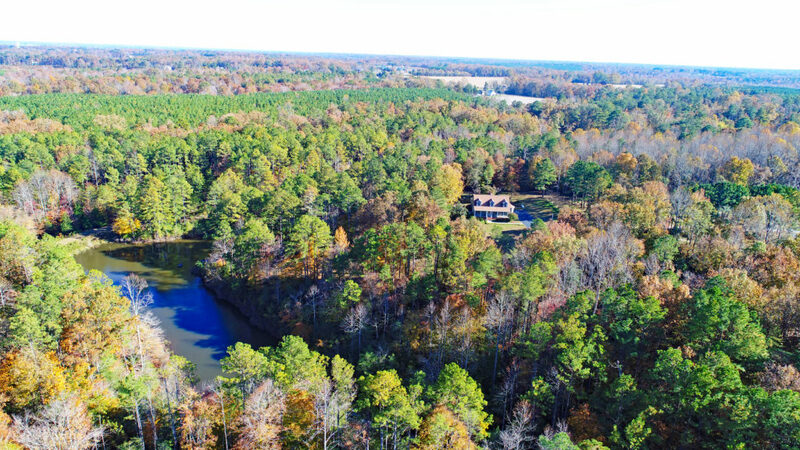 The offering of this extraordinary property presents the opportunity of owning one of the most notable and breathtaking properties in the entire Chesapeake Bay Region of Virginia. 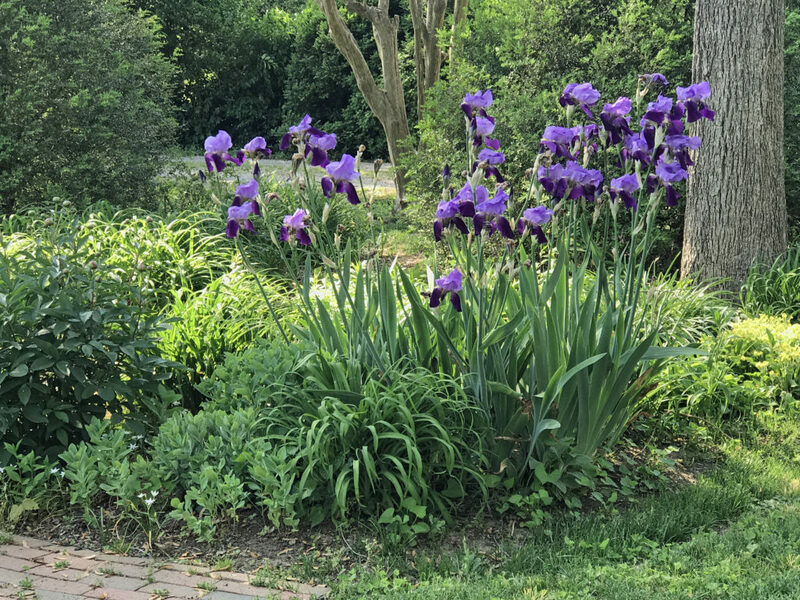 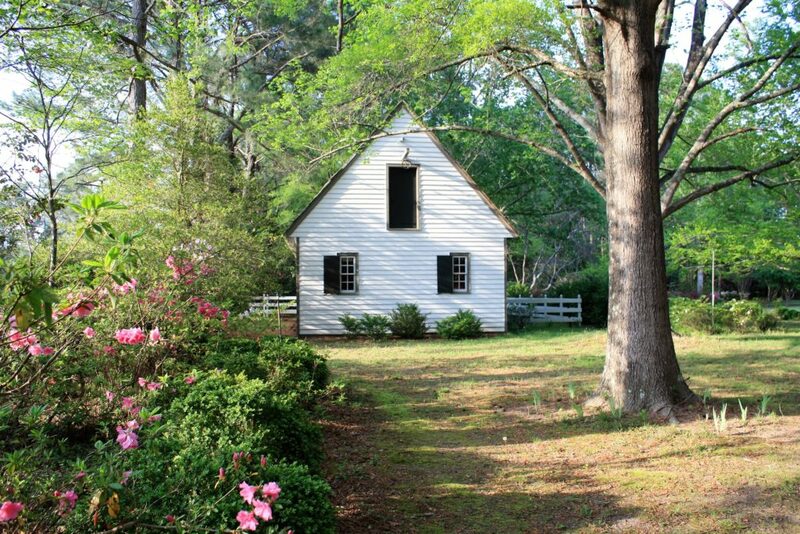 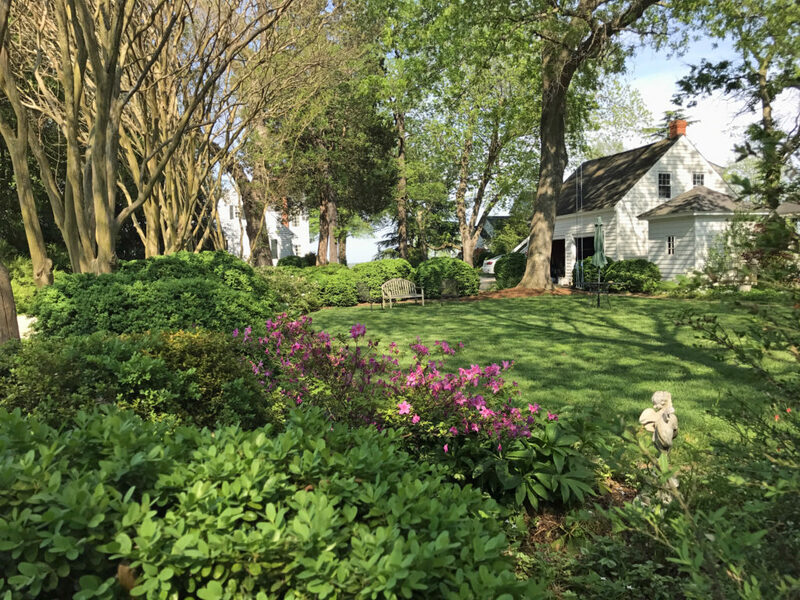 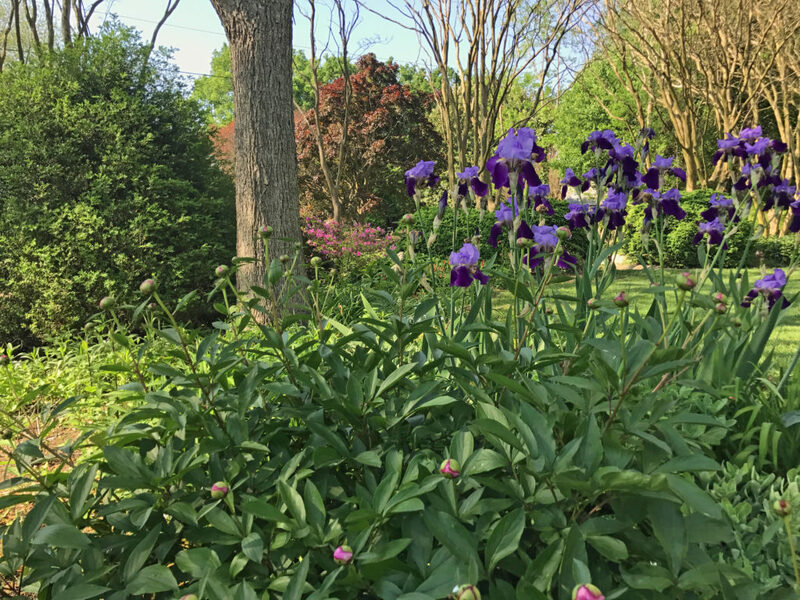 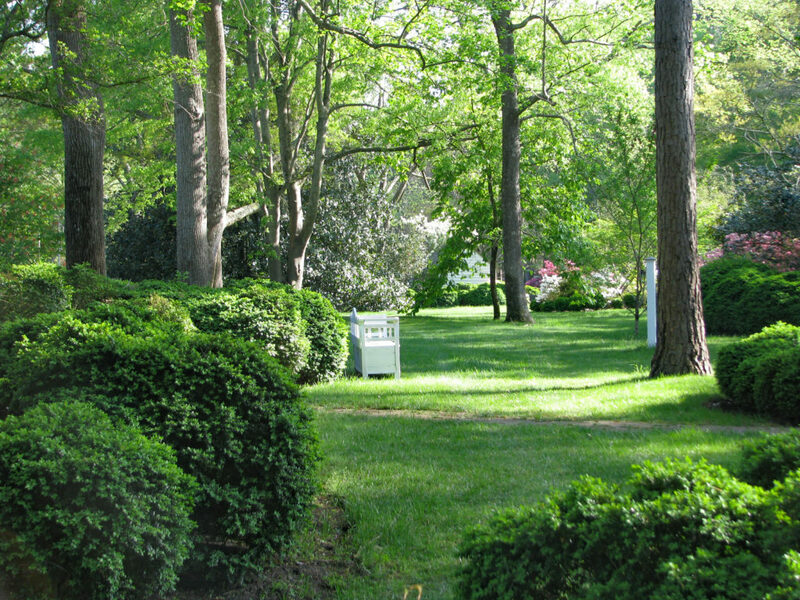 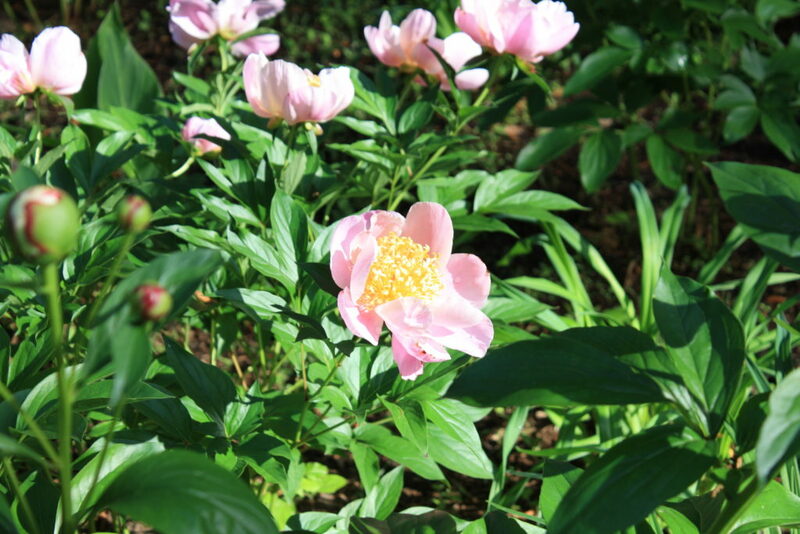 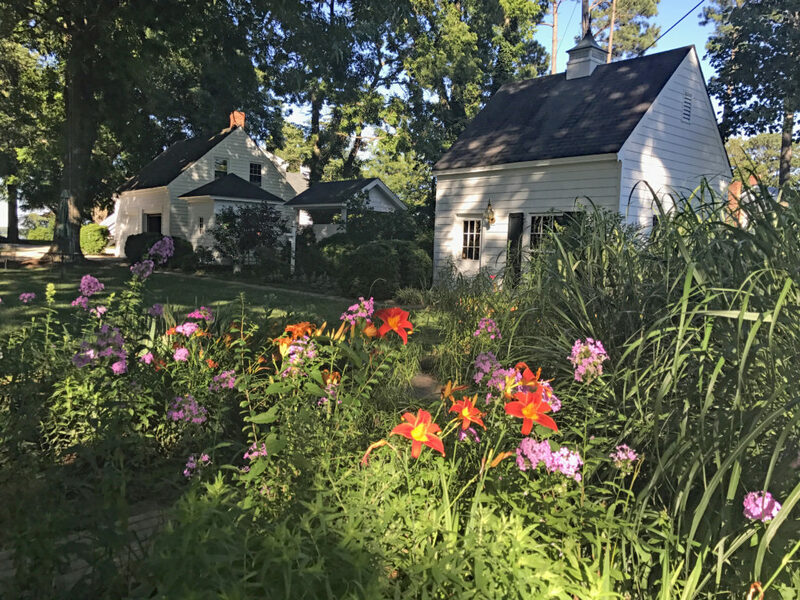 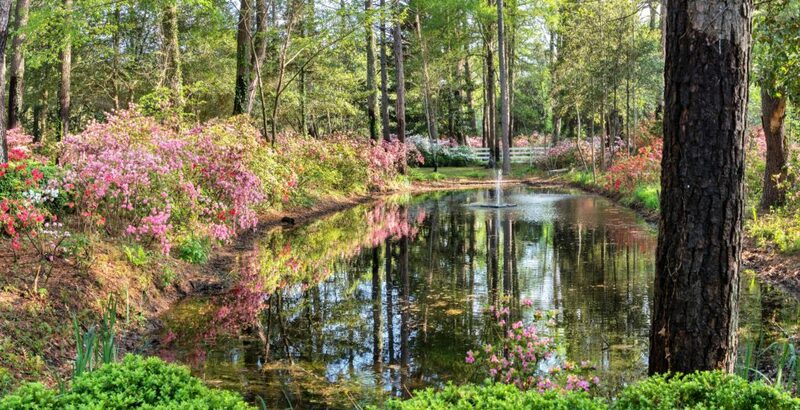 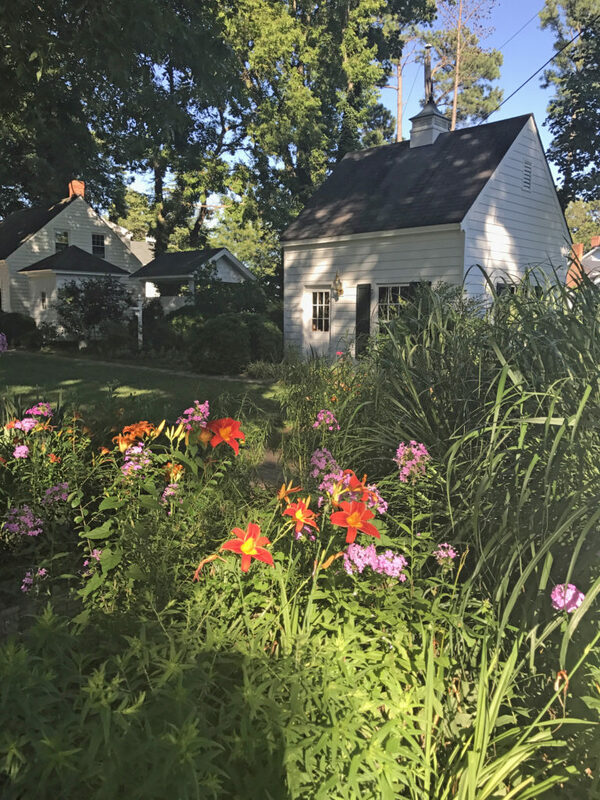 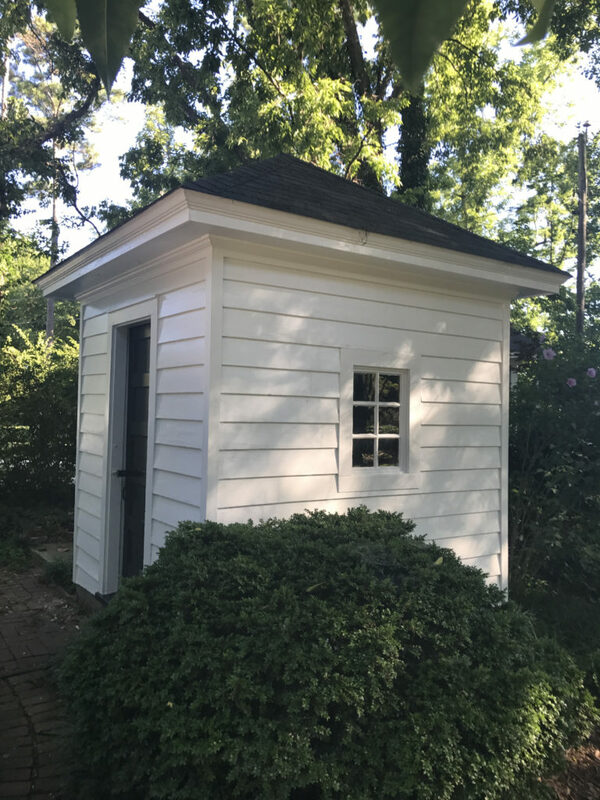 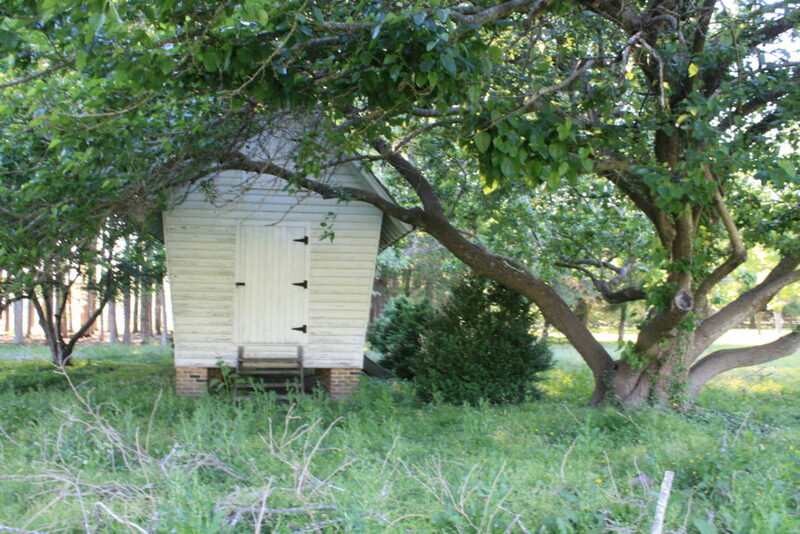 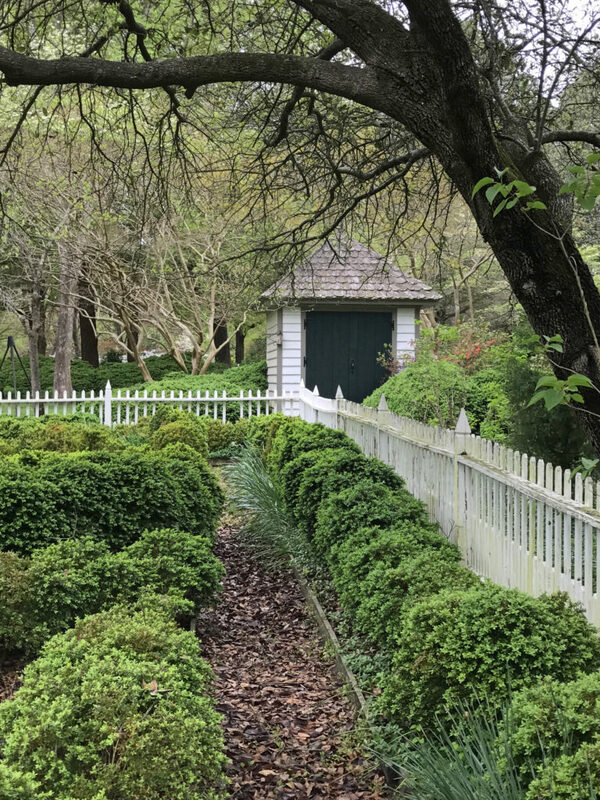 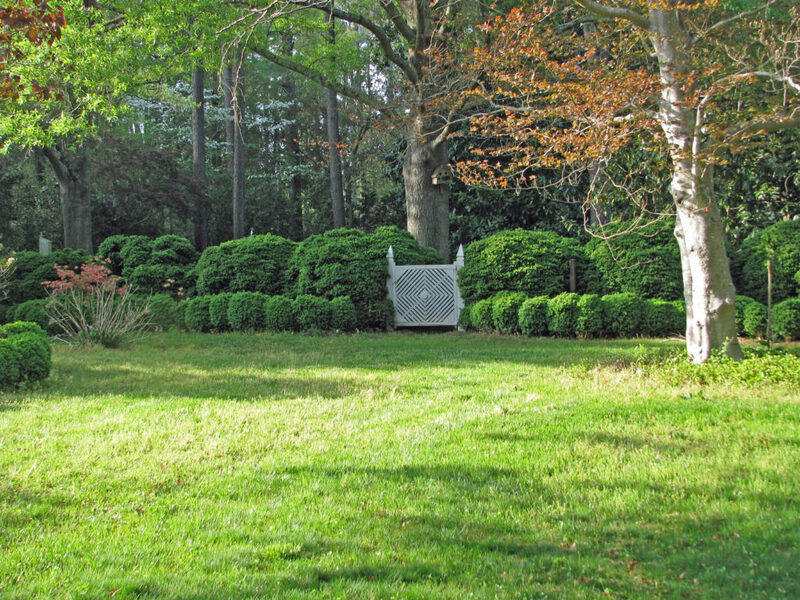 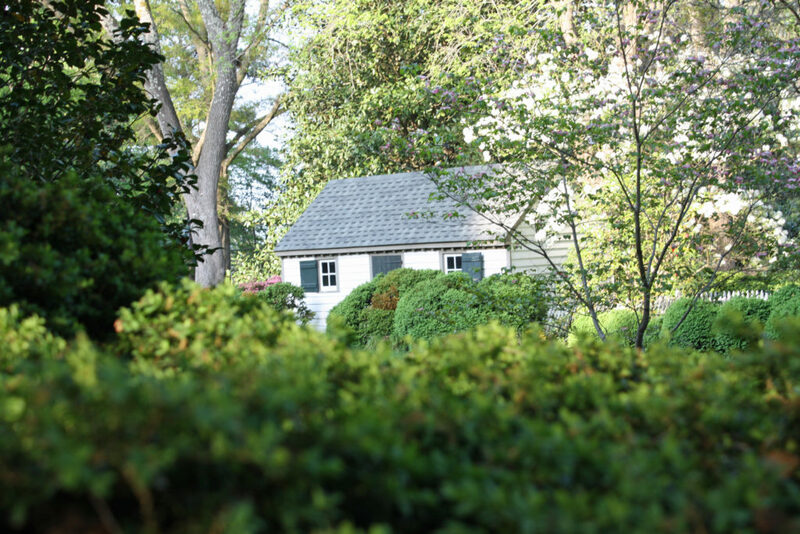 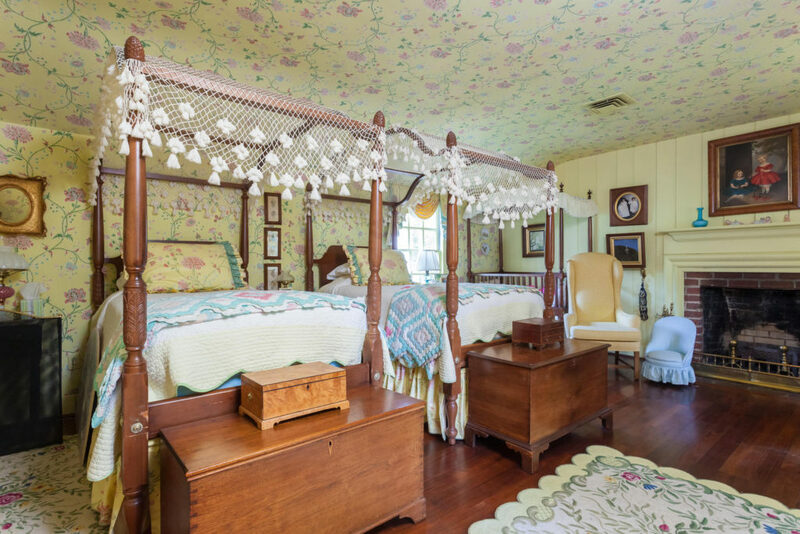 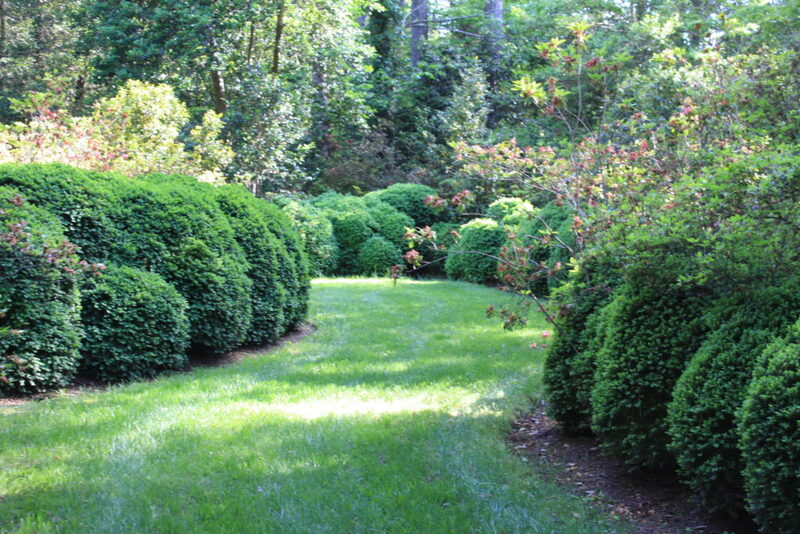 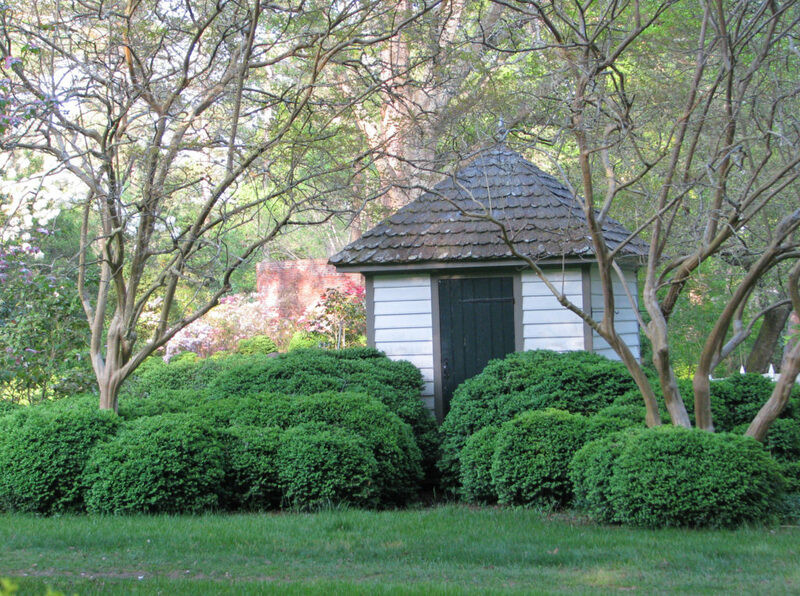 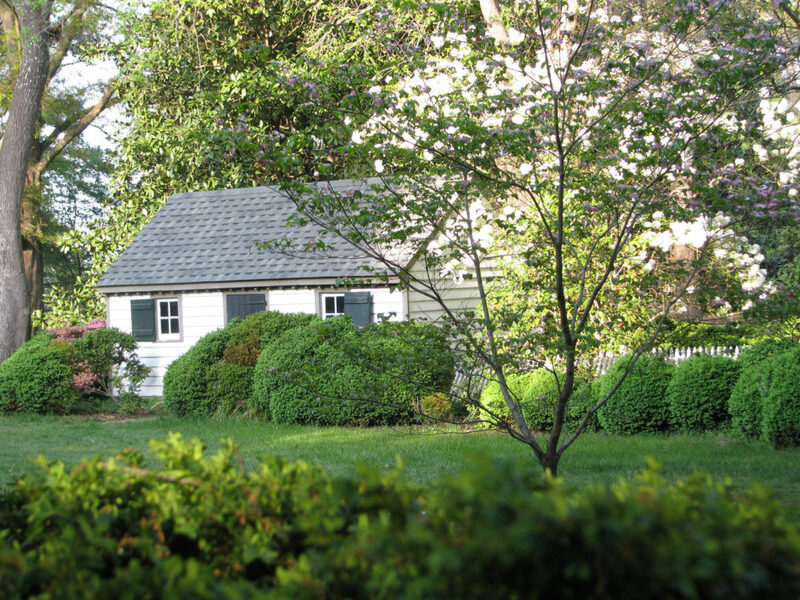 Featured numerous times on the renowned and prestitious Historic Garden Week in Virginia tour numerous times. 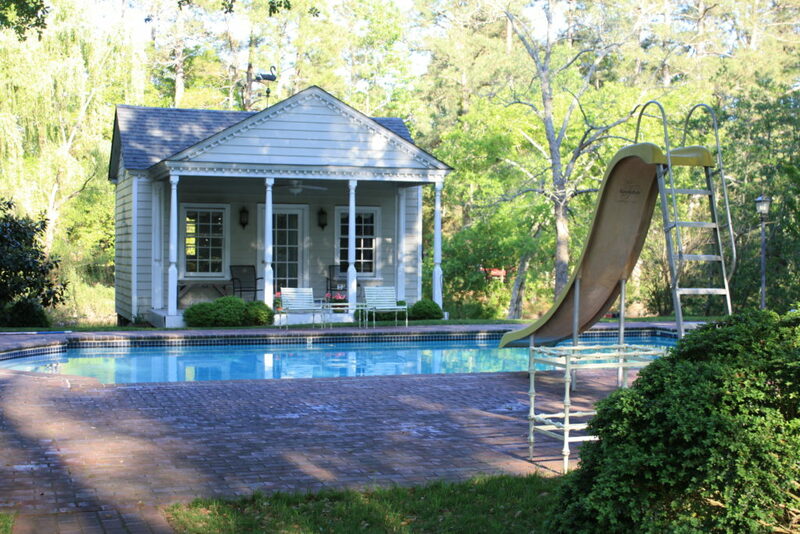 The above link will take you to my property brochure for this stunning property! 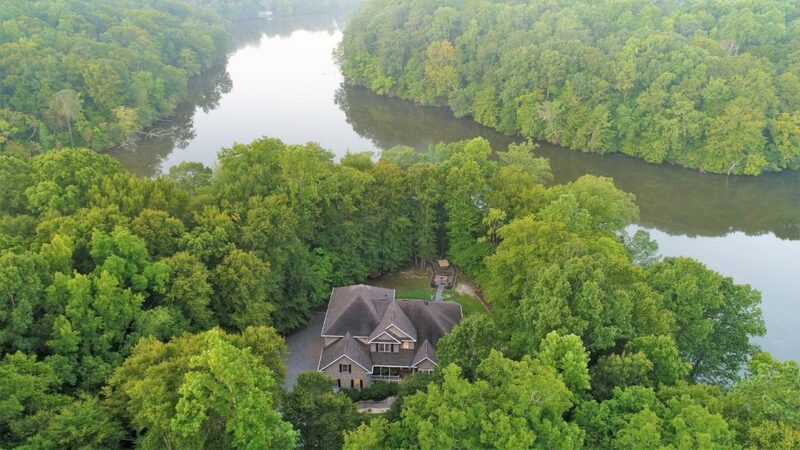 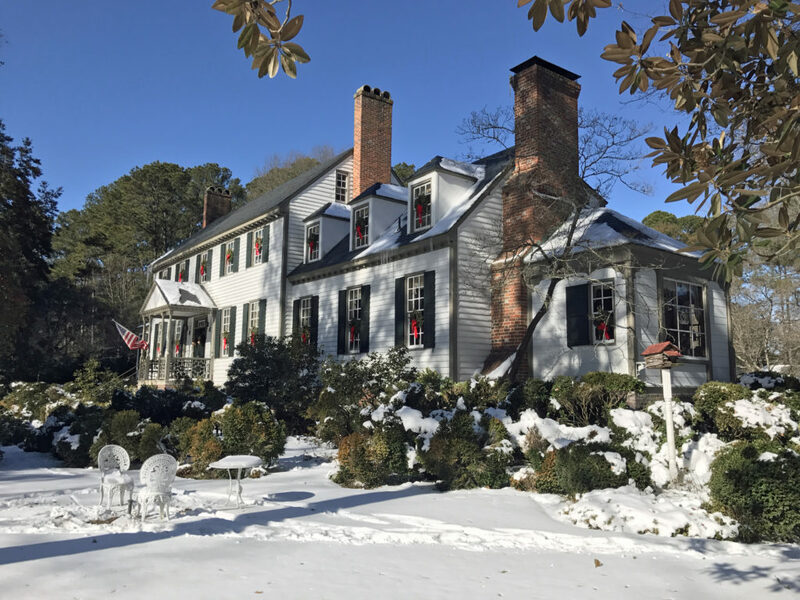 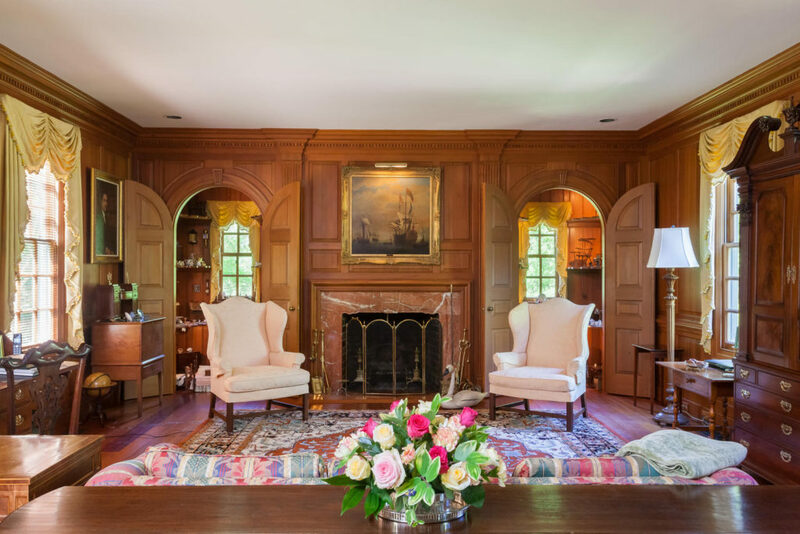 Lisburne is an enchanting waterfront estate, encompassing approximately 71.71 acres w/ water-frontage on Vaughan’s Creek- a Branch of the Severn River. 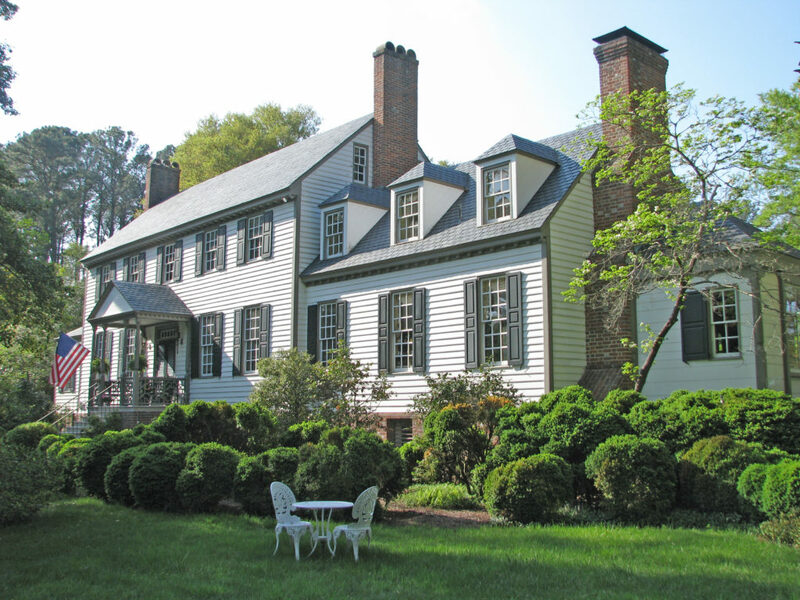 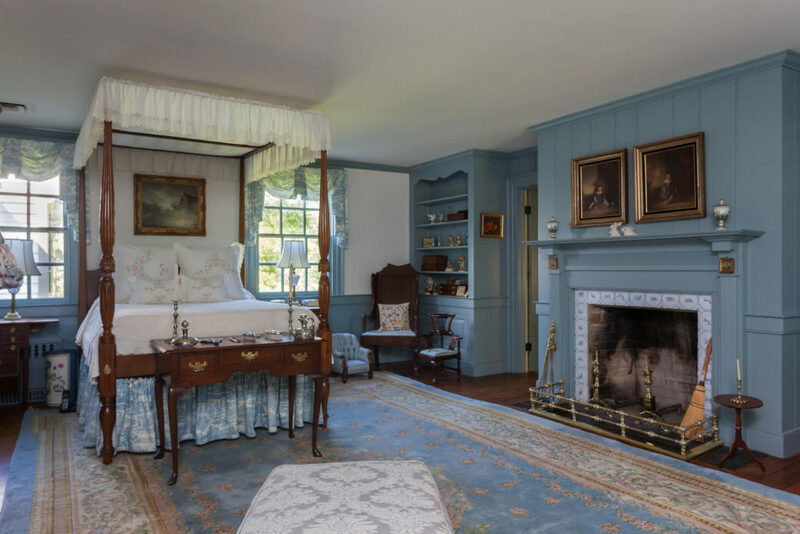 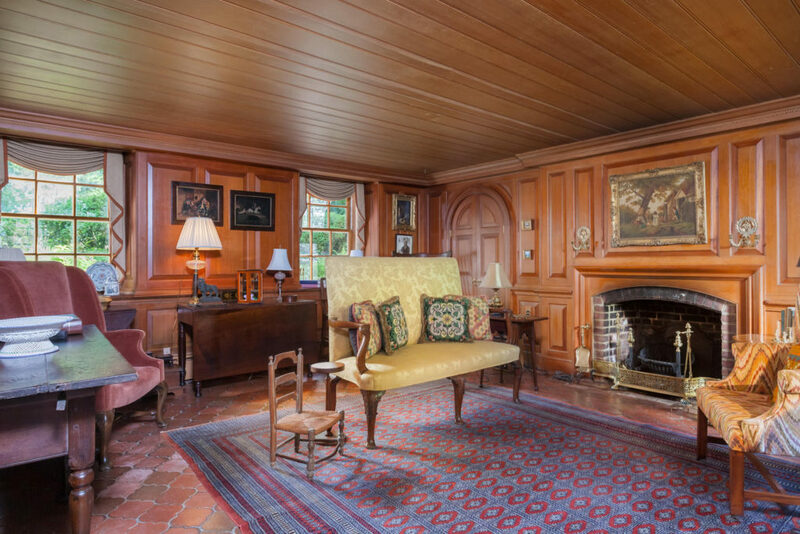 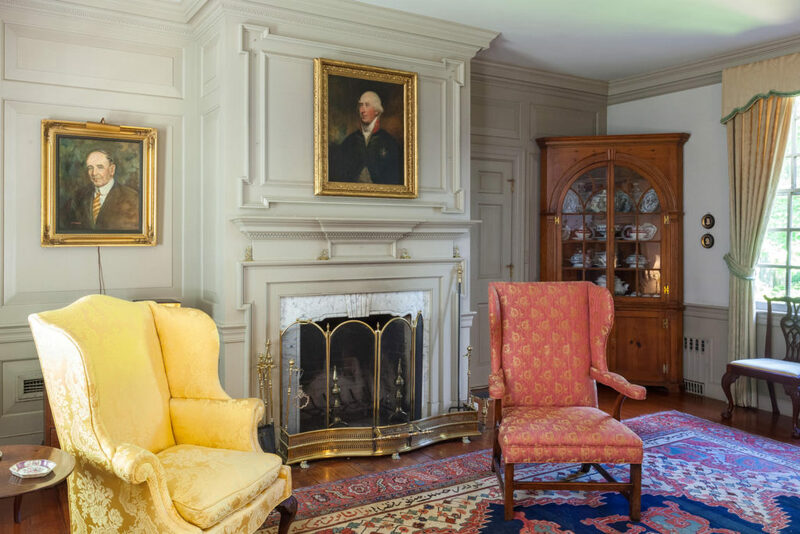 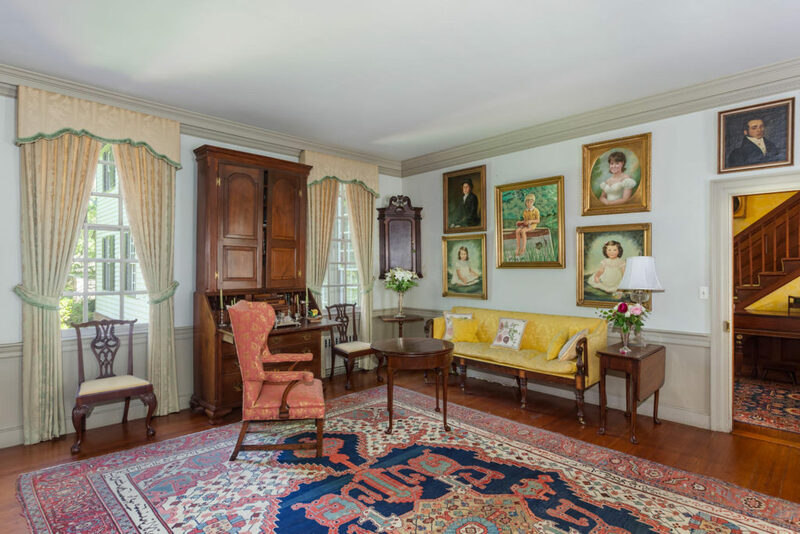 The circa 1810 2 1/2 story Georgian Manor House has been restored & expanded, w/ elegant architect designed additions. 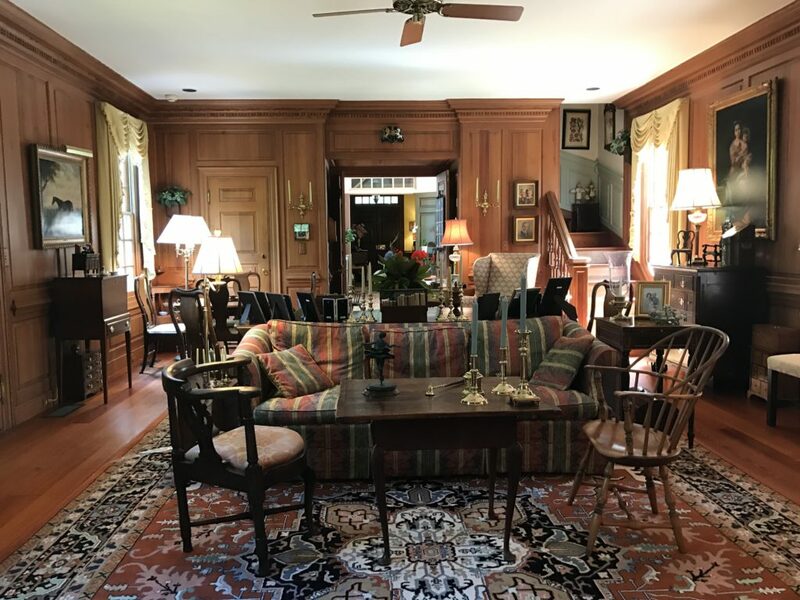 Interior features include: original heart pine & black walnut floors, center hall, two staircases, original mantels, doors & moldings, spacious kitchen w/breakfast room, formal dining room, full, finished English basement, library, spacious bedrooms, 10 fireplaces, high ceilings & raised paneling throughout. 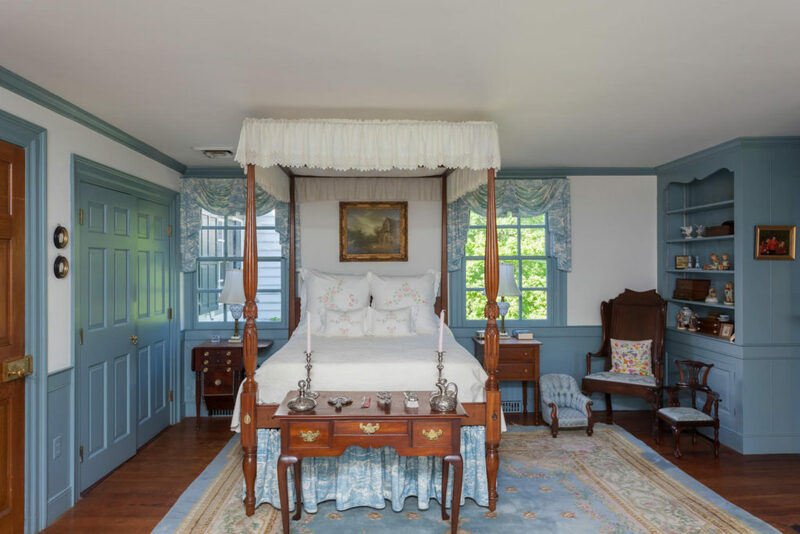 Breathtaking views of the waterfront & gardens from every room. 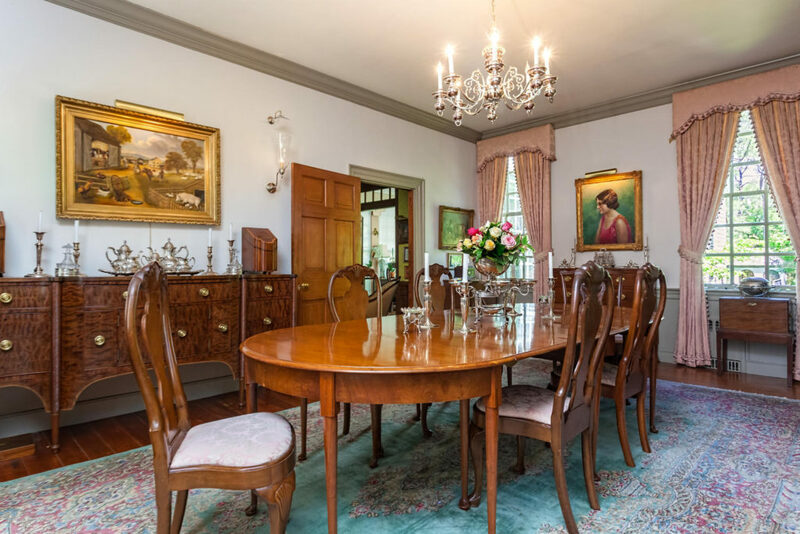 The manor house is accessed thru a stately gated entrance, which sets the tone for the remainder of the property. 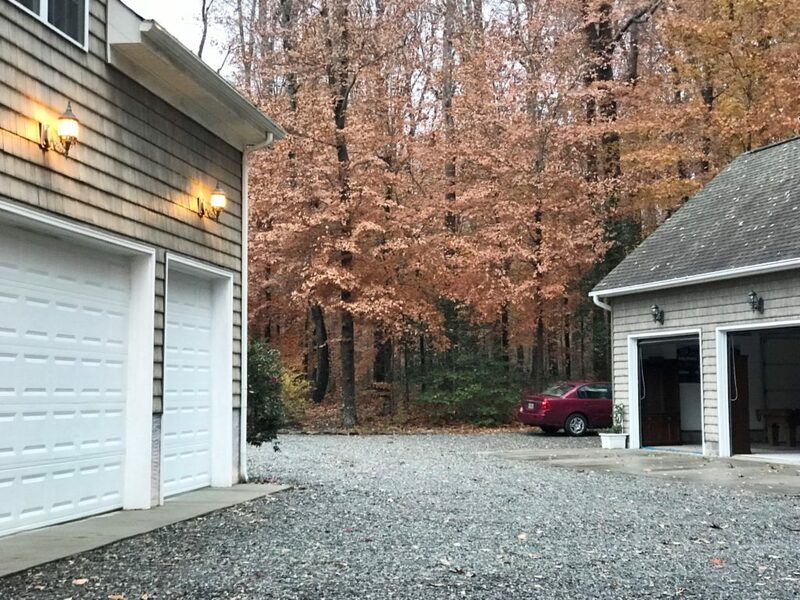 Numerous dependencies. 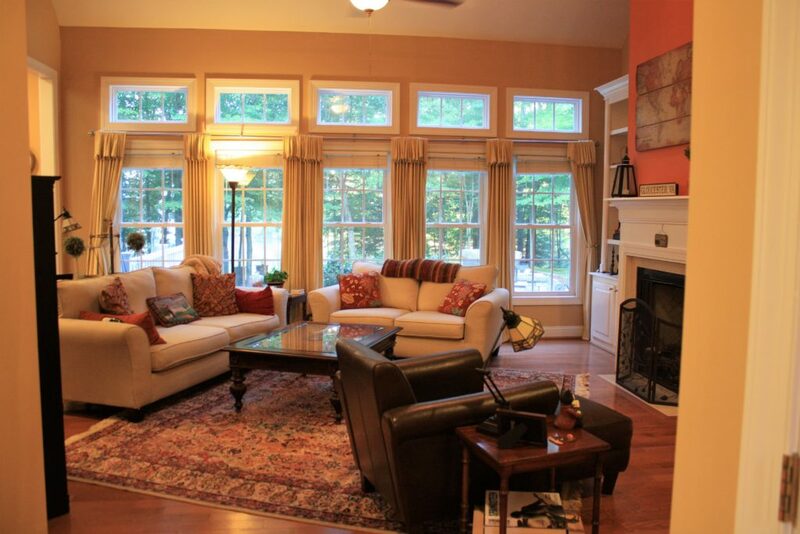 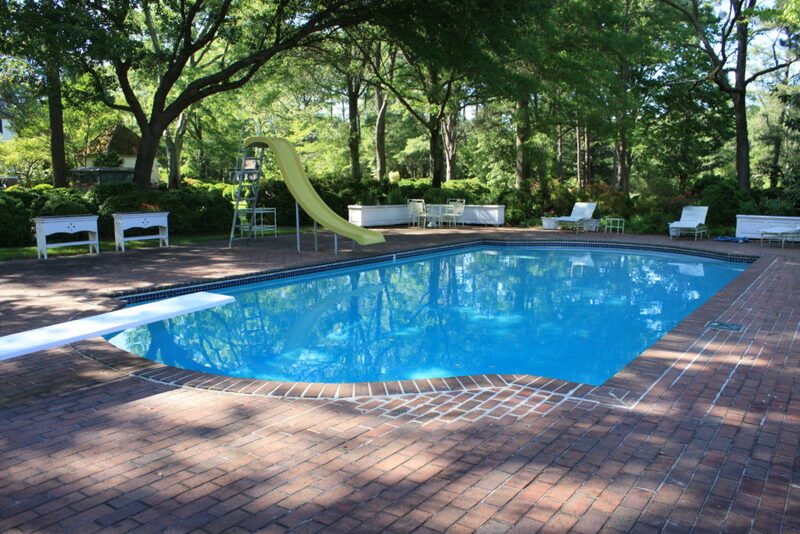 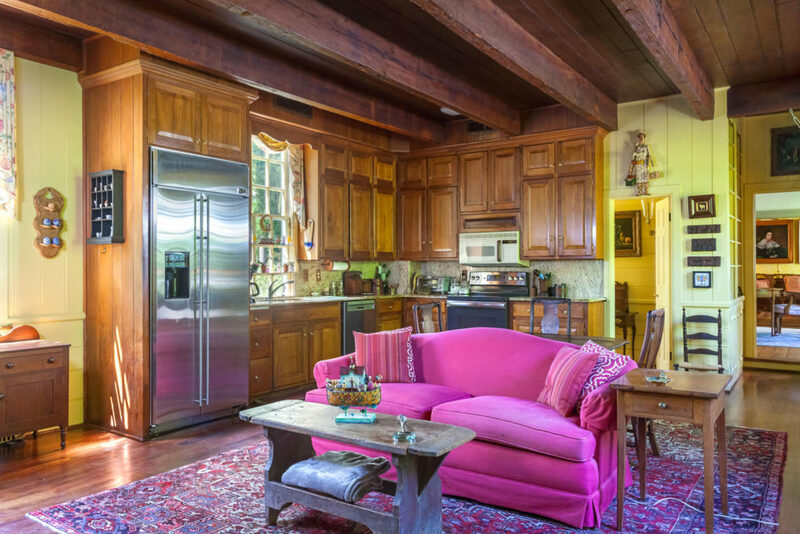 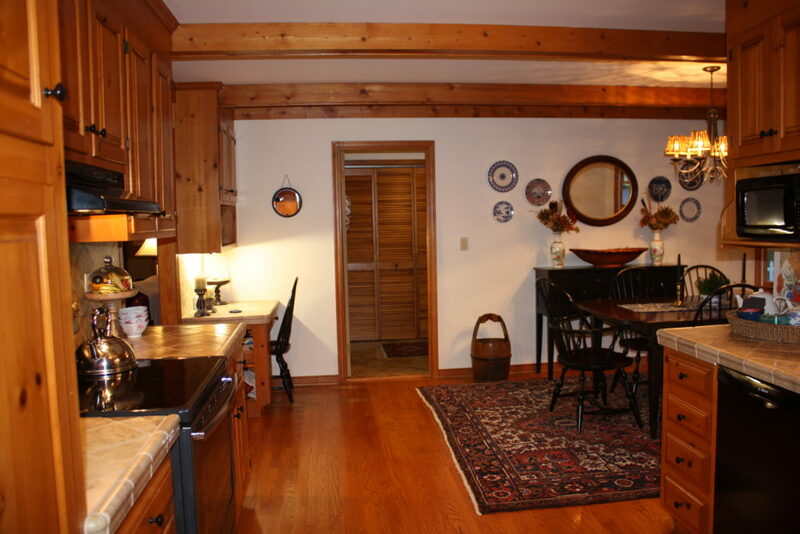 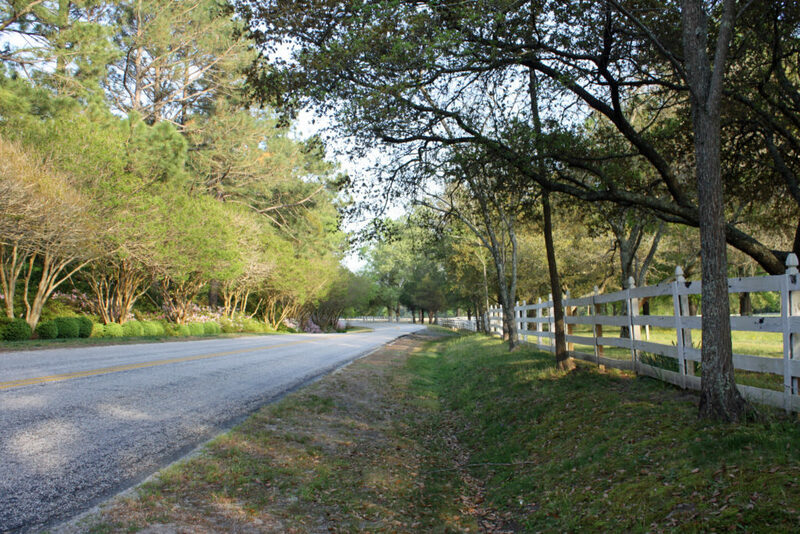 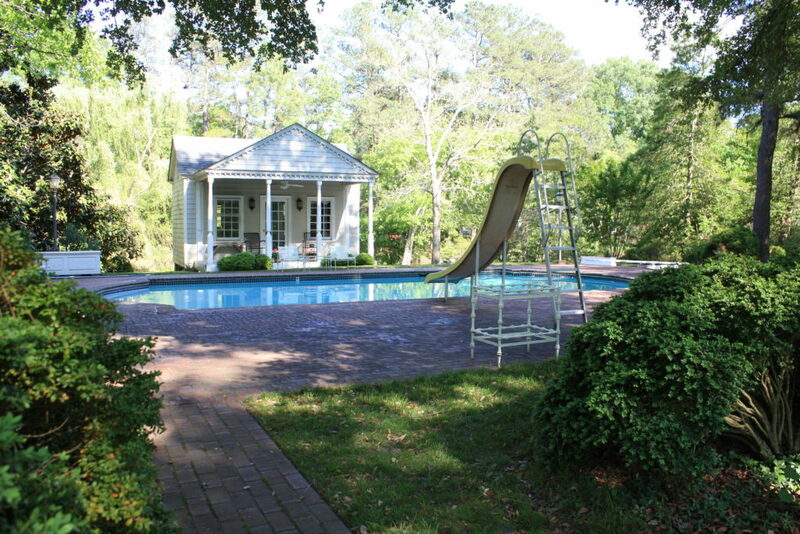 Ideally suited as an Equestrian Estate, Winery, Bed and Breakfast or Family / Corporate Retreat. 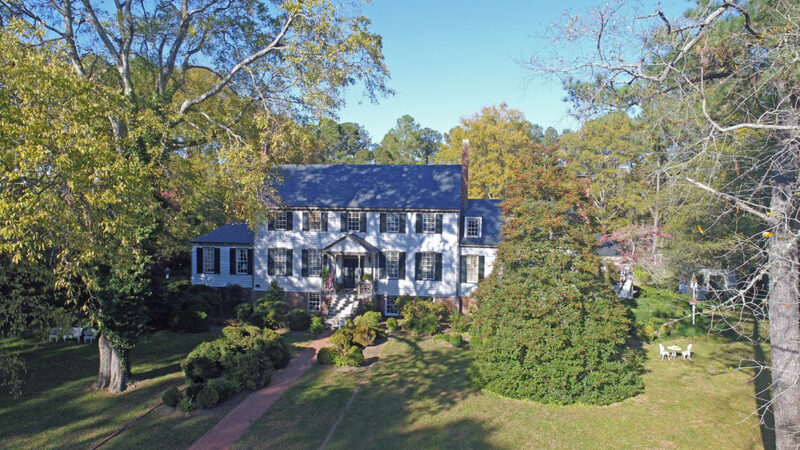 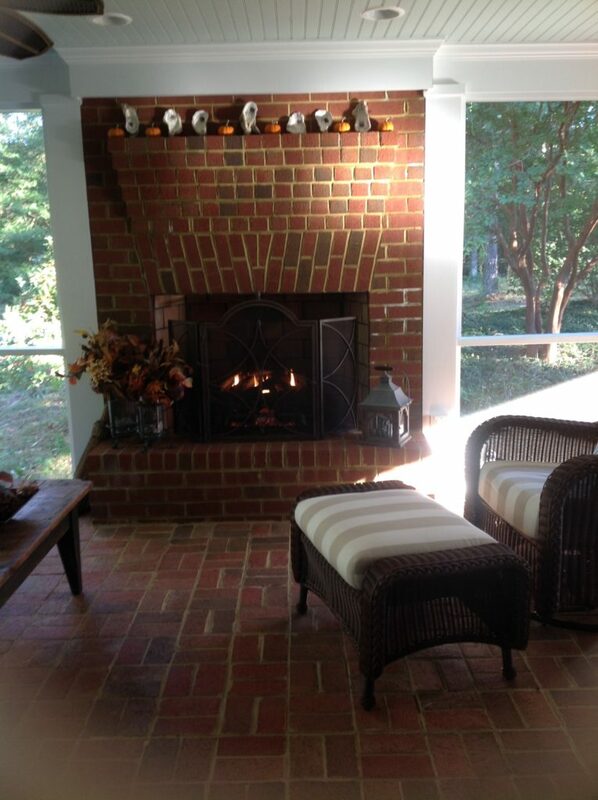 10 Minutes to Historic Yorktown and Less than 30 Minutes to Colonial Williamsburg, via the Colonial Parkway. 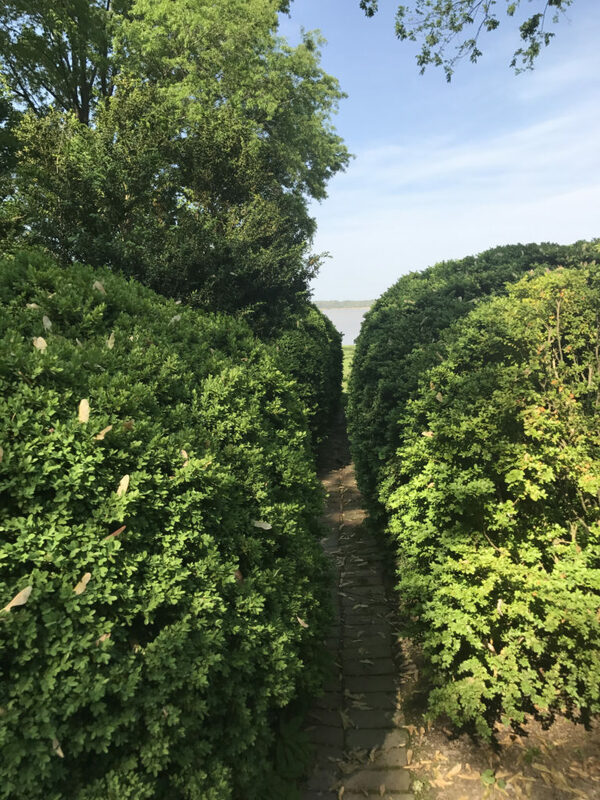 The Link above will take you to my visual tour. 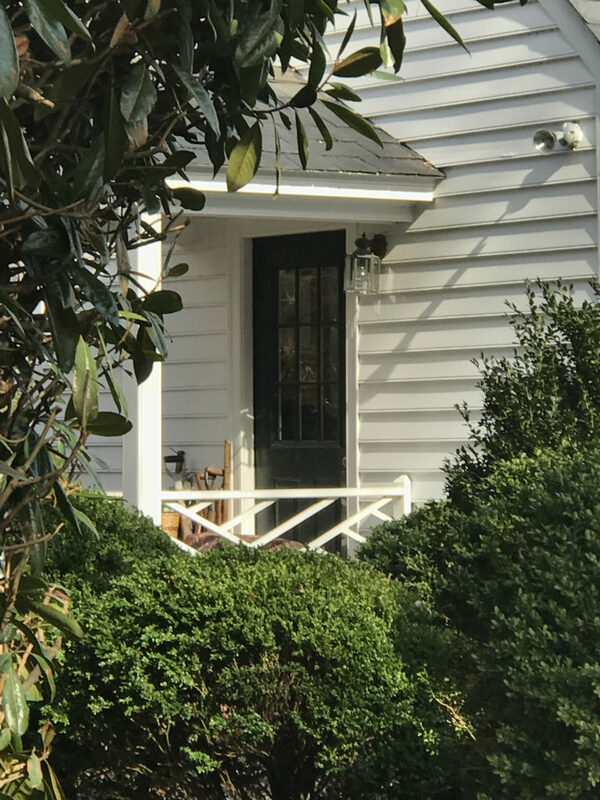 All photos and text copyright 2018-2019 by Karin J. Andrews – all rights reserved. 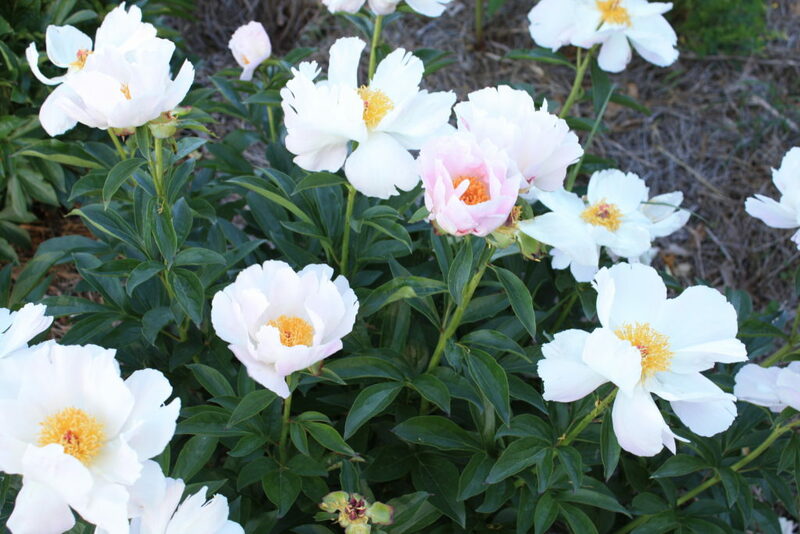 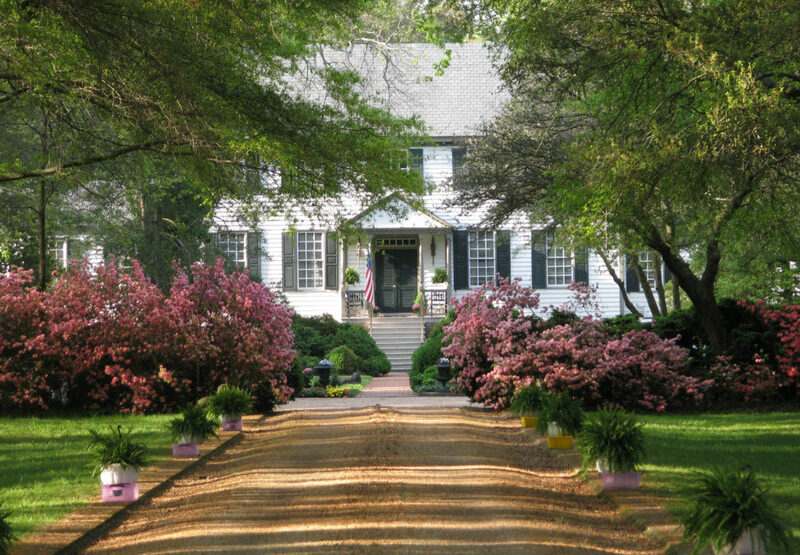 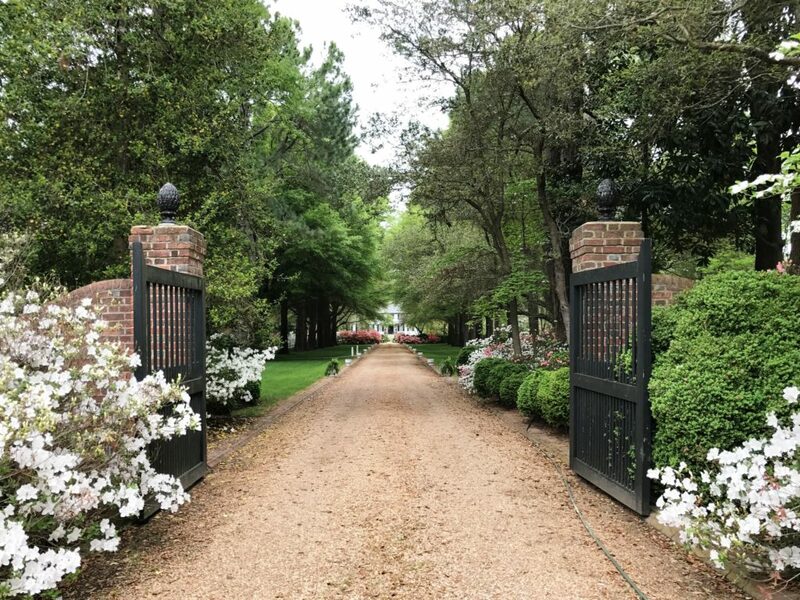 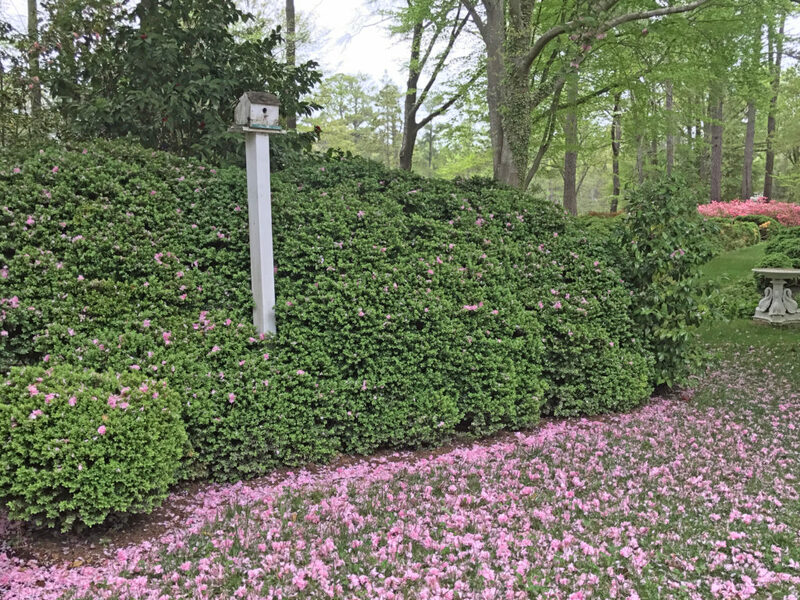 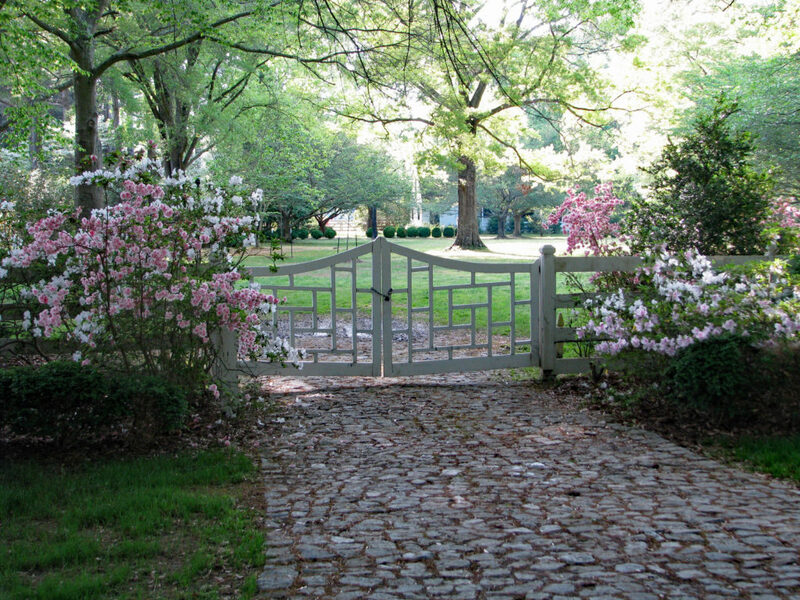 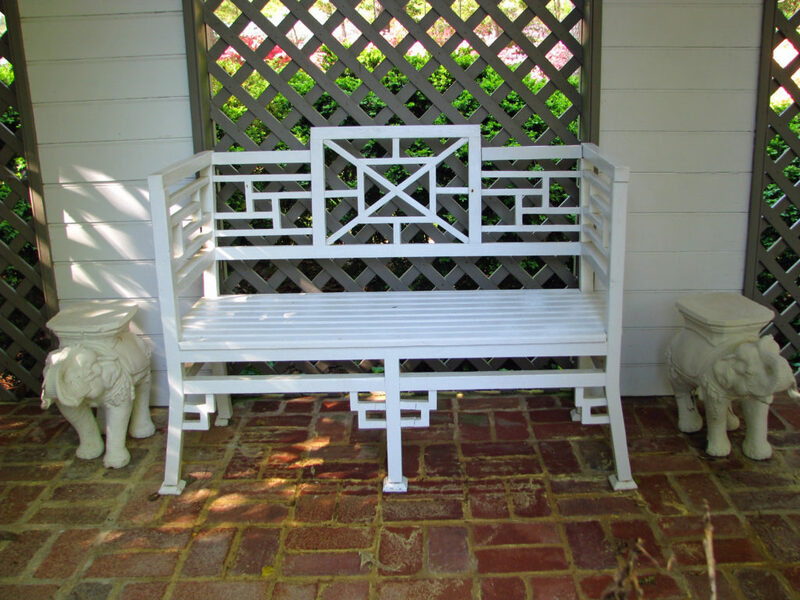 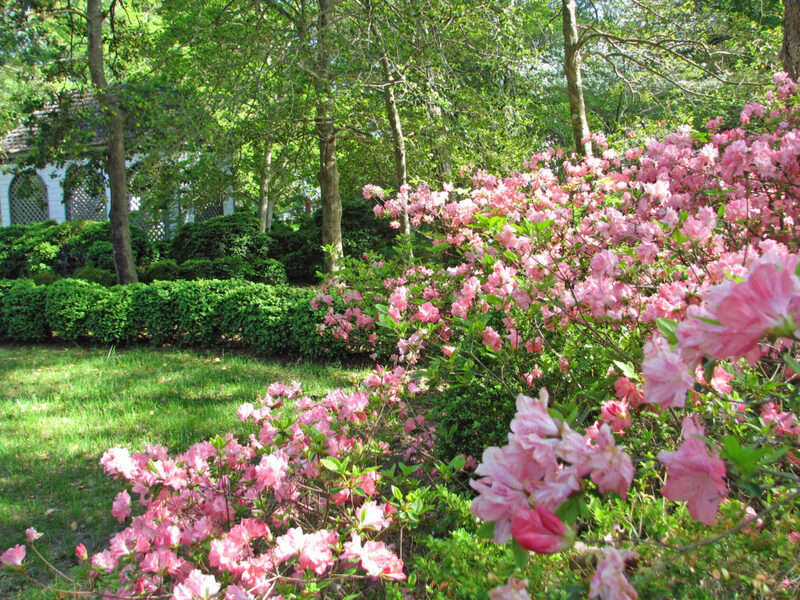 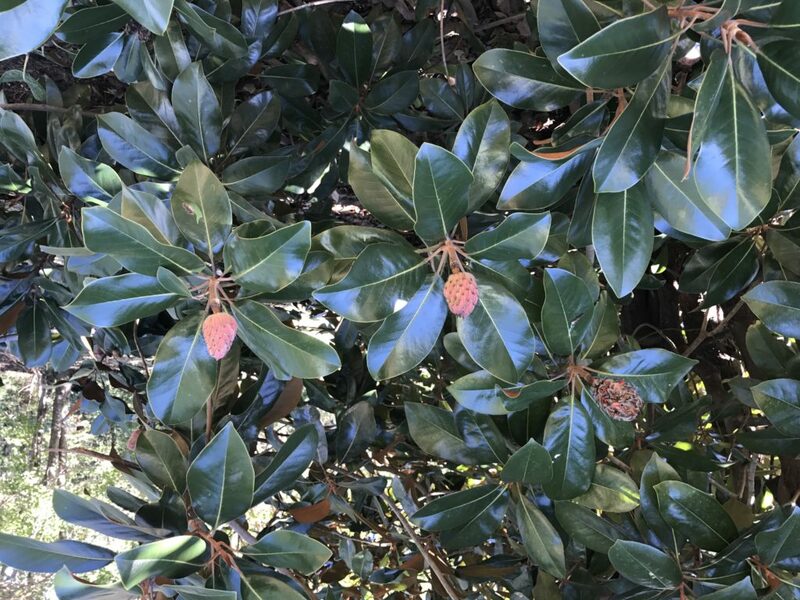 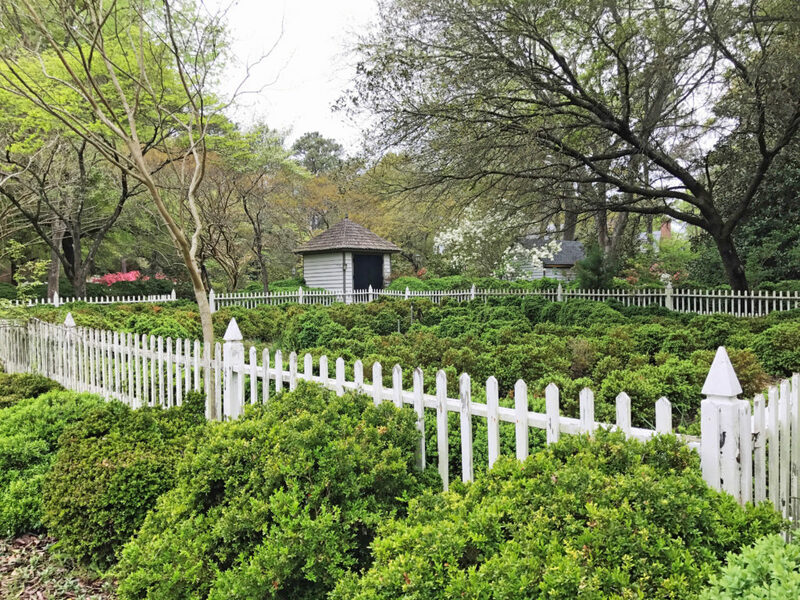 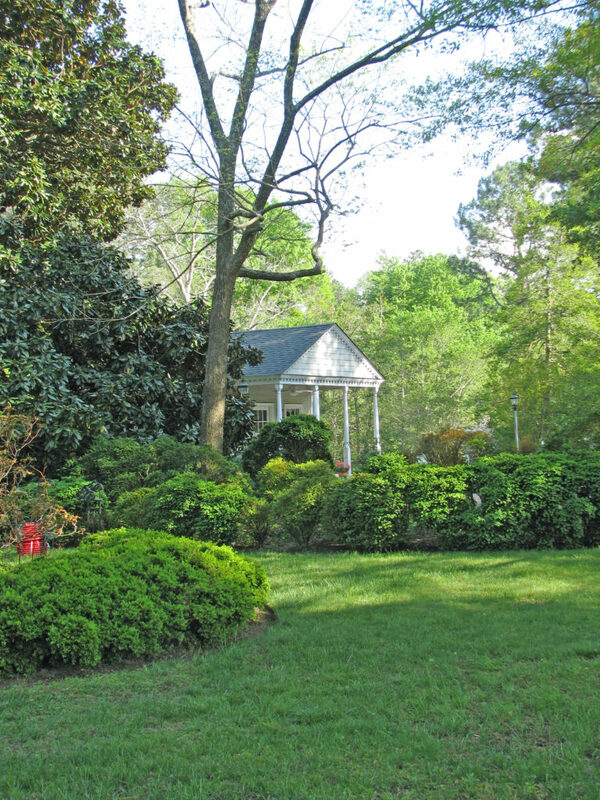 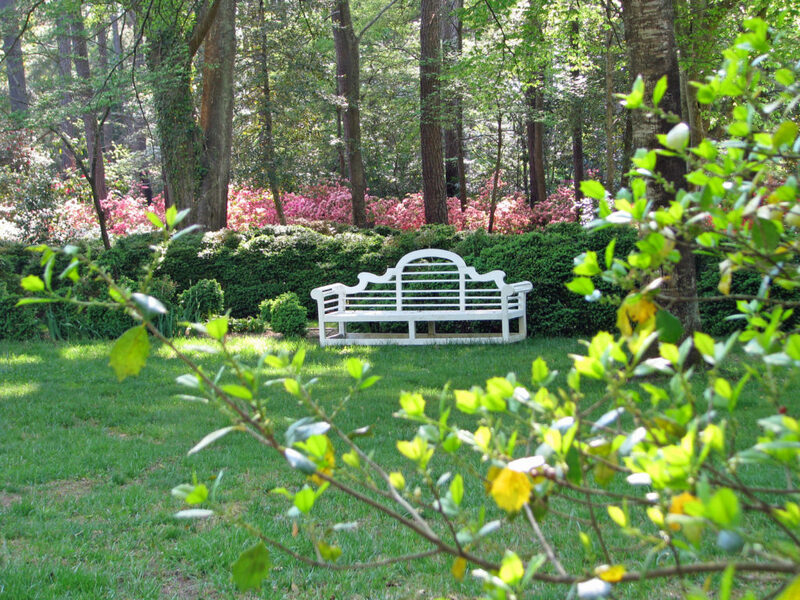 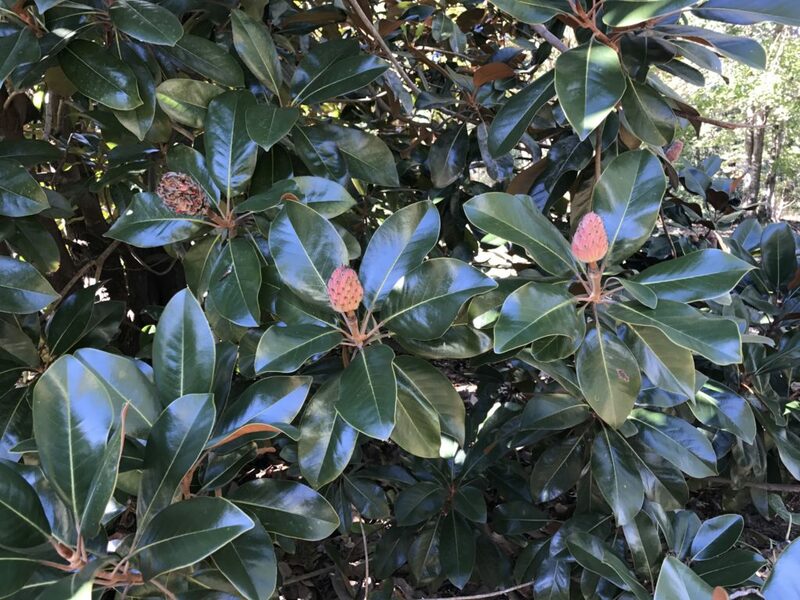 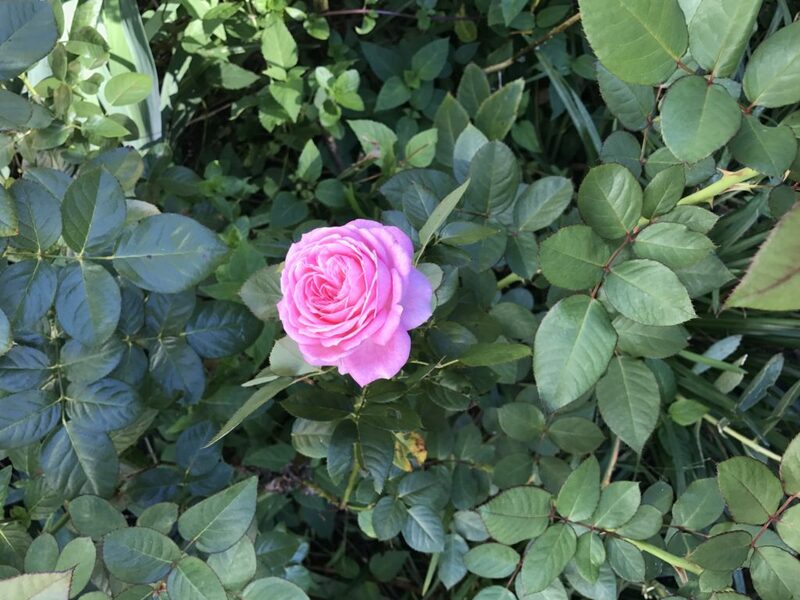 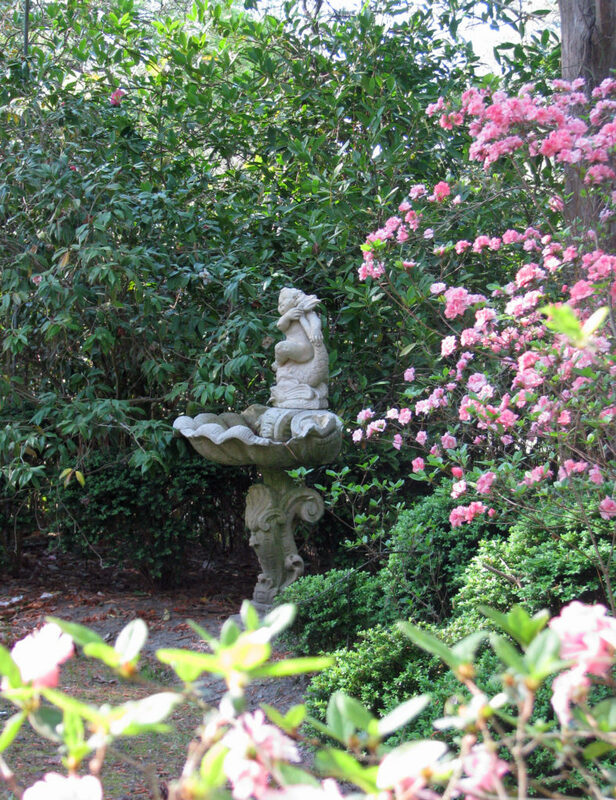 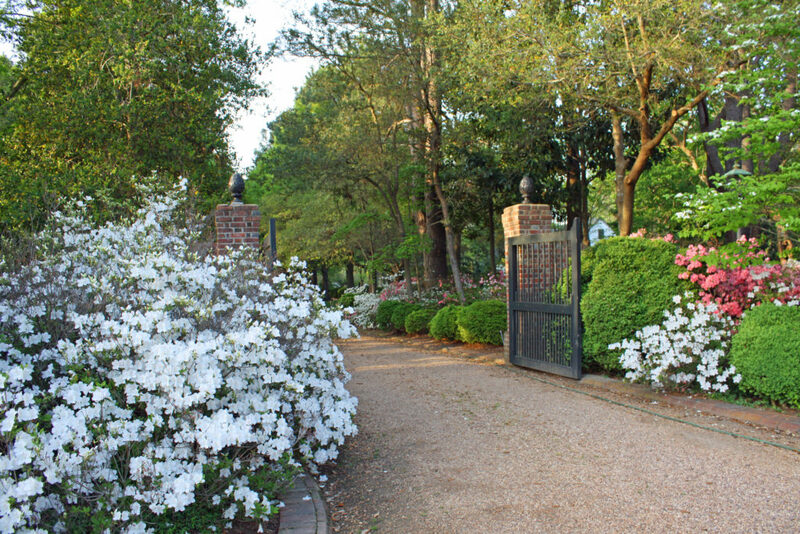 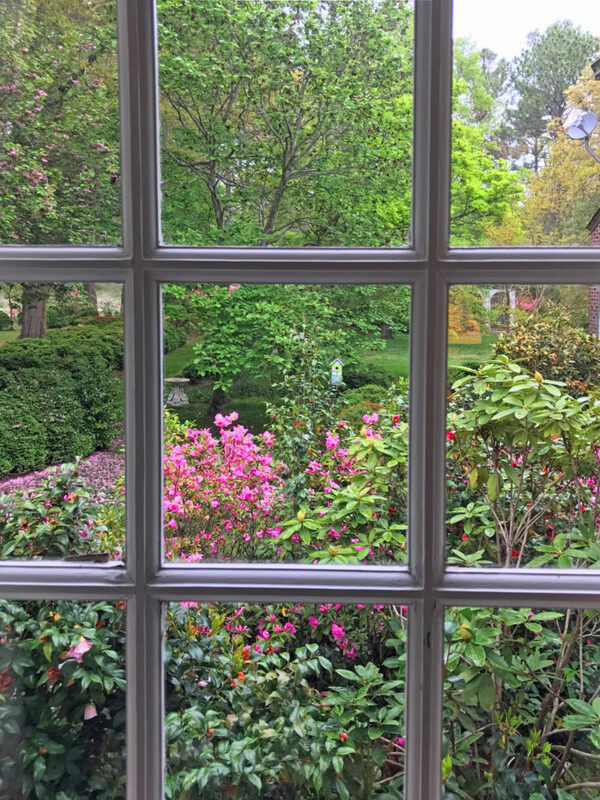 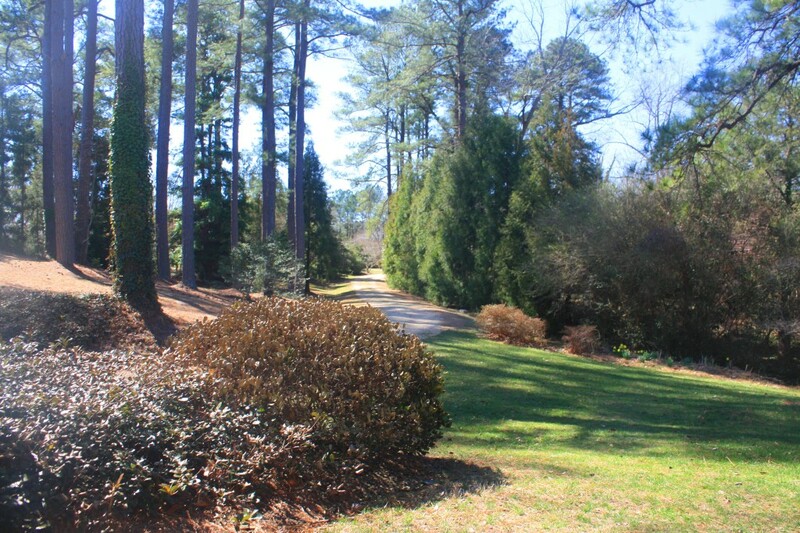 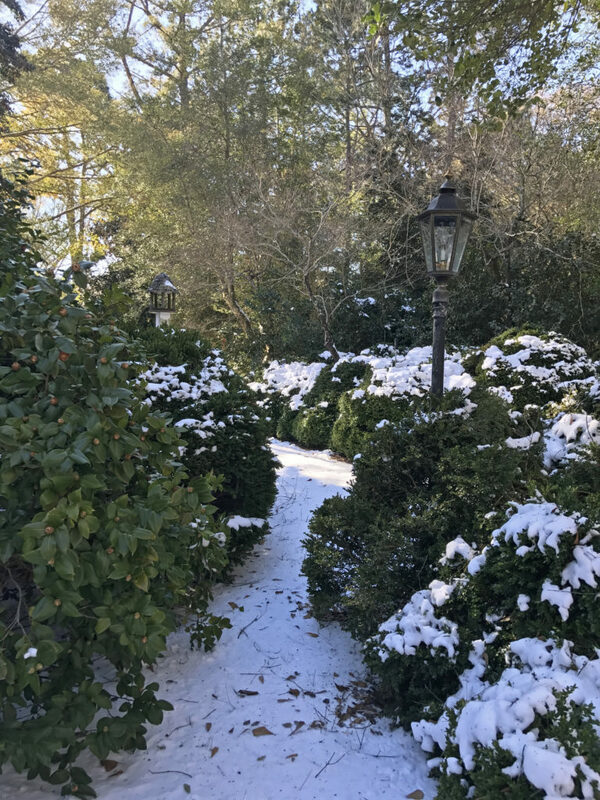 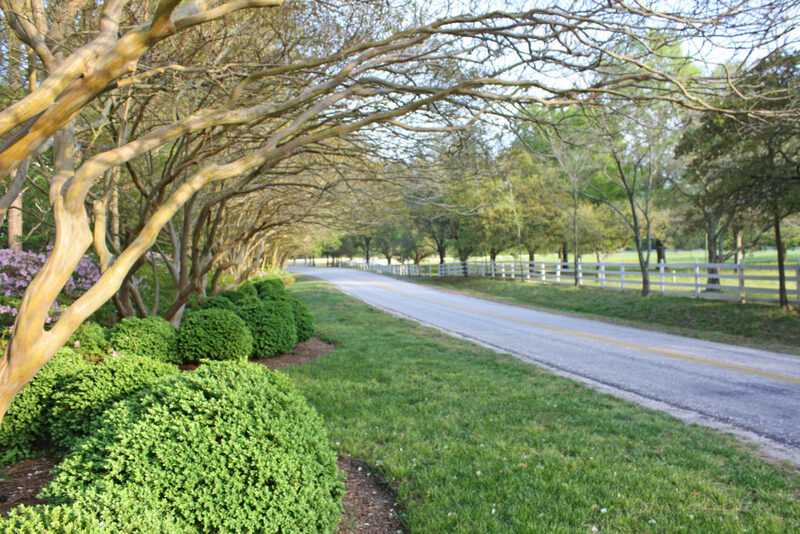 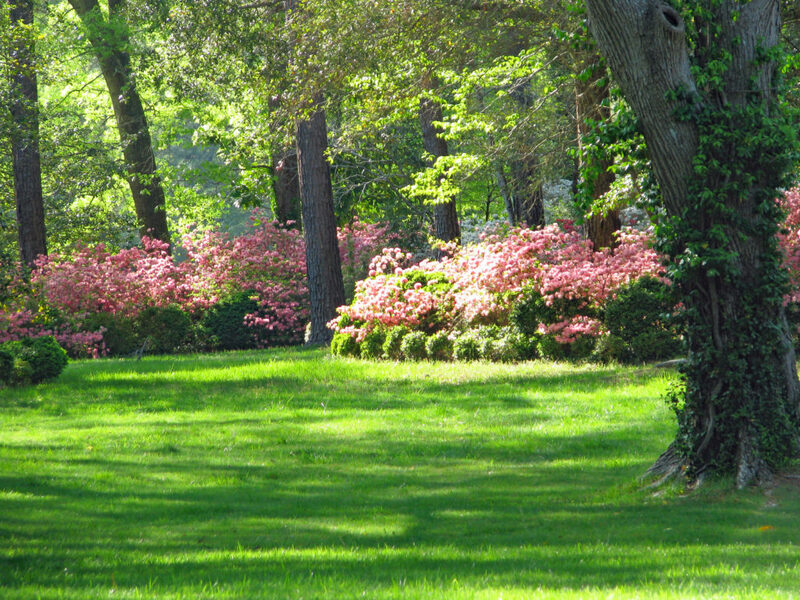 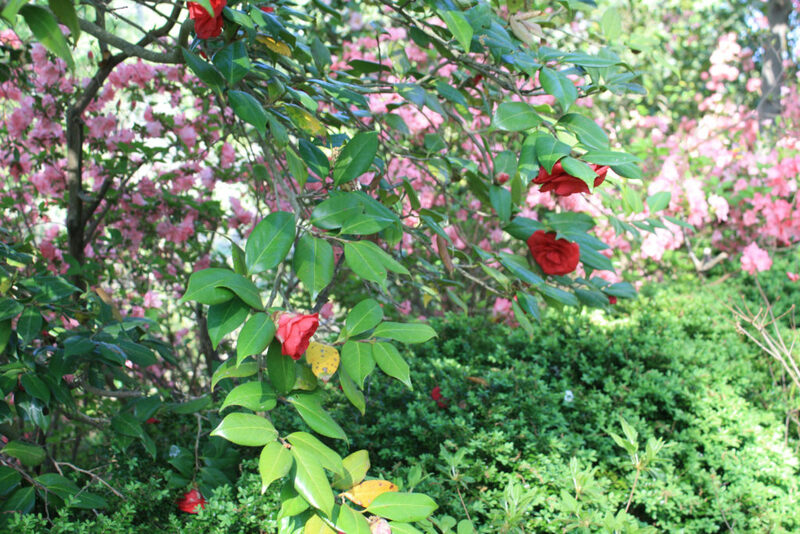 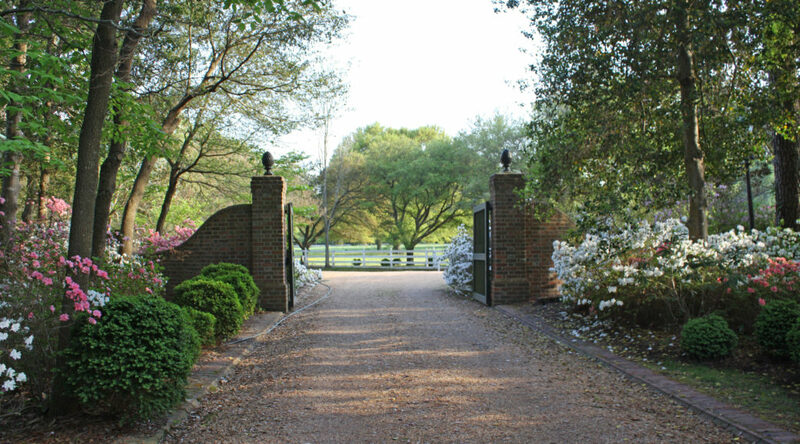 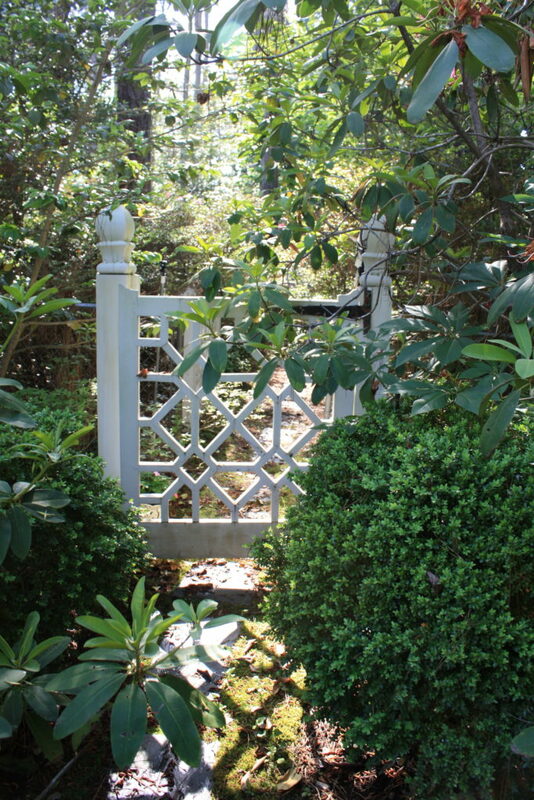 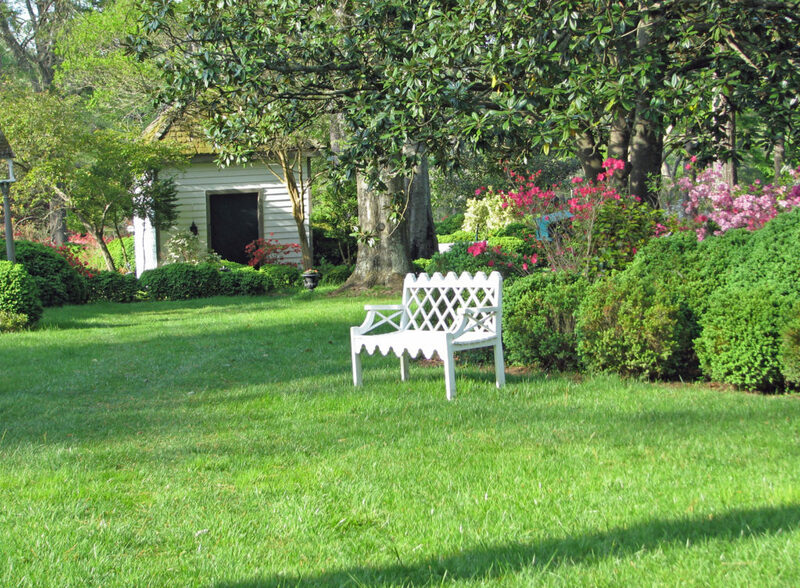 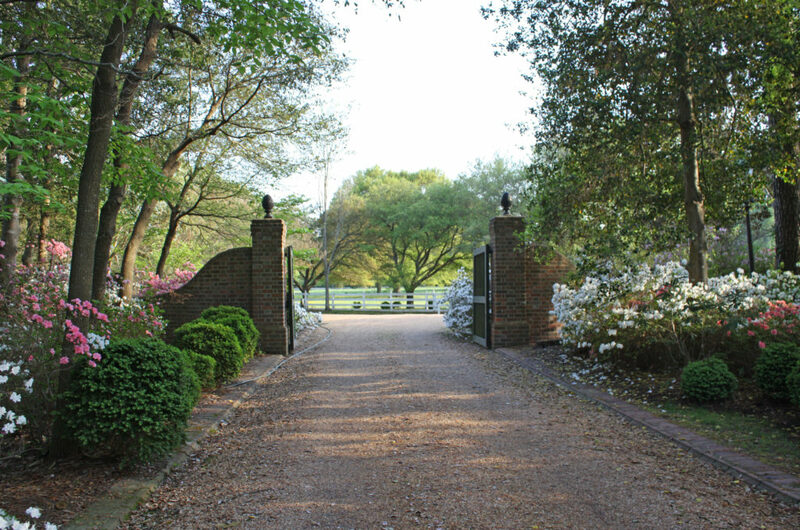 Towering magnolias, mature English boxwood gardens, Camellia, Roses, Azaleas, Perennial & Secret Gardens abound! 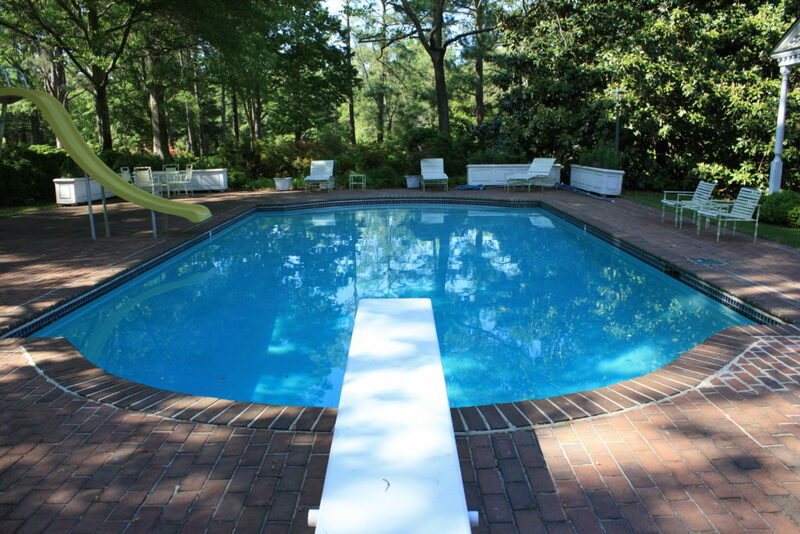 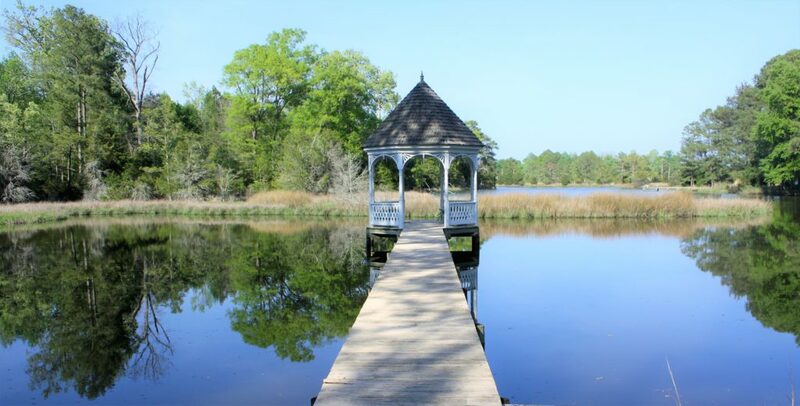 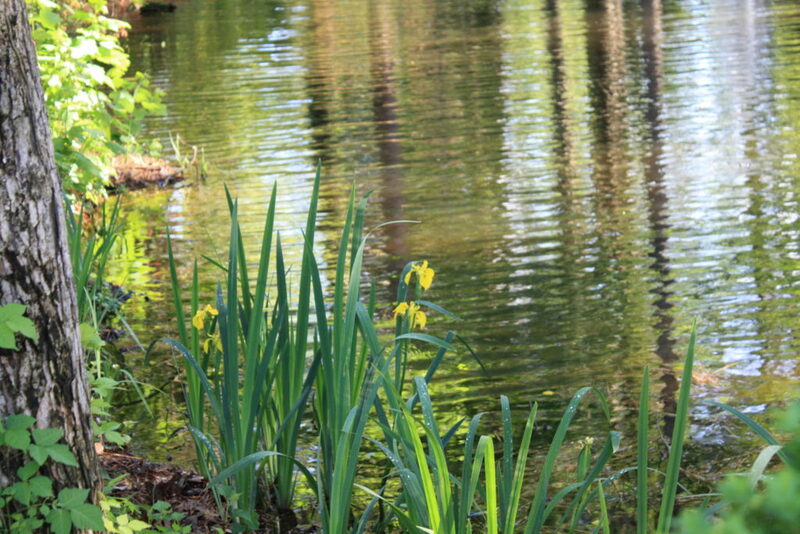 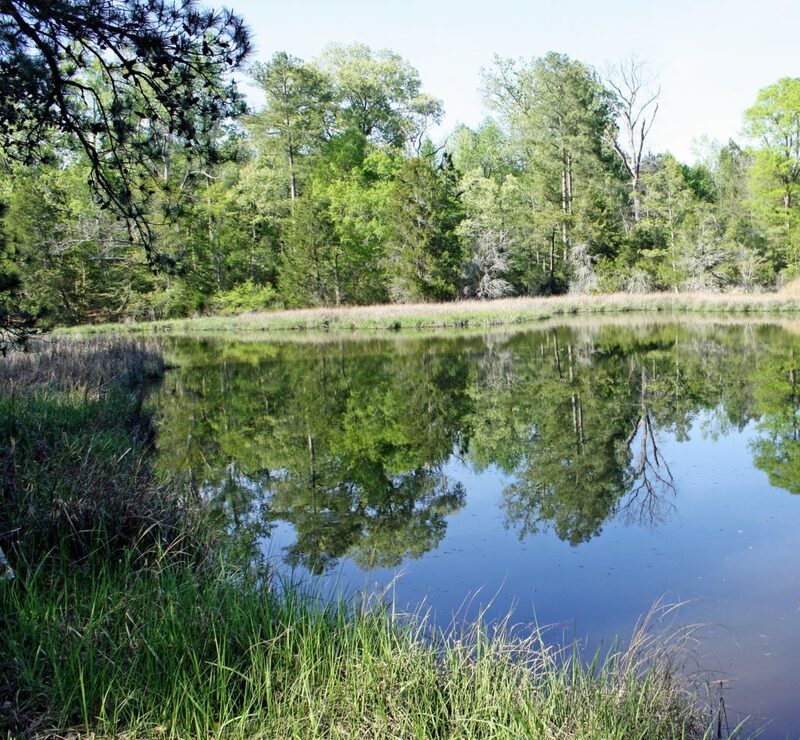 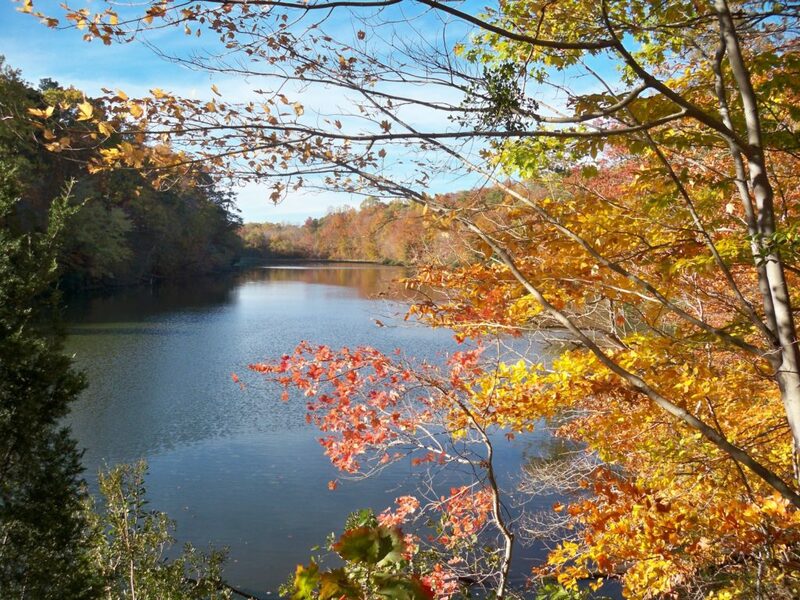 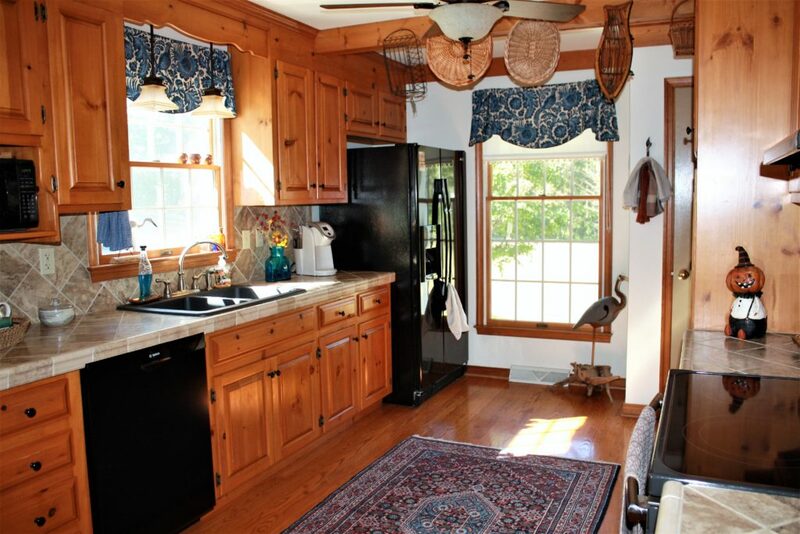 Serene and lovely waterfrontage with 2 additional ponds on the property. 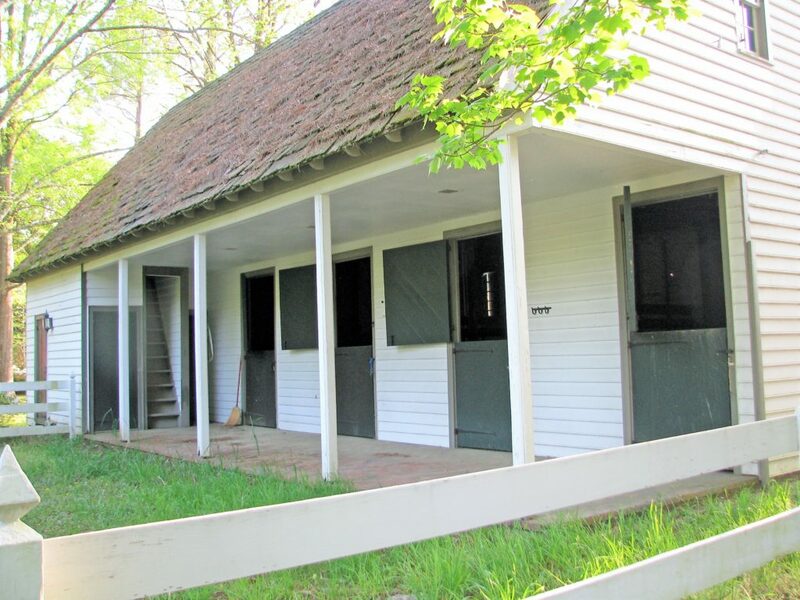 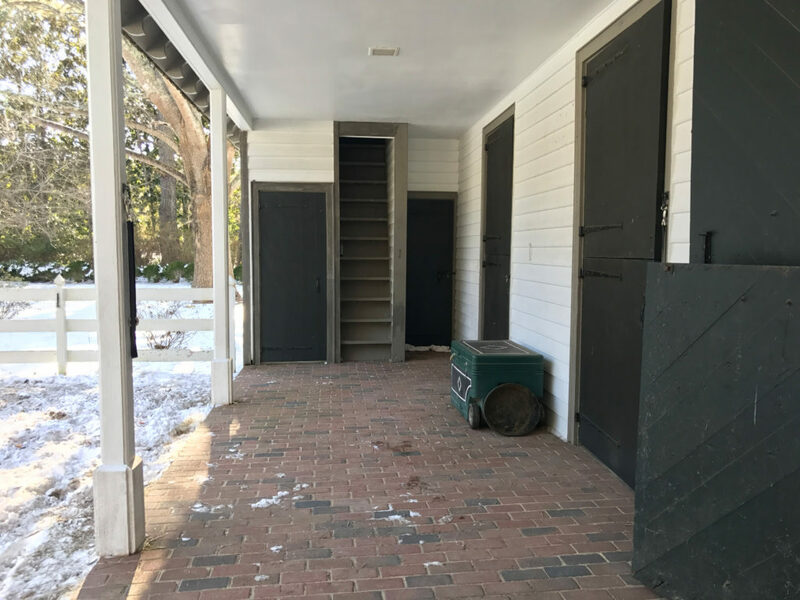 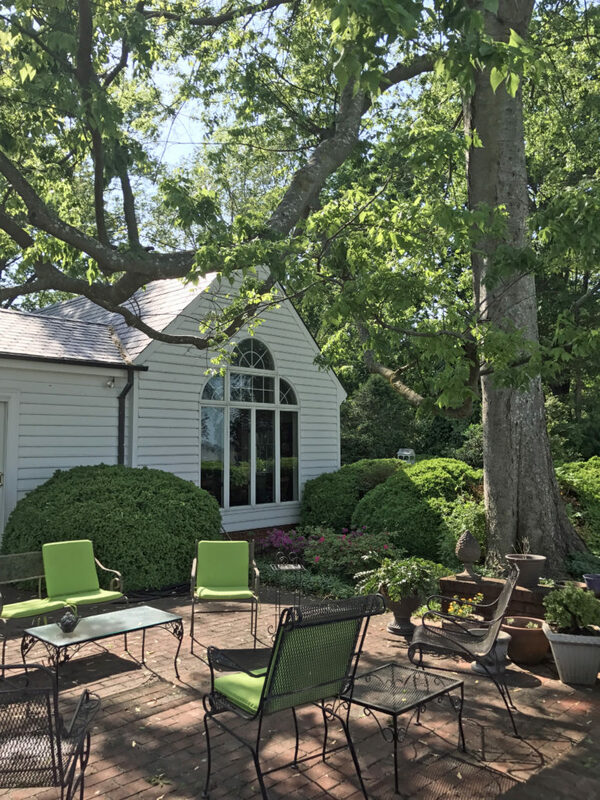 In-ground pool, pool house, tennis, Amazing Stables, pasture, paddock, glass greenhouse & original 2 story barn/carriage house now adapted for use as a large garage/workshop. 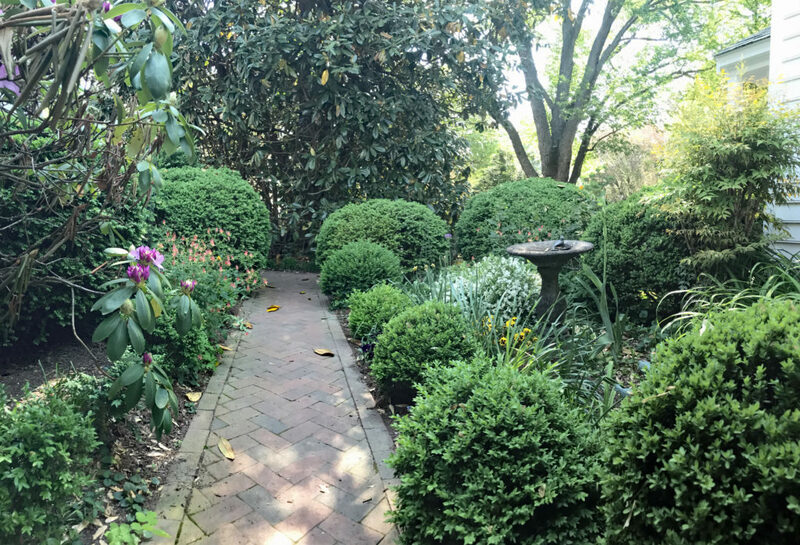 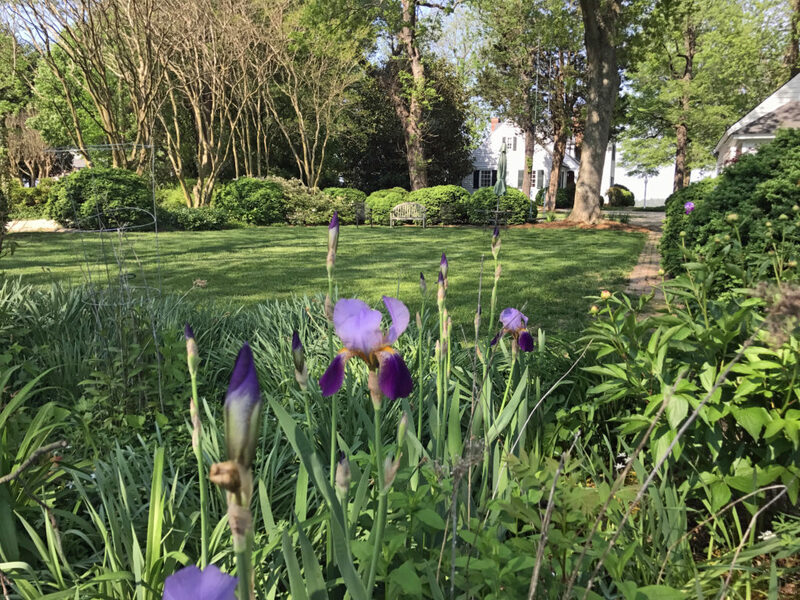 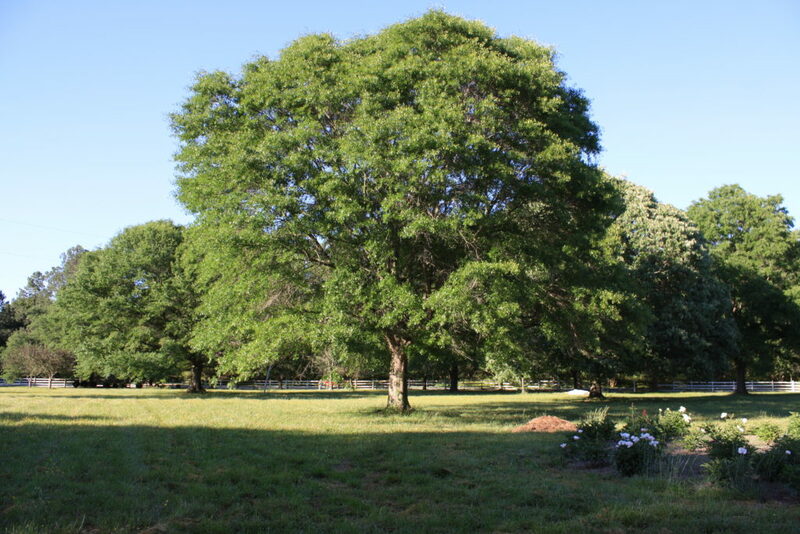 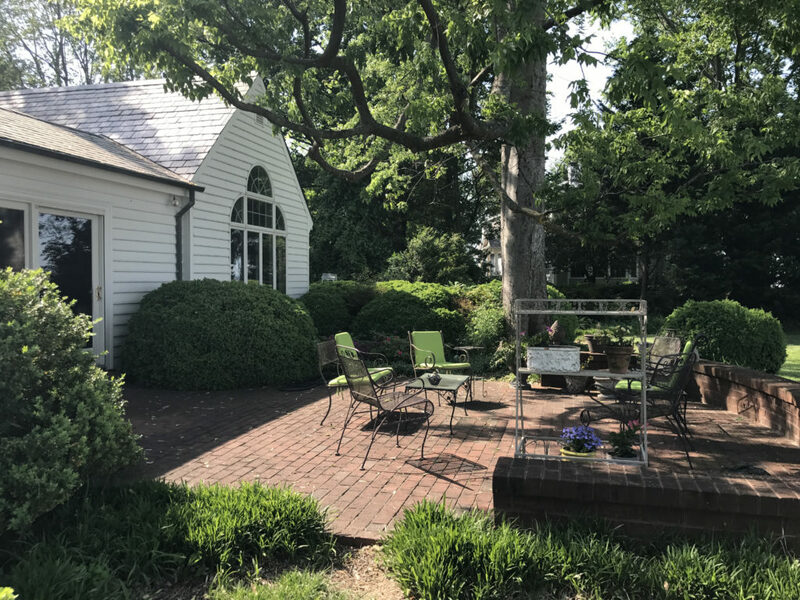 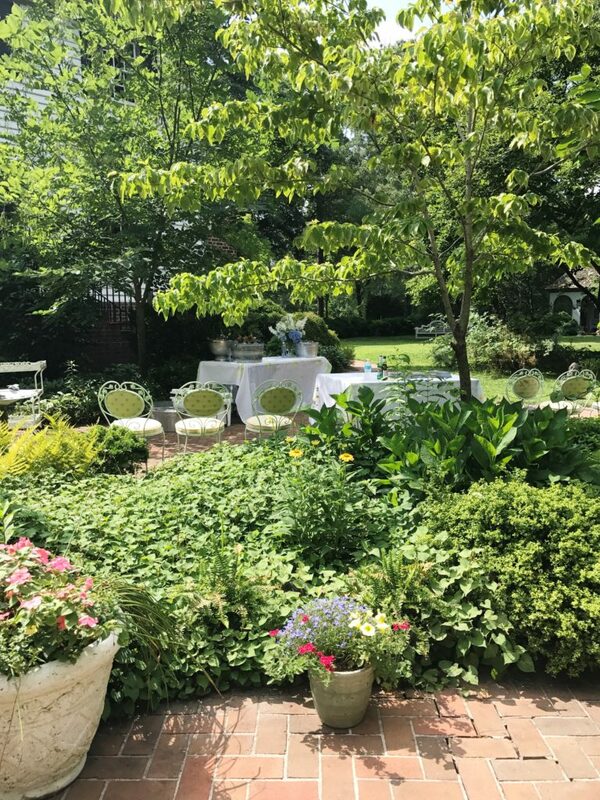 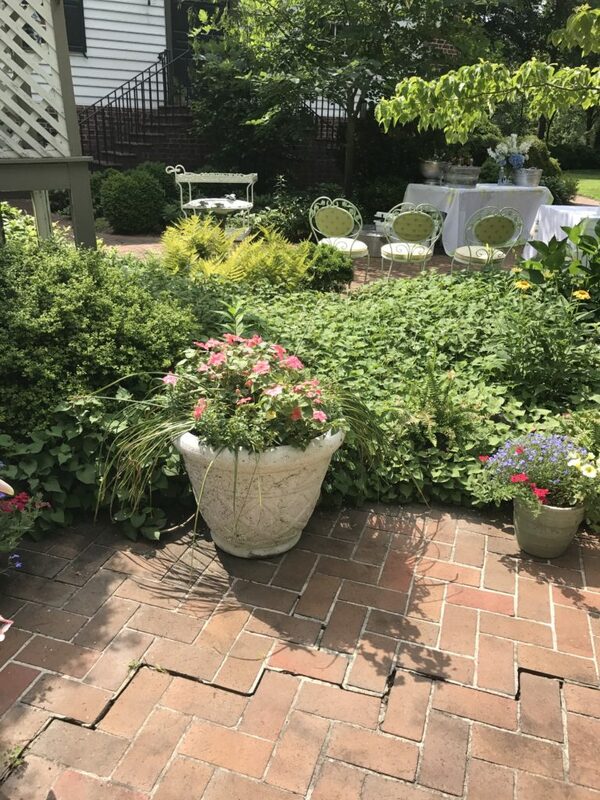 Featured multiple times on the Historic Garden Week in Virginia tour and the site of many Ferguson Enterprises Corporate events. 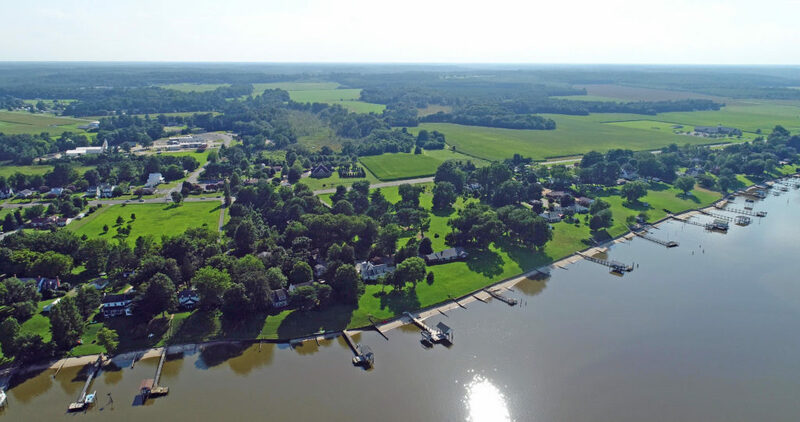 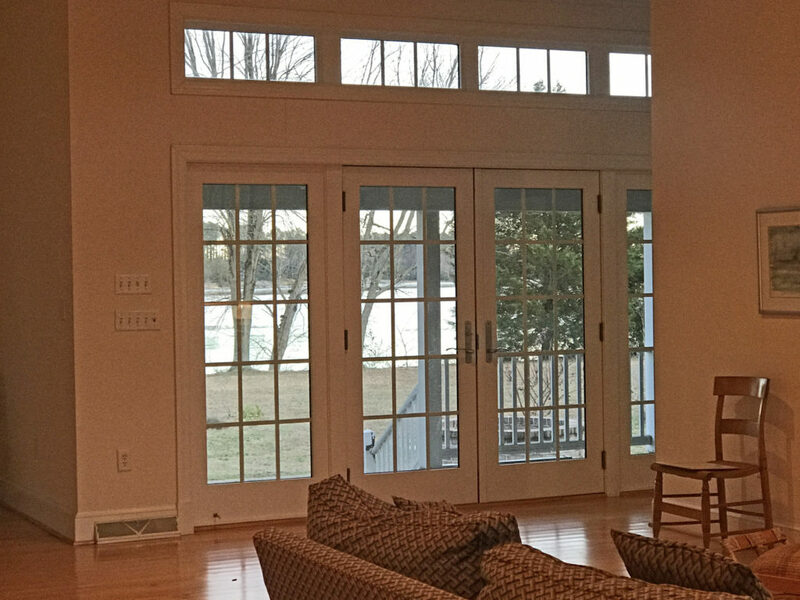 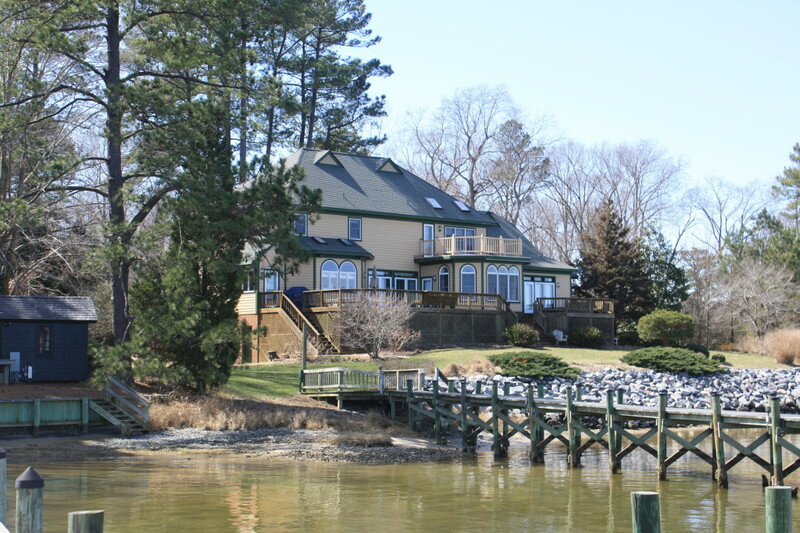 Fabulous deep water marina known as the Severn River Yacht Center is just around the bend. 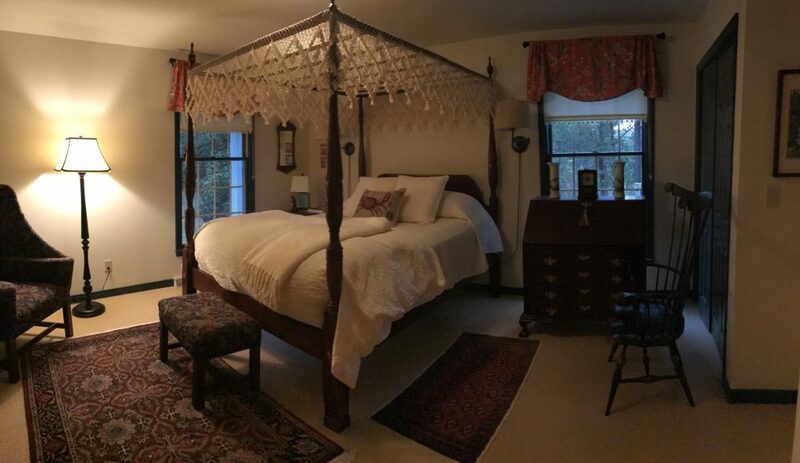 World class museums, historic sites, fine dining, wineries, resorts and so much more within minutes. 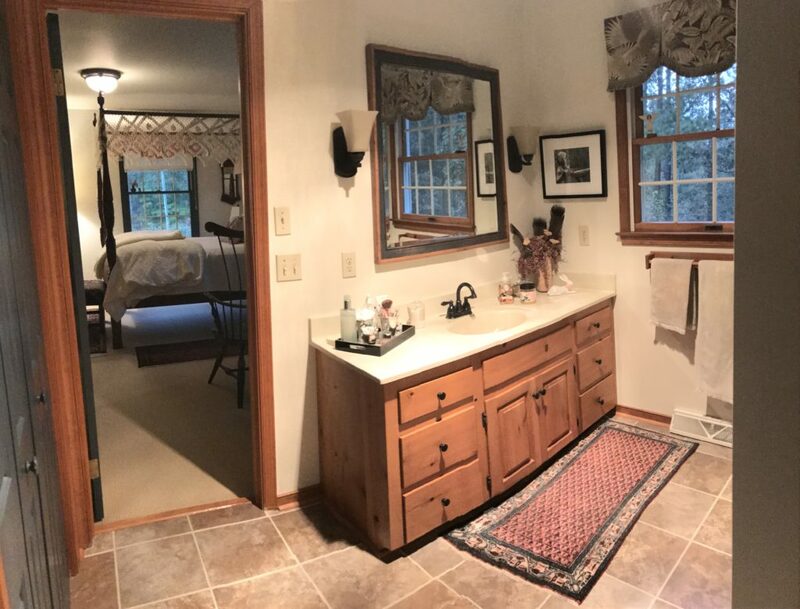 Located in a warm, welcoming community. 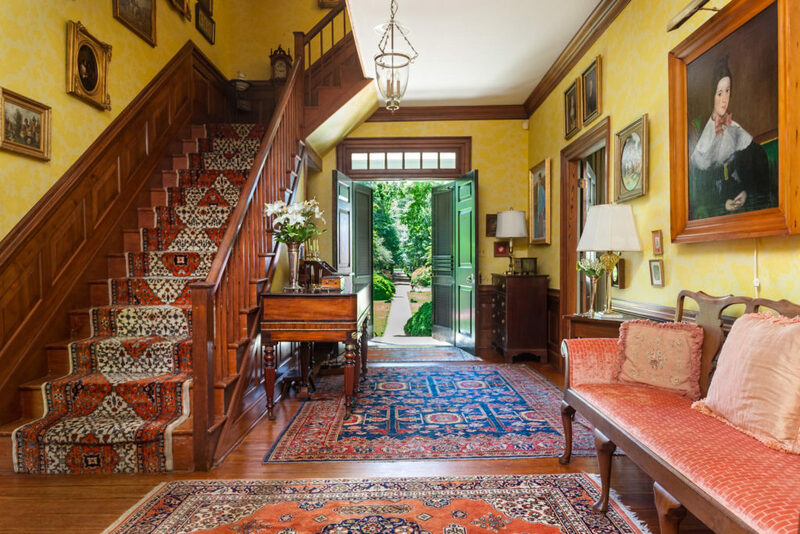 A truly magical historic estate. 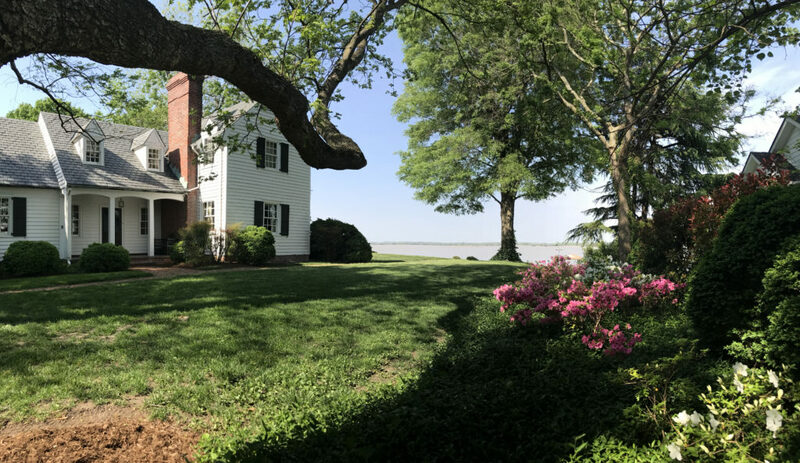 An icon in Tidewater Virginia. 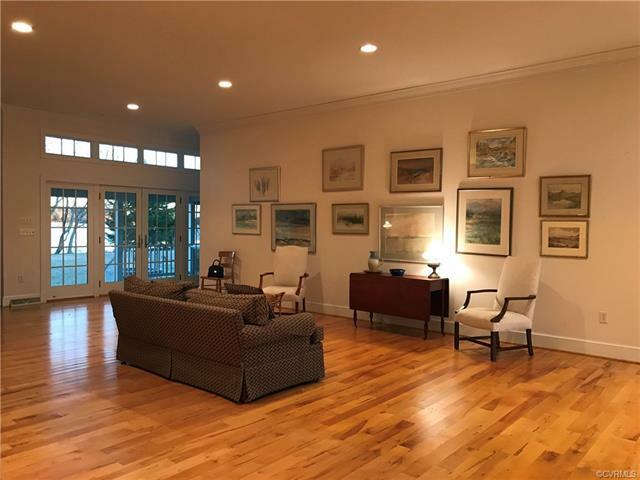 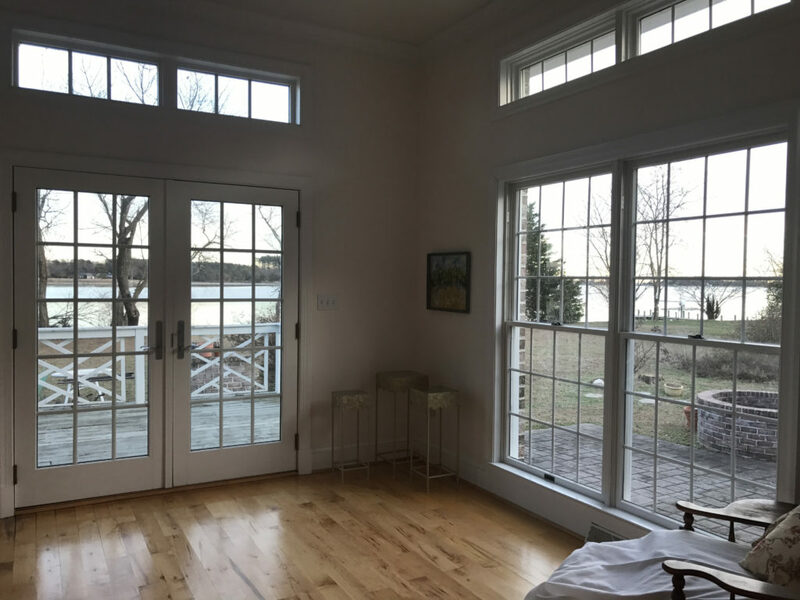 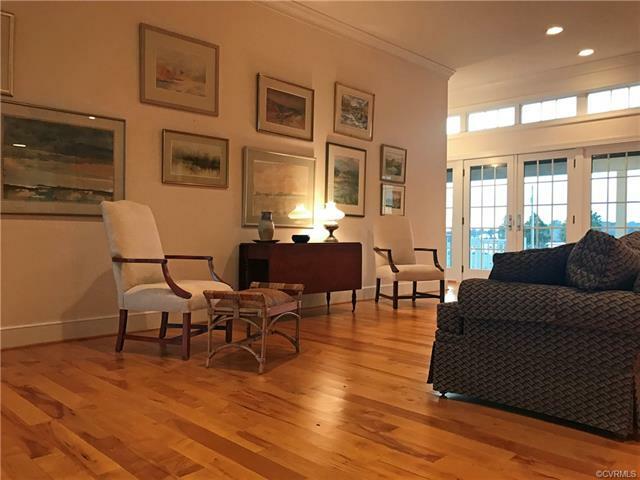 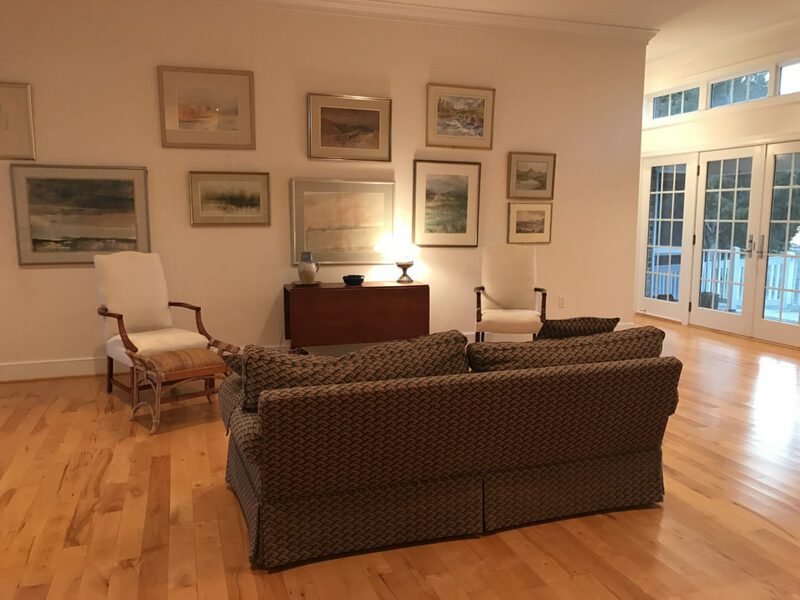 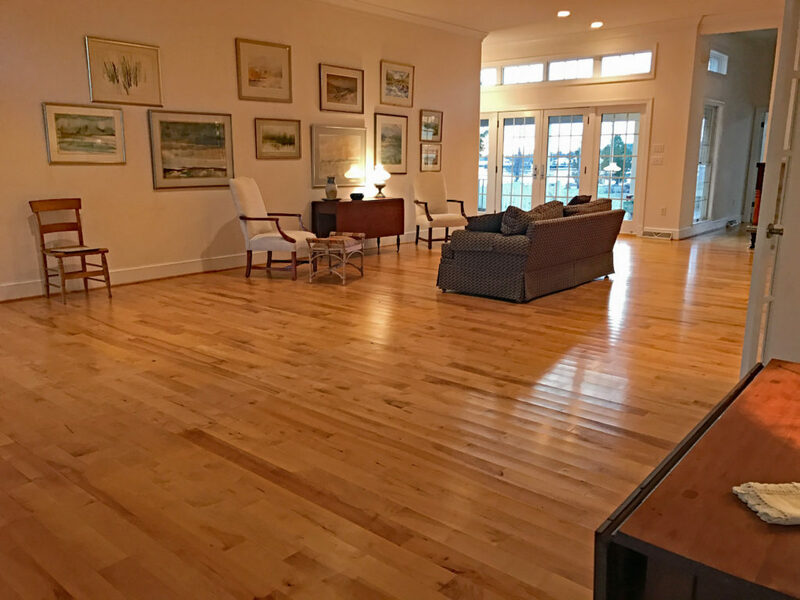 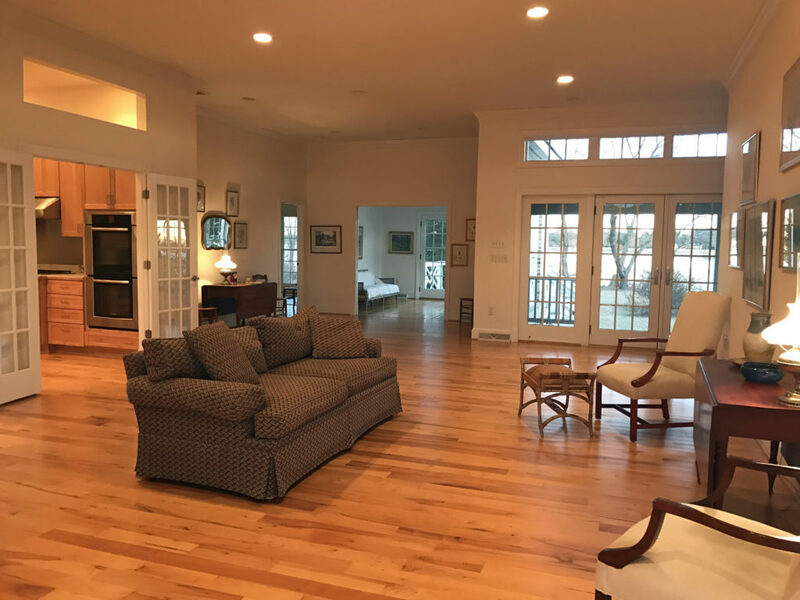 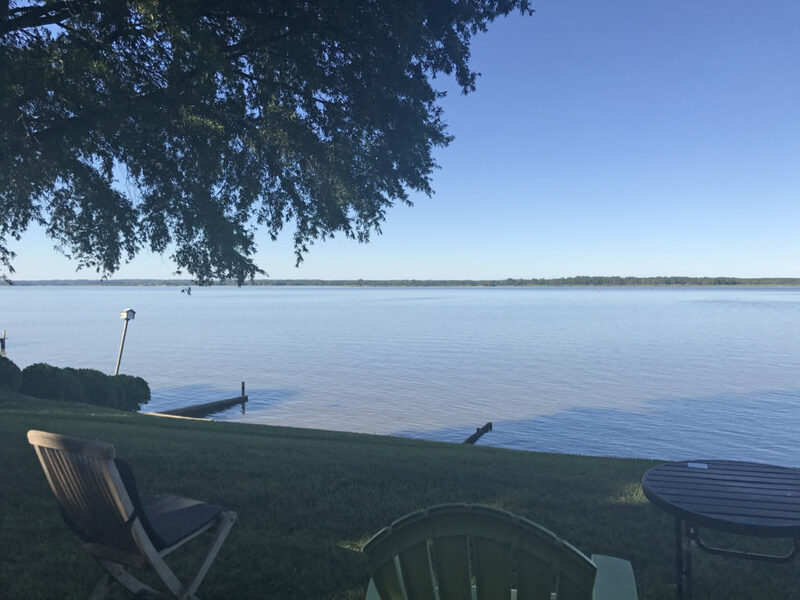 The Link above will take to you a video of this exceptional property offering without equal in the Chesapeake Bay Region of Virginia. 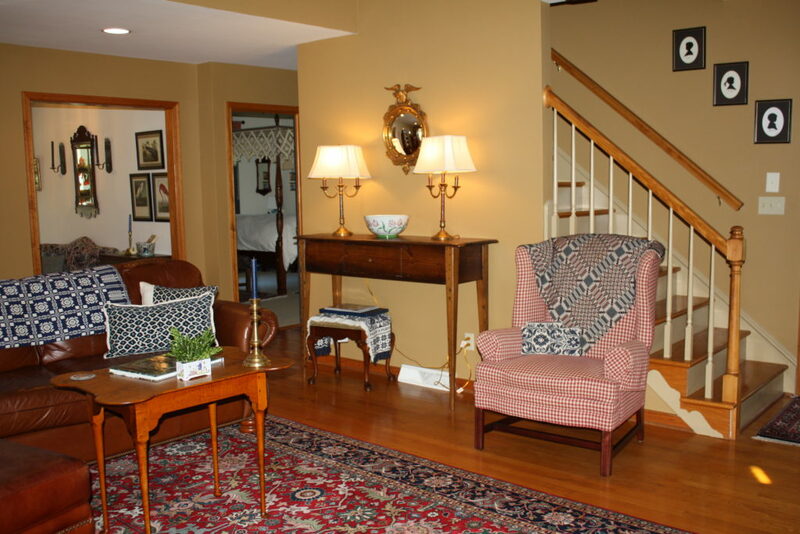 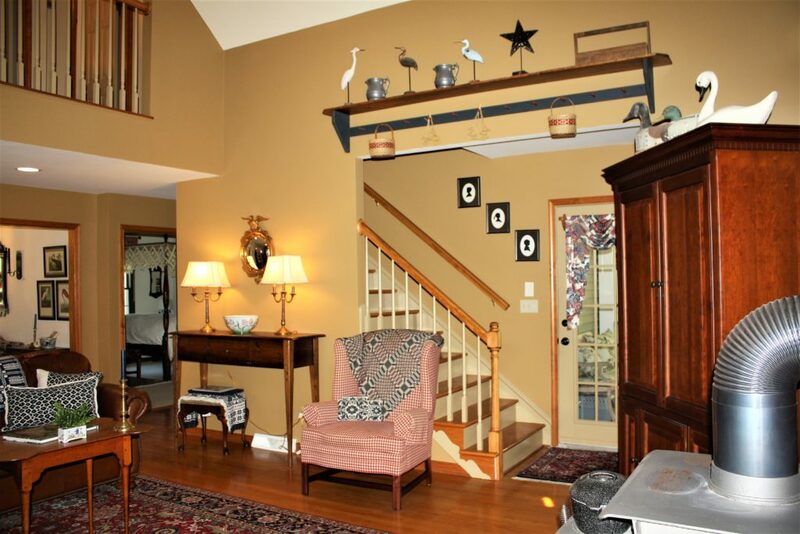 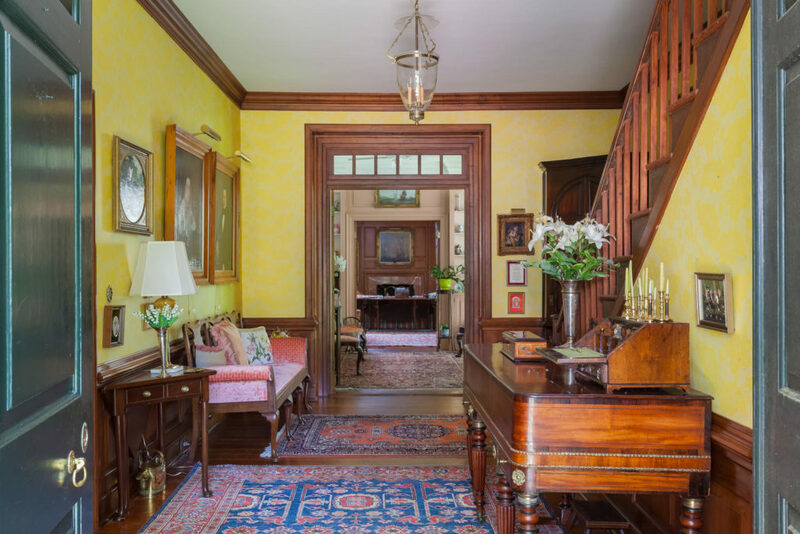 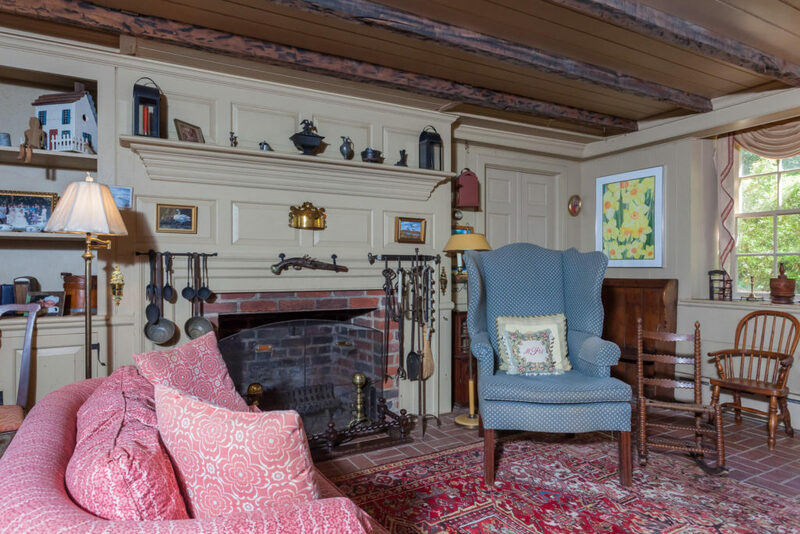 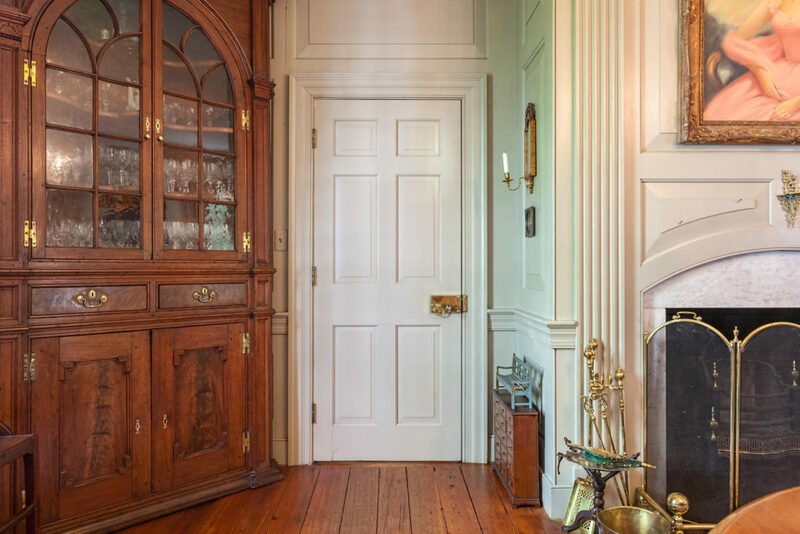 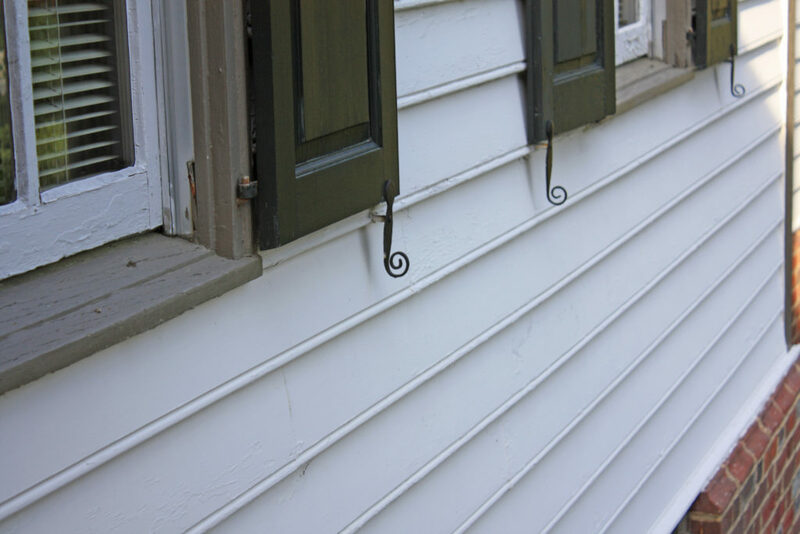 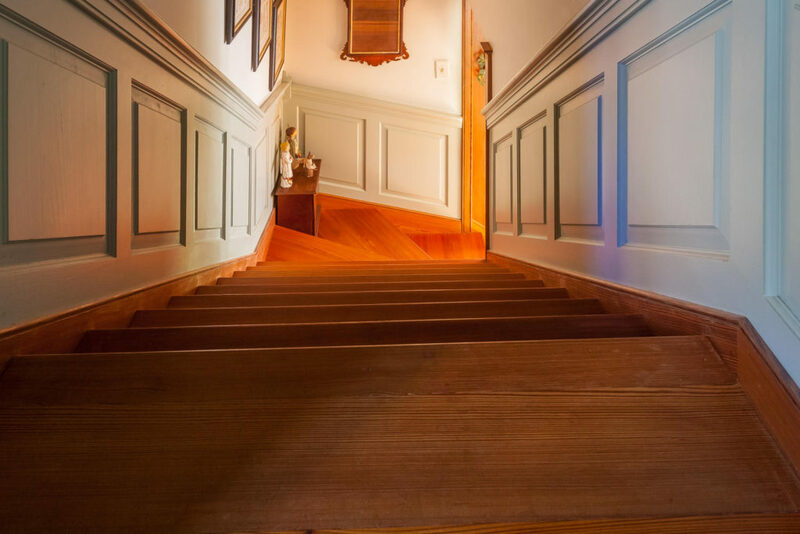 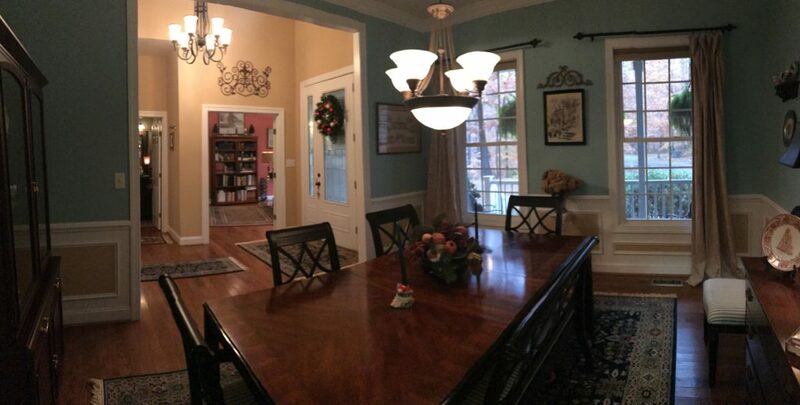 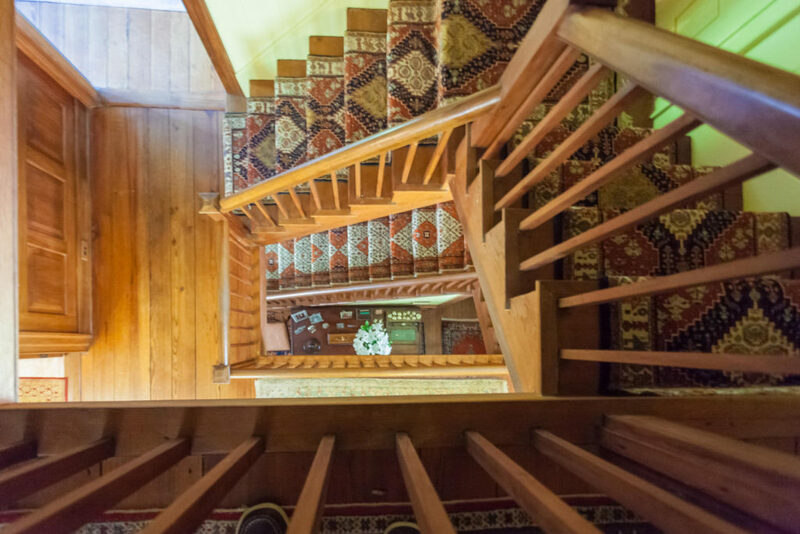 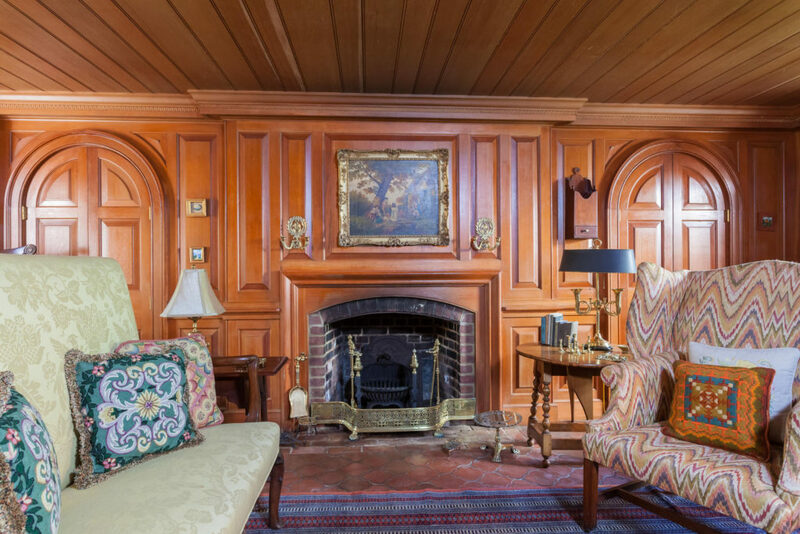 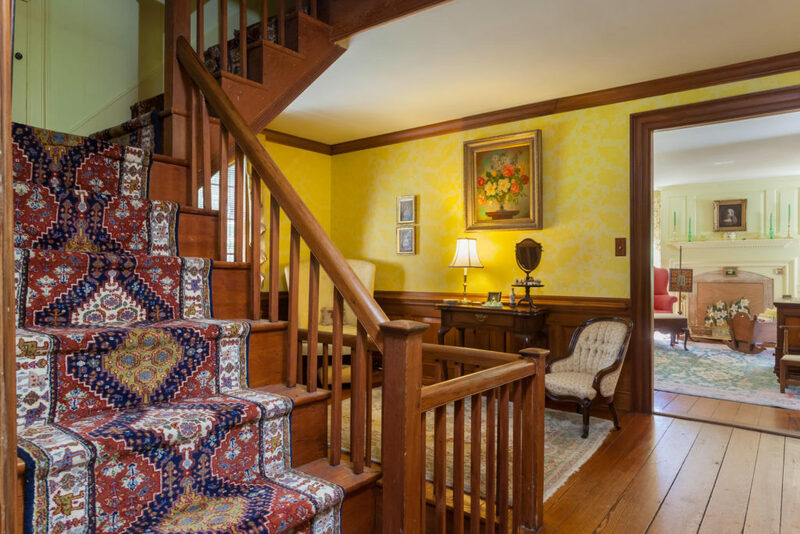 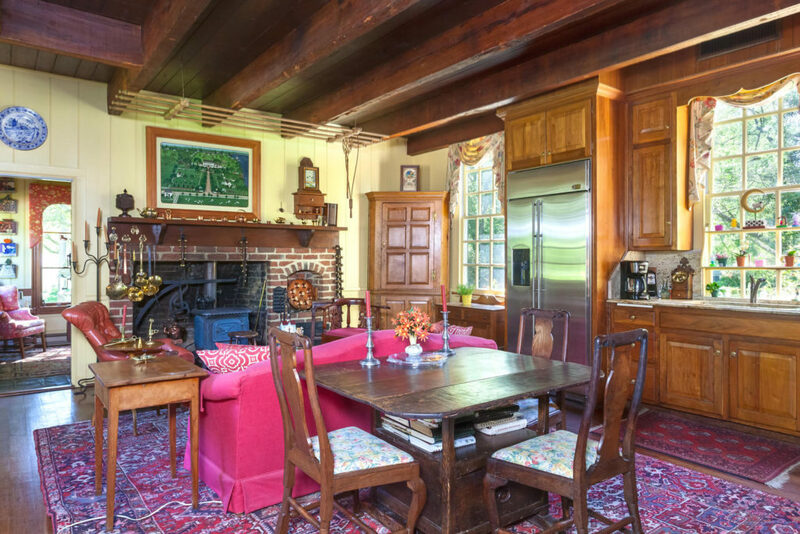 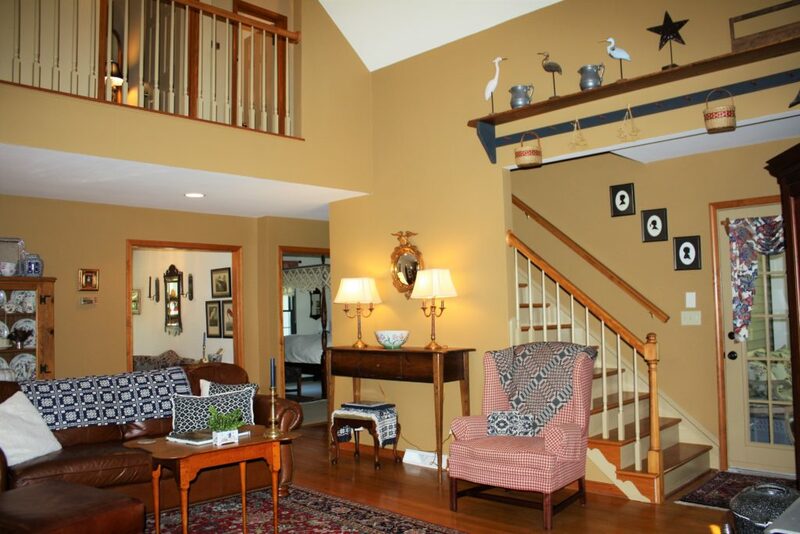 Gorgeous Original Staircases, Floors, Greek Key and Dentil Moldings, Mantels and Doors. 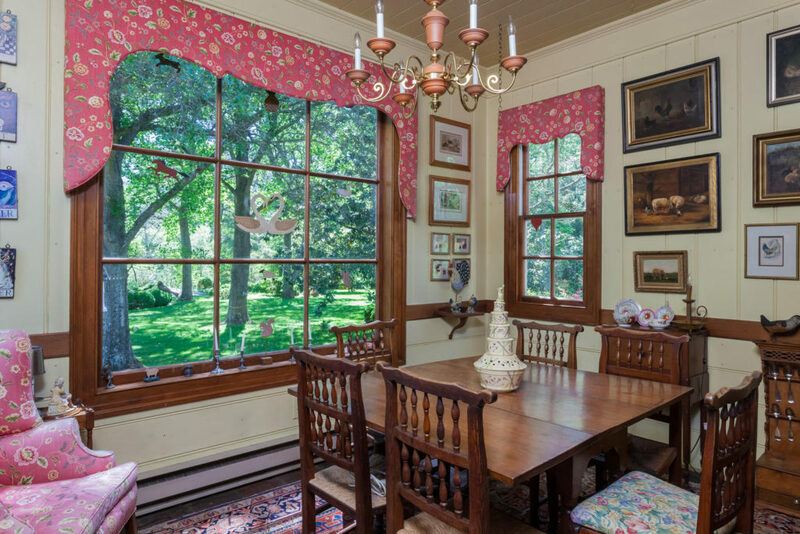 Original Windows and reproduction leaded glass windows. 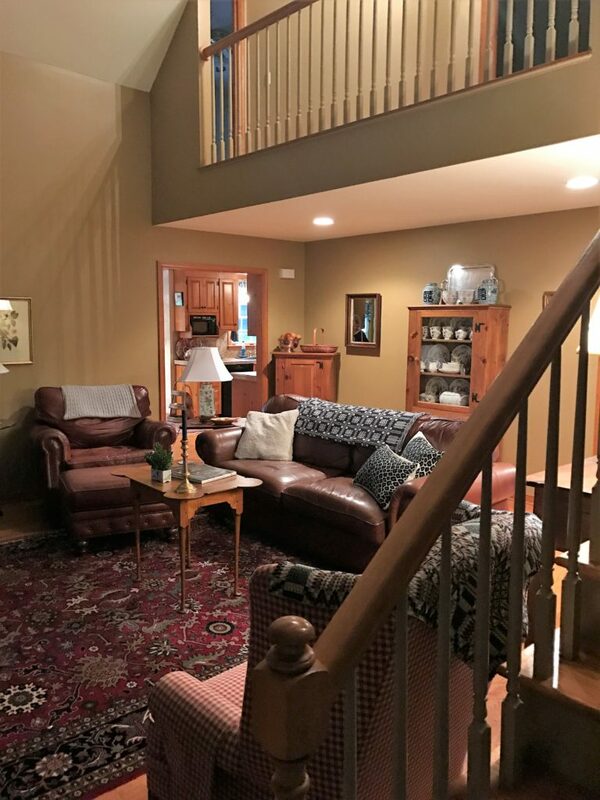 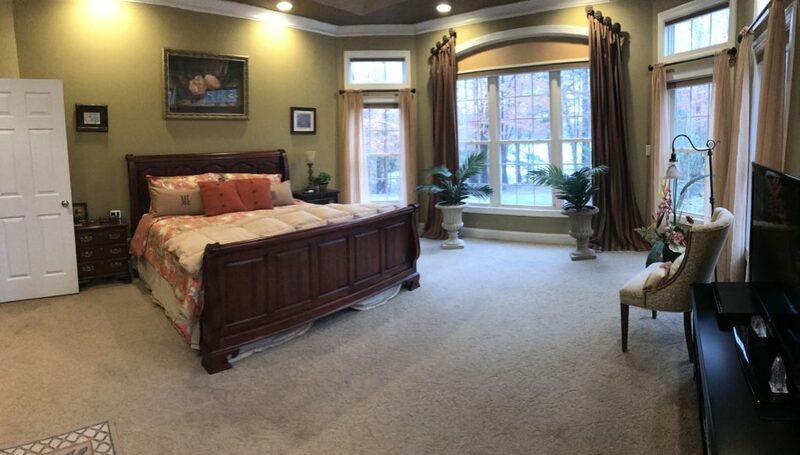 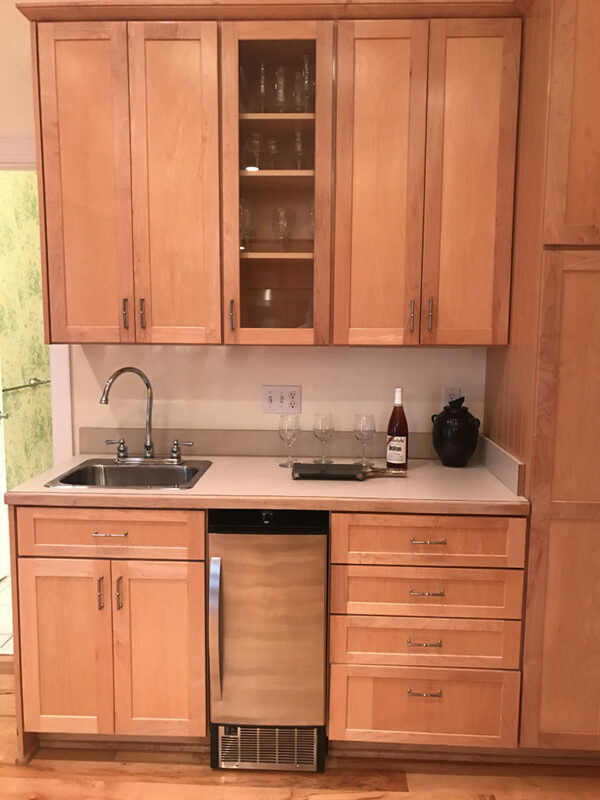 Full Finished English Basement with Library, Family Room, Storage areas and Service Kitchen Easy Access to Outdoor Patios for parties and entertaining. 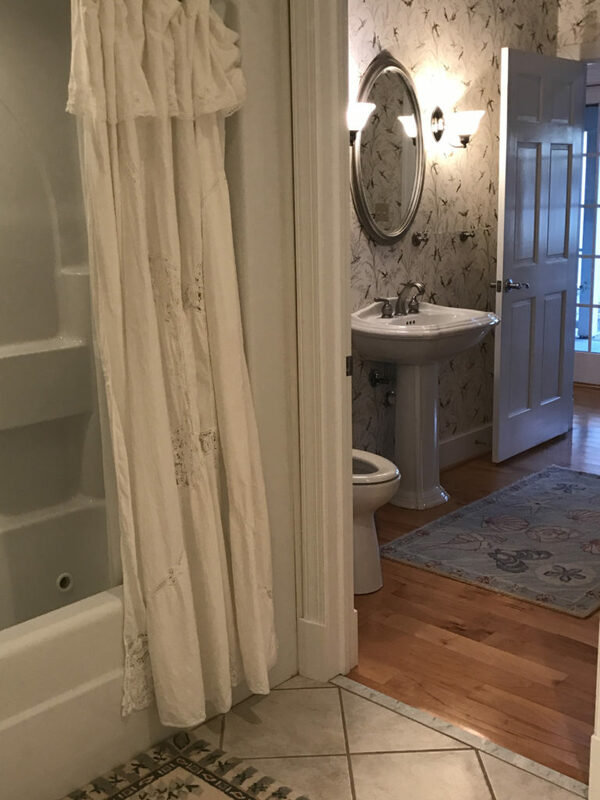 Full Baths on the Second Floor and Basement Levels. 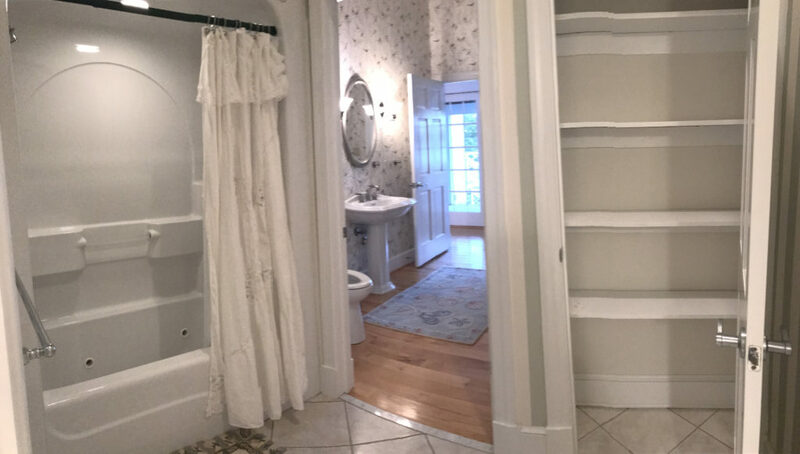 Half Baths on the First and Third (Attic) Floor Level. 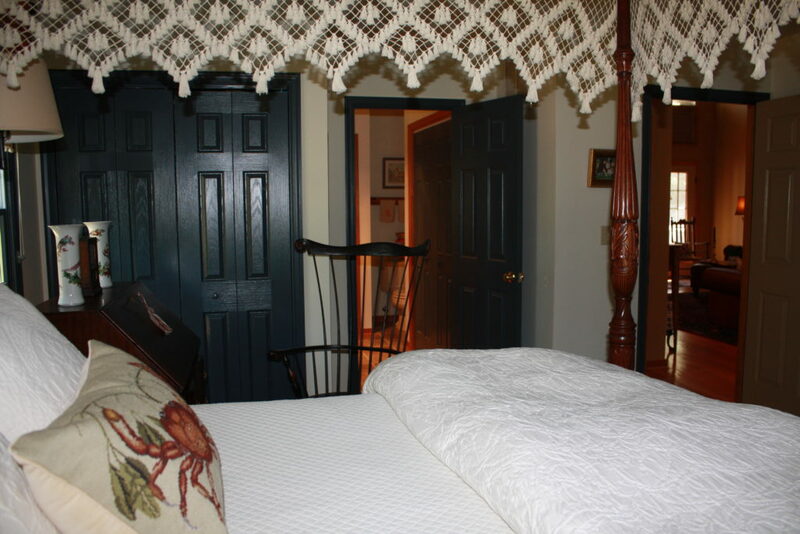 Fabulous Restaurants, historic sites, wineries, antiquing and shopping all nearby. 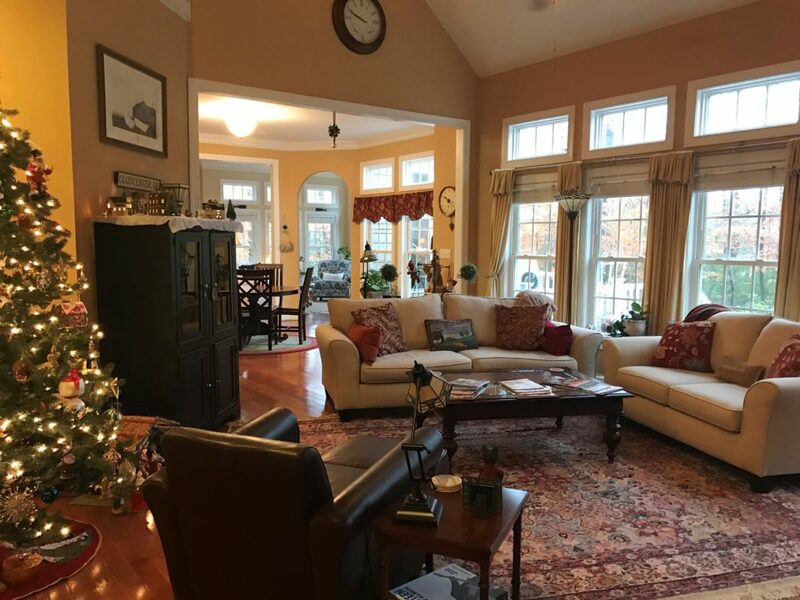 A warm welcoming community!